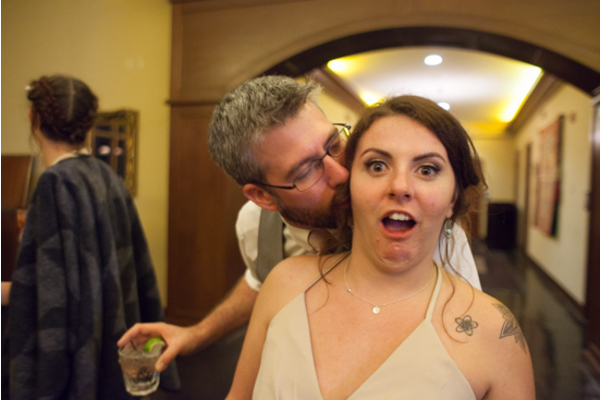 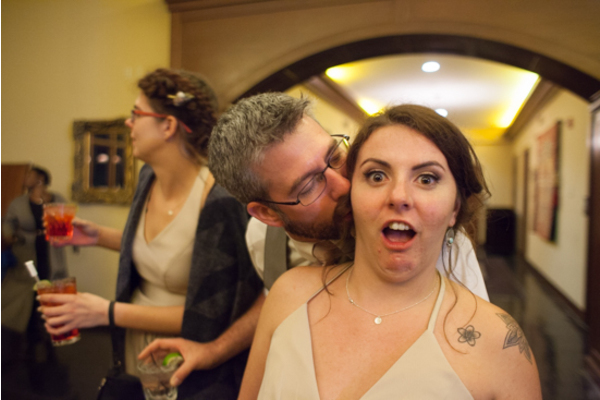 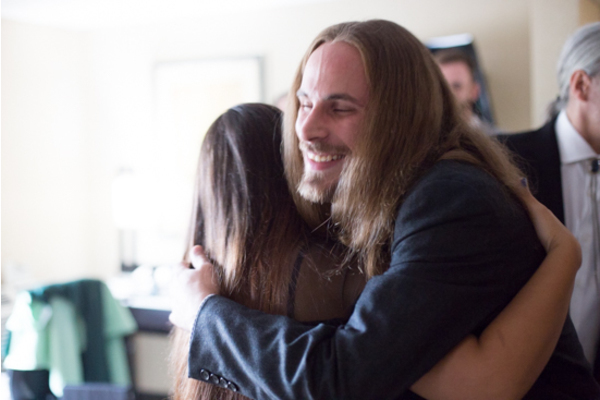 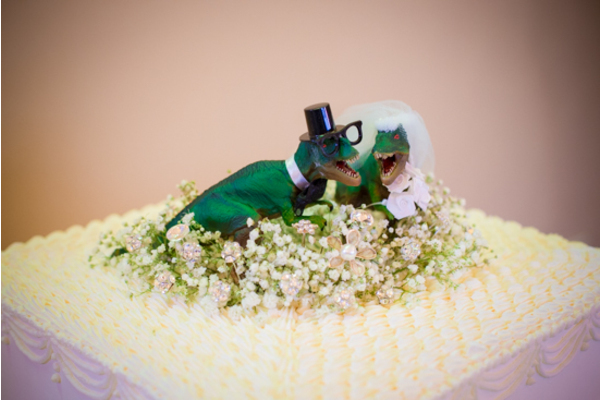 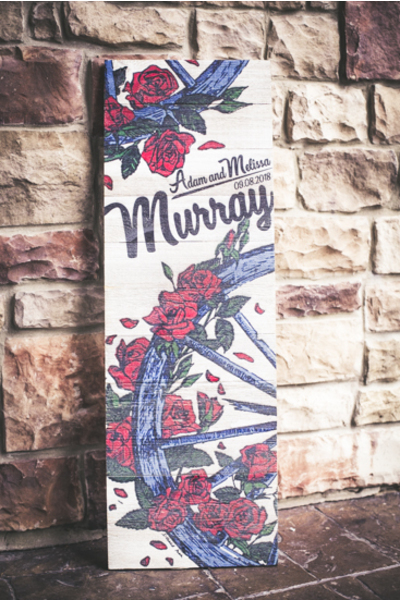 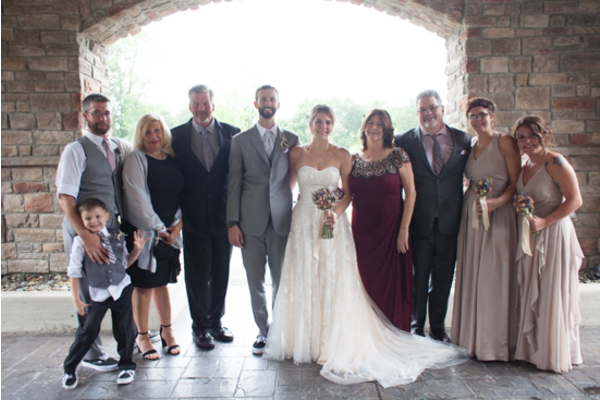 Congratulations to Melissa and Adam on their recent marriage! 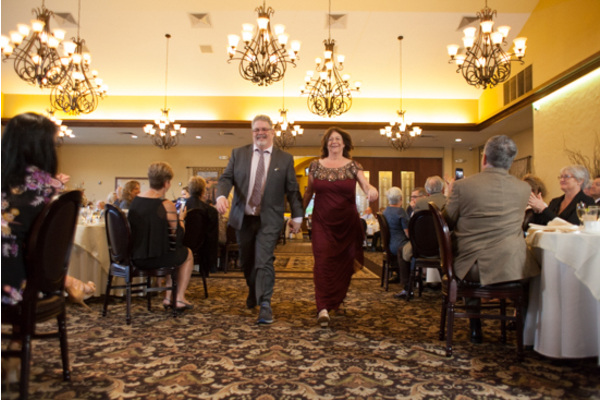 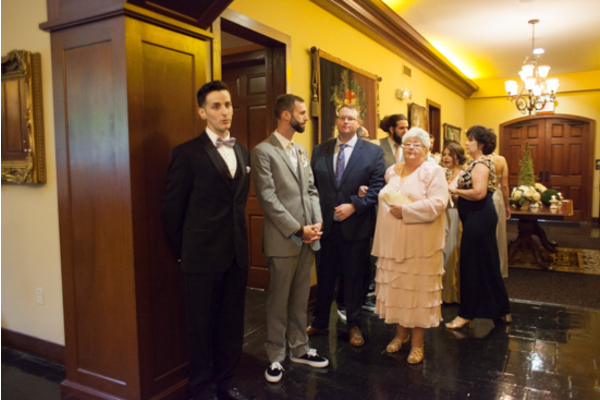 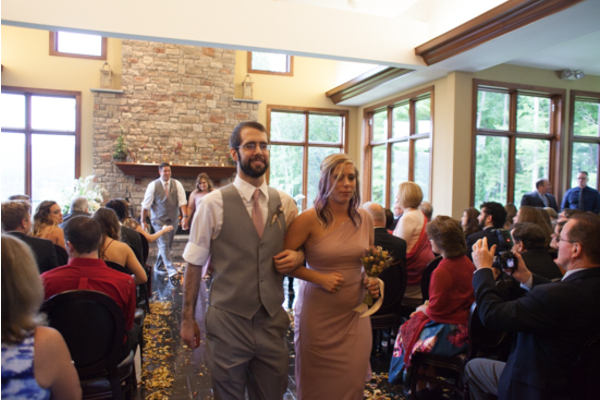 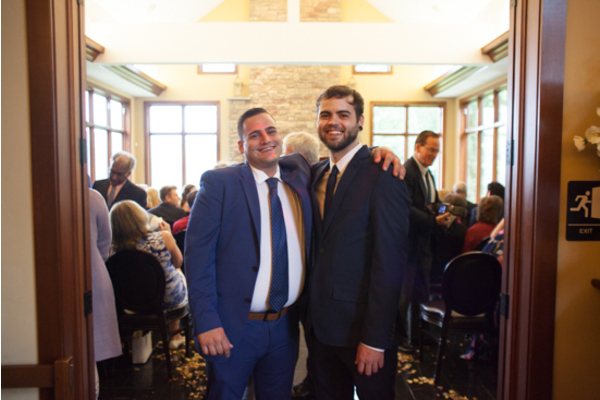 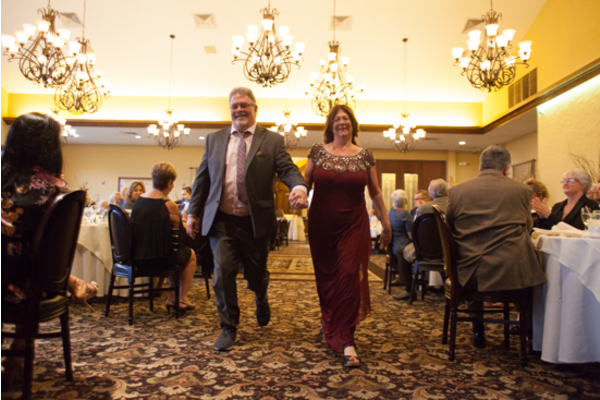 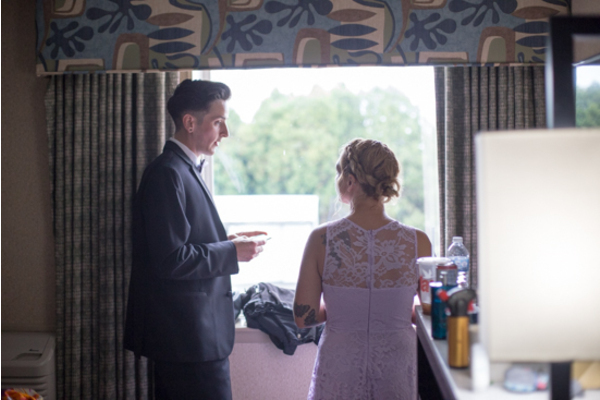 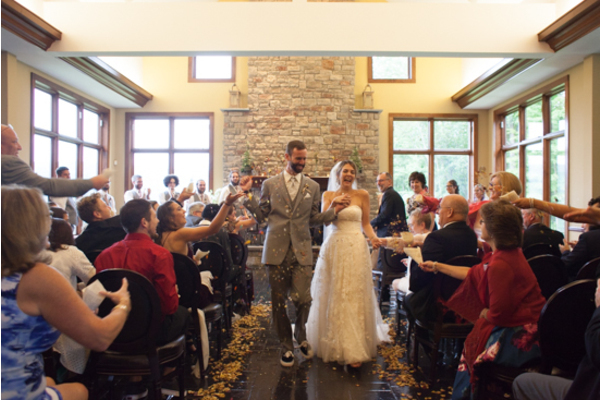 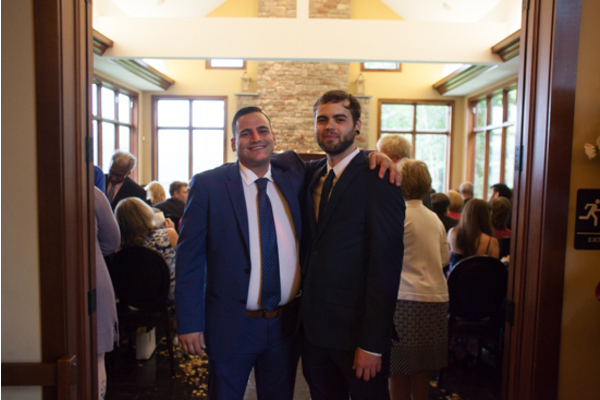 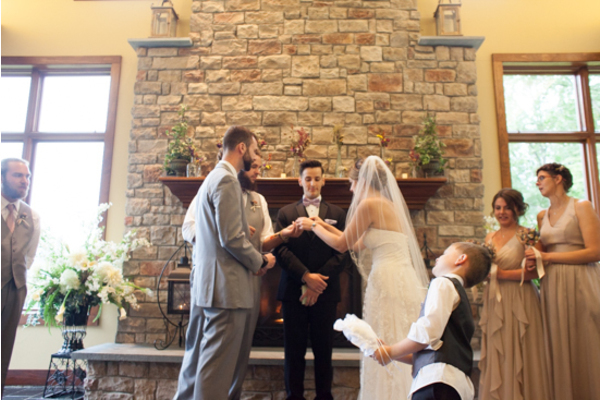 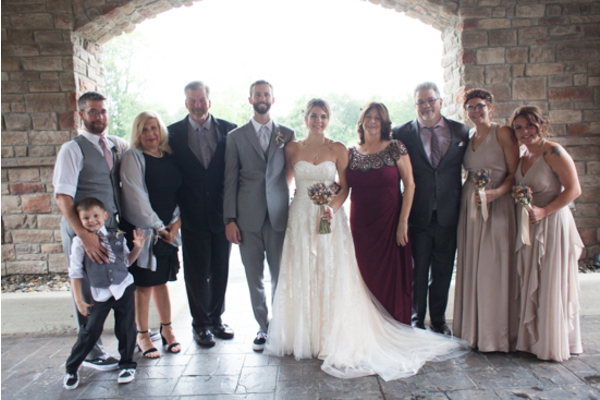 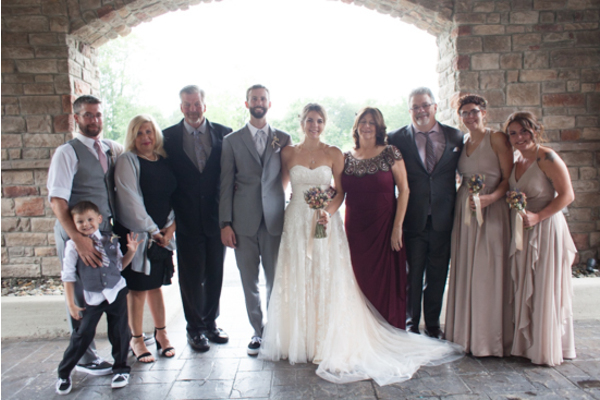 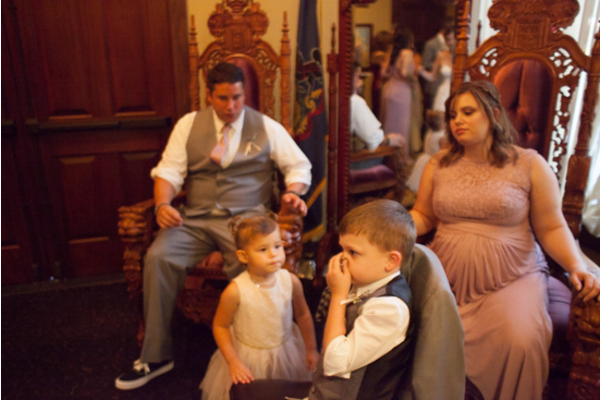 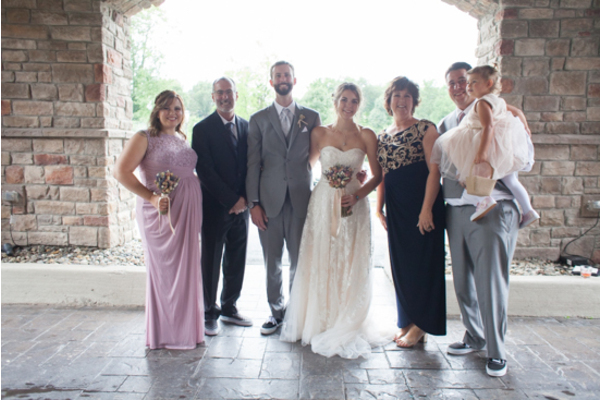 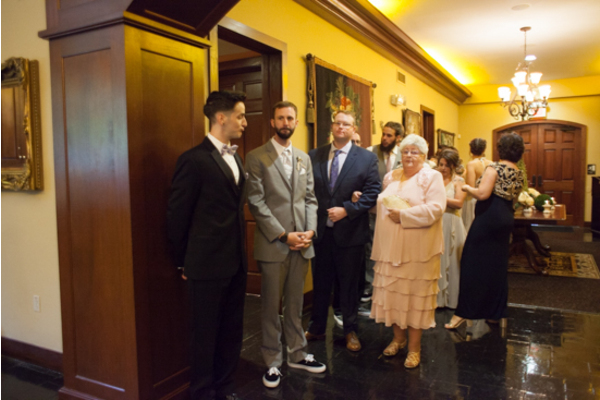 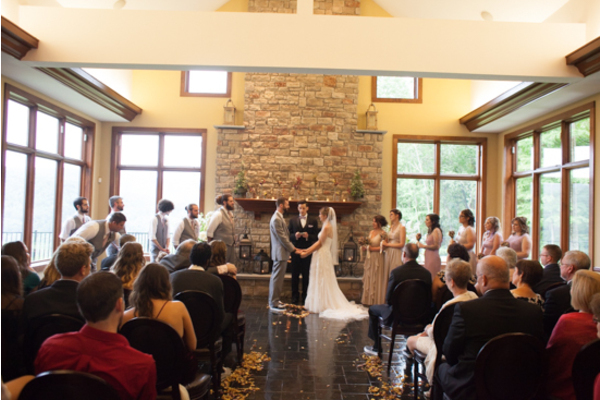 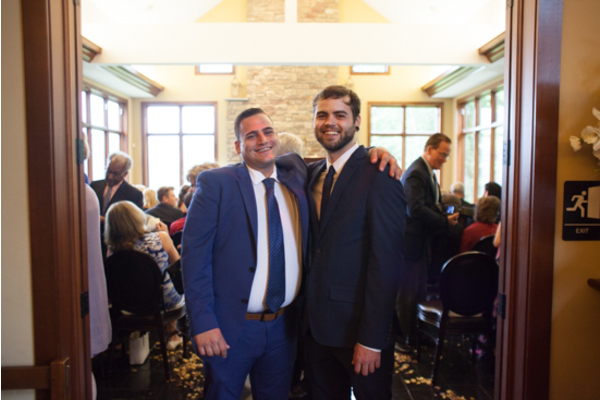 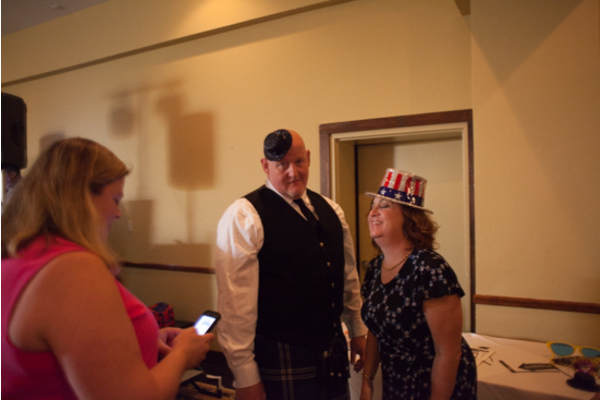 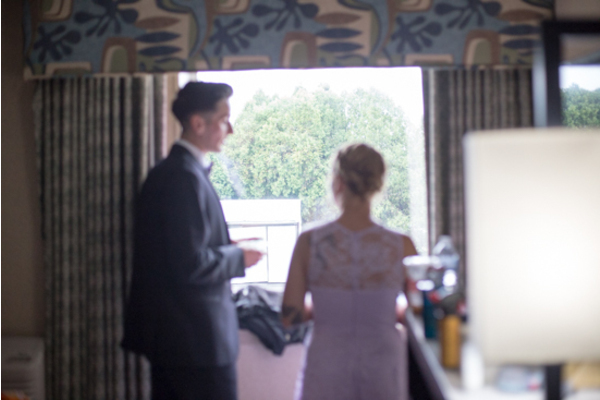 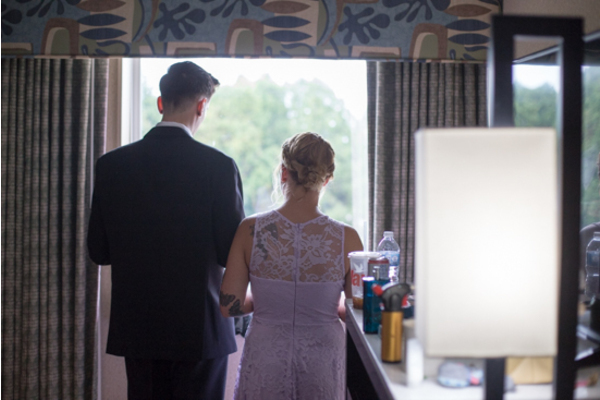 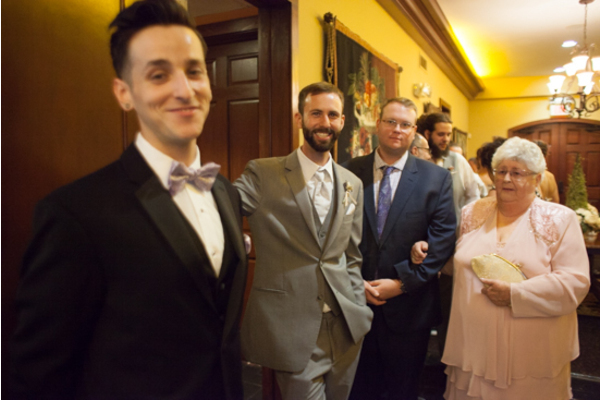 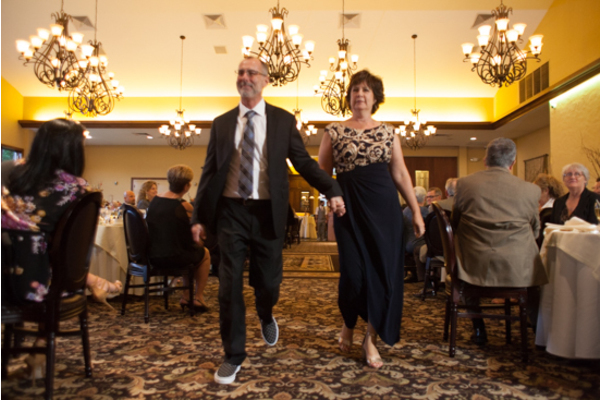 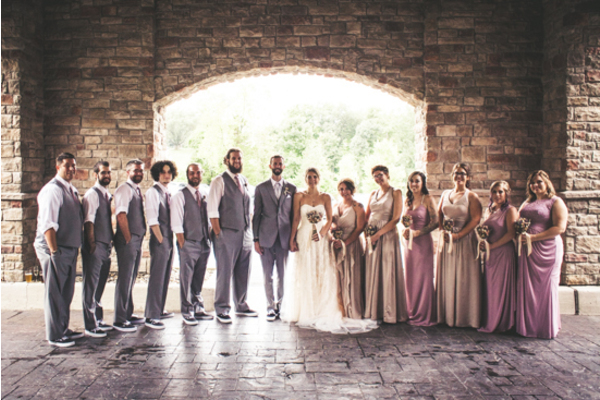 These two lovebirds tied the knot on Septemeber 8, 2018 at Stroudsmoor Country Inn in Pennsylvania. 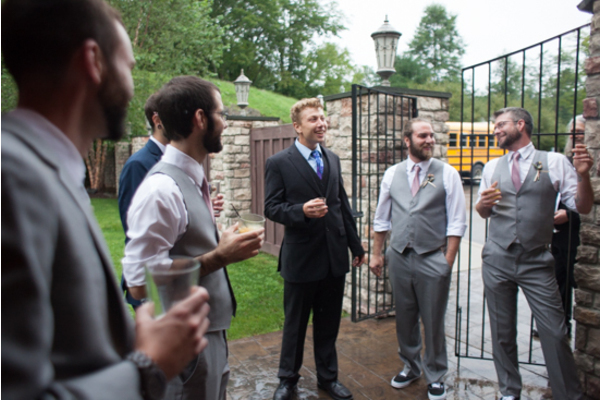 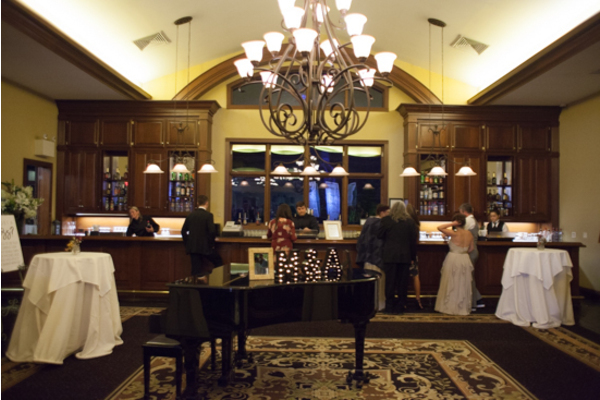 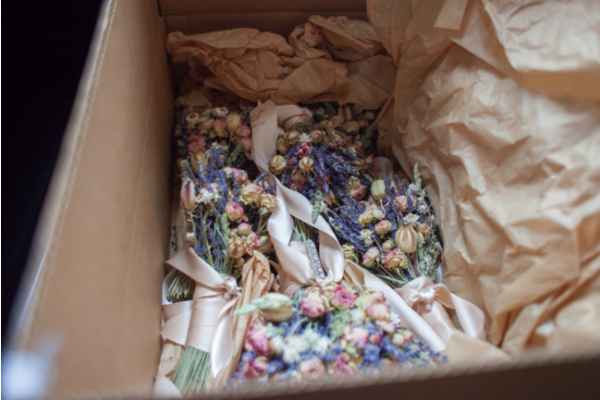 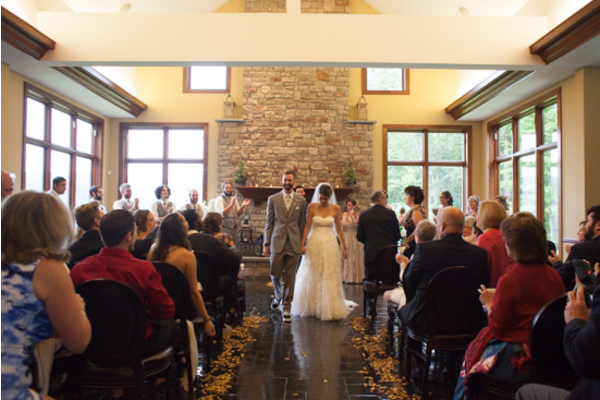 This amazing venue was the perfect mix of charm and beauty. 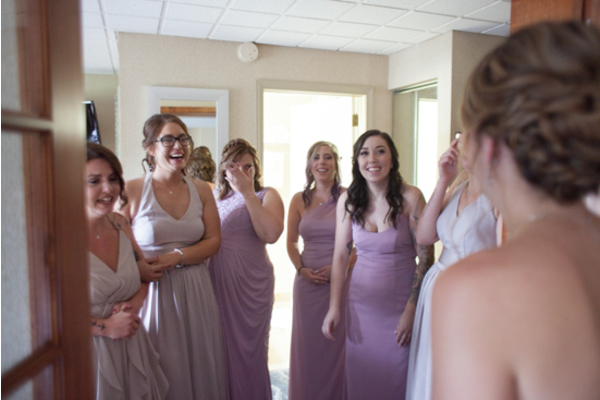 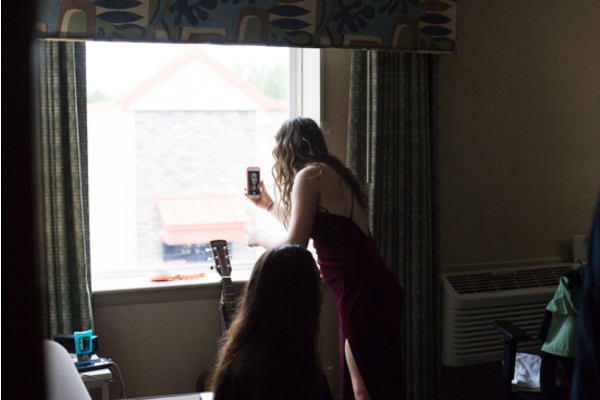 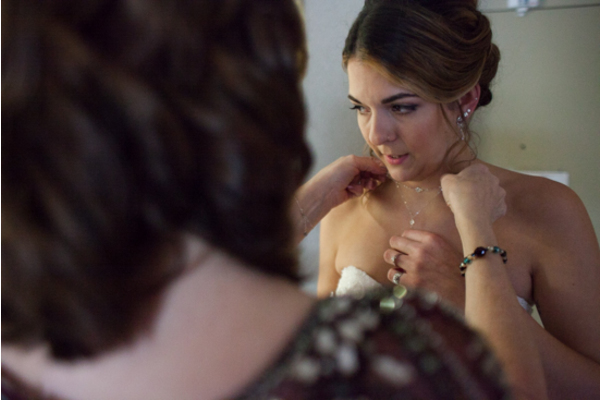 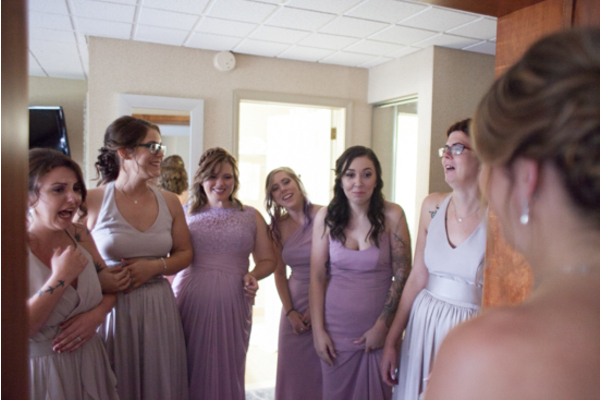 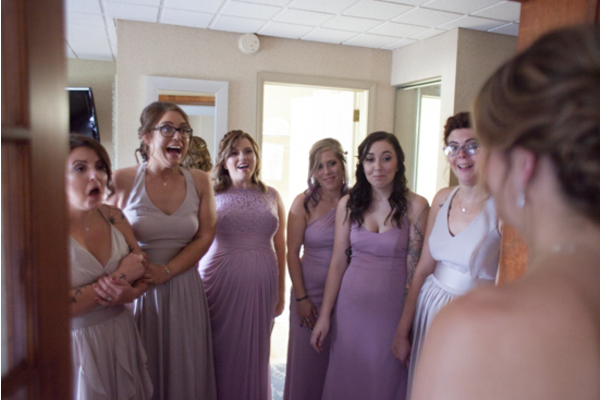 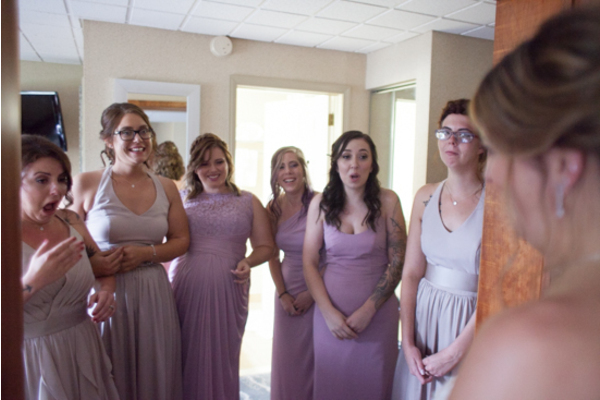 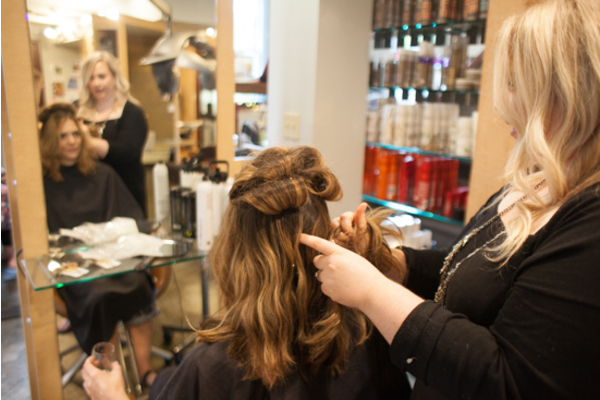 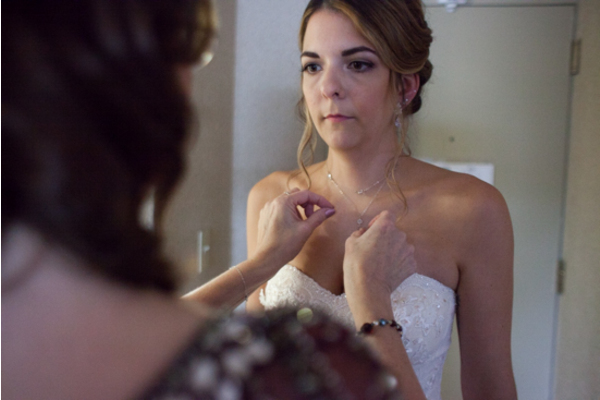 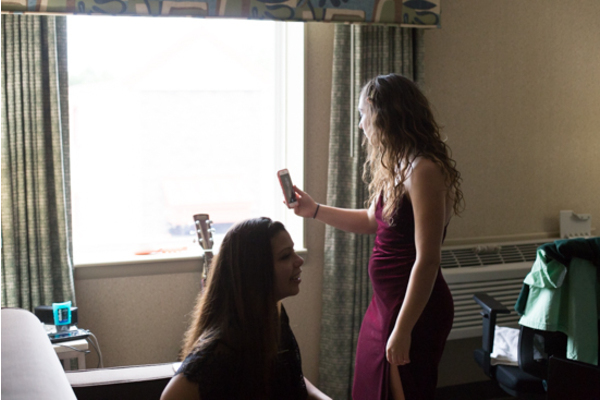 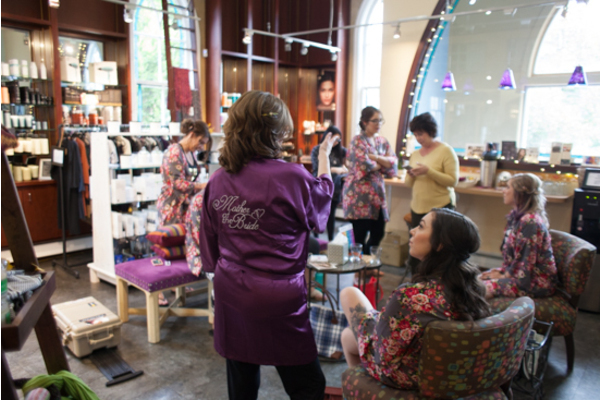 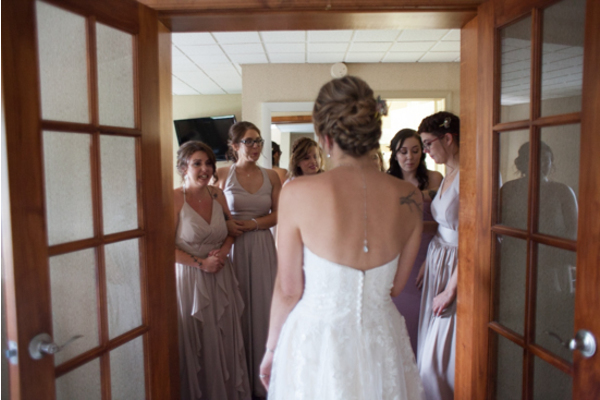 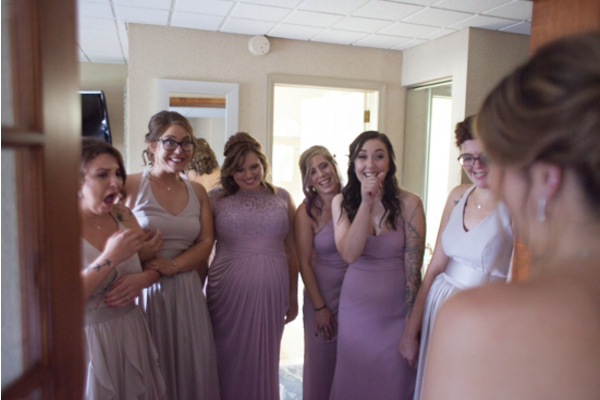 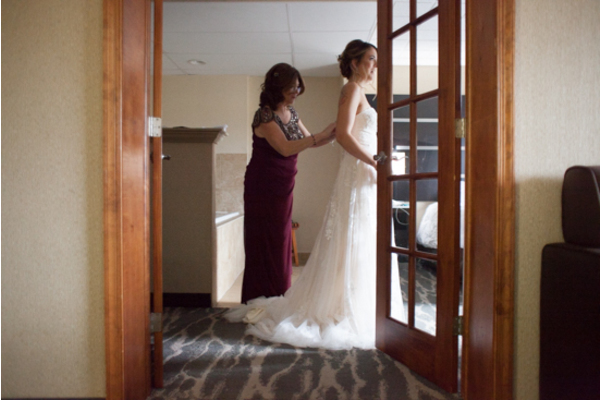 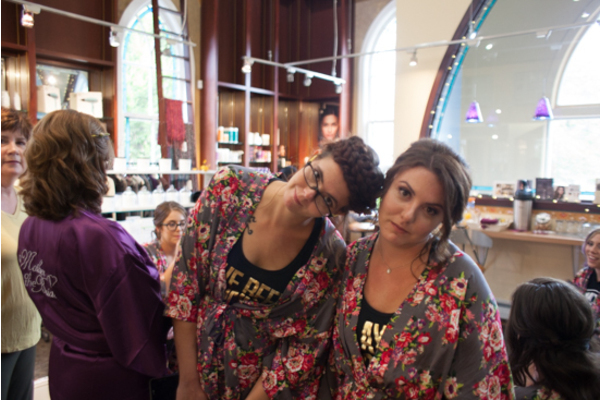 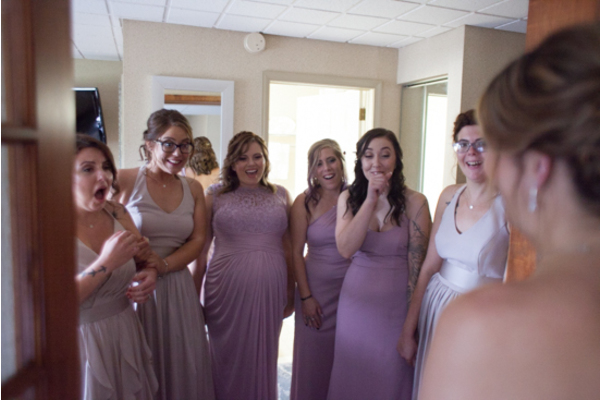 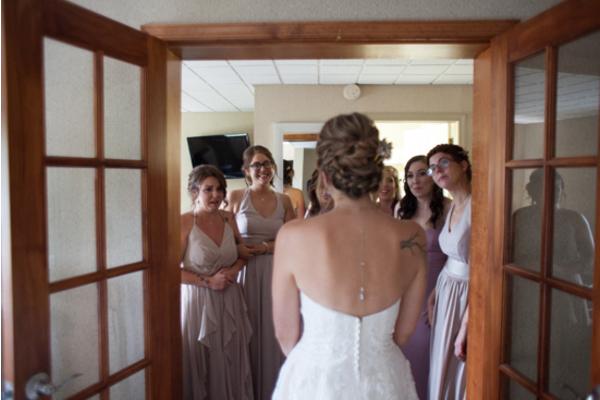 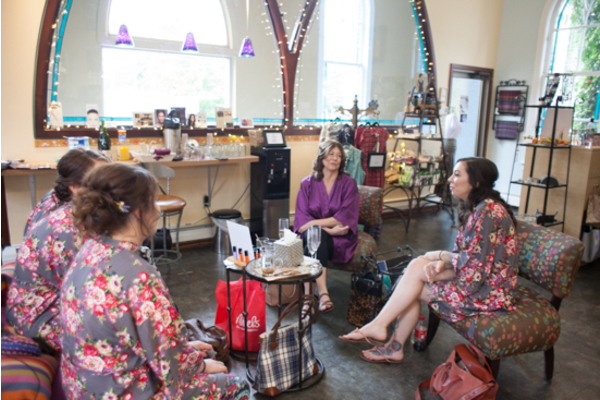 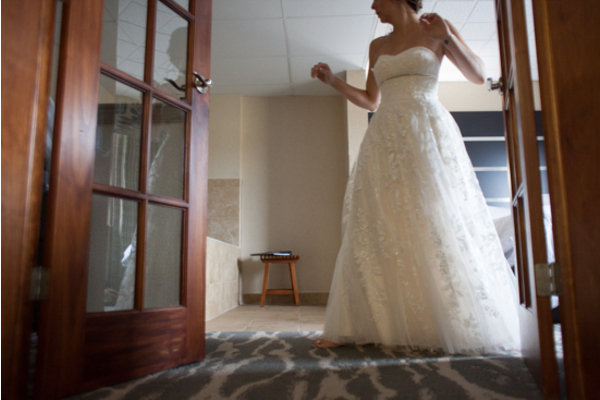 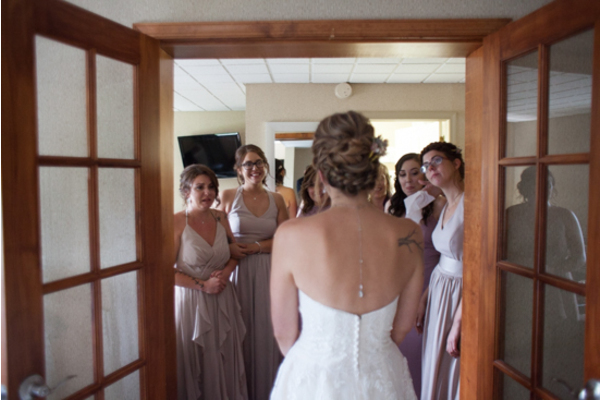 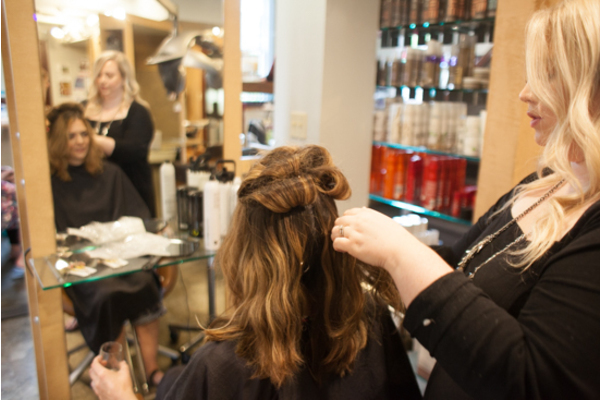 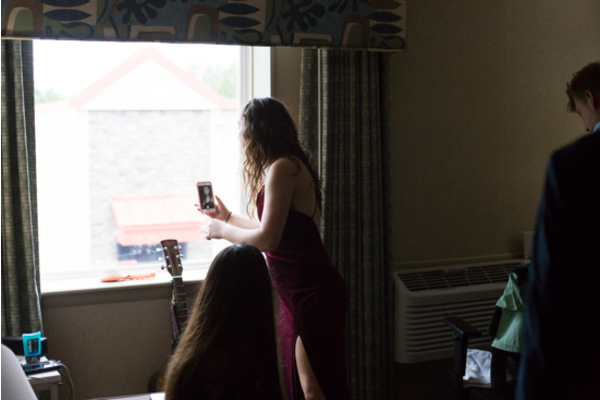 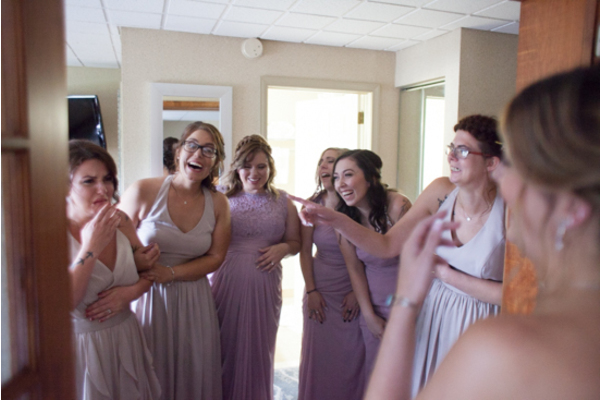 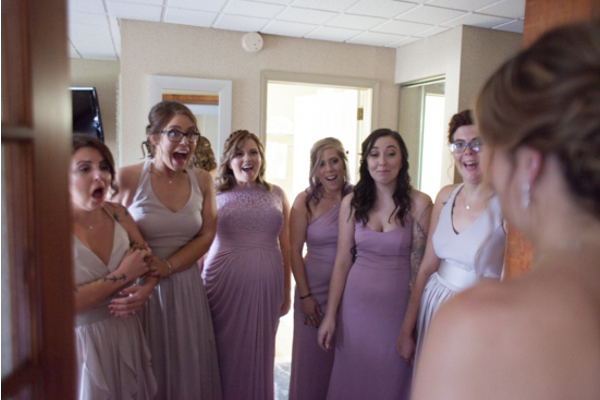 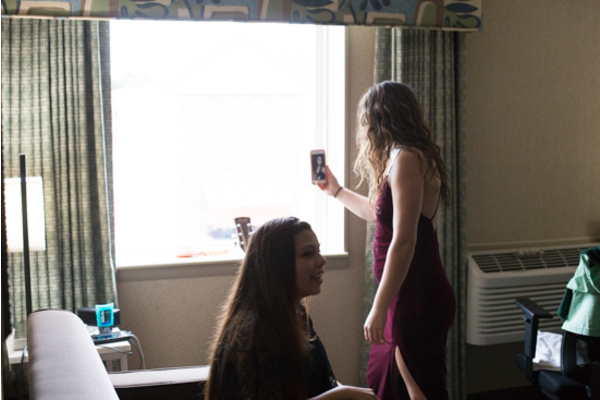 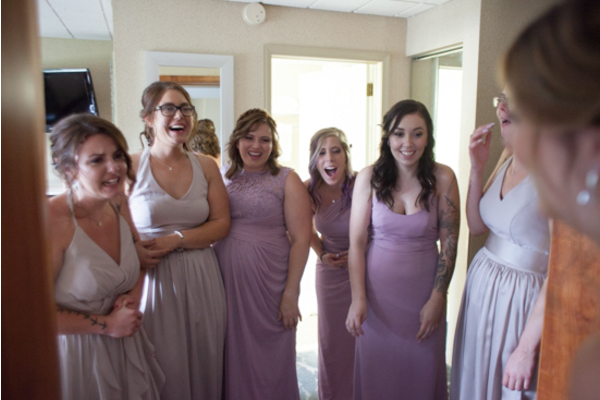 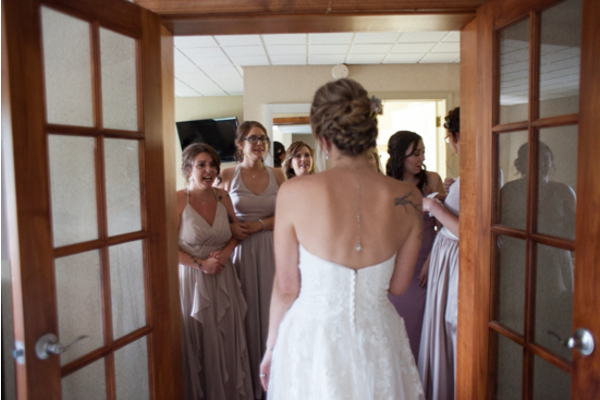 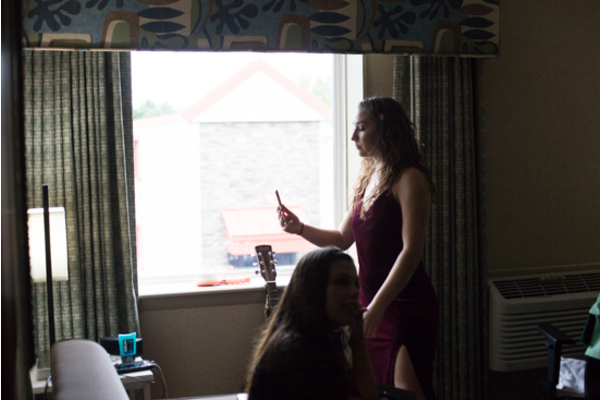 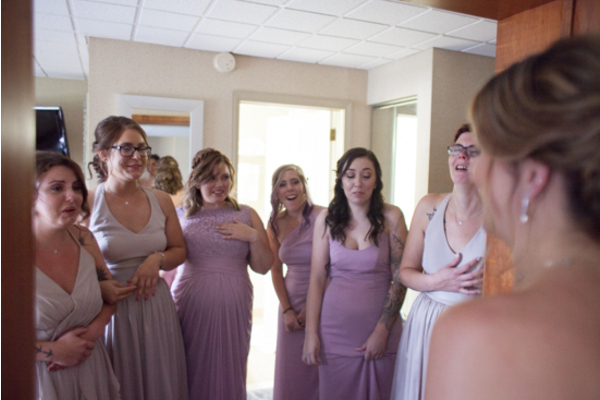 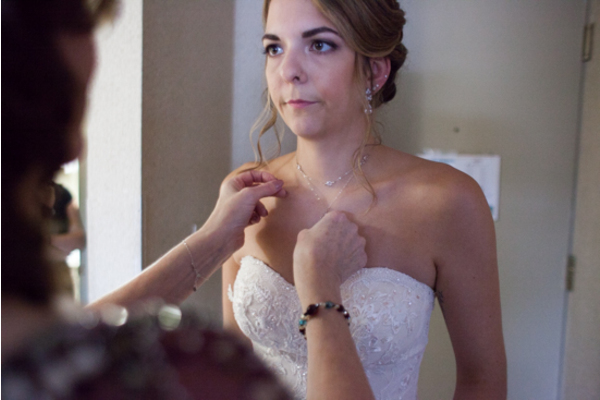 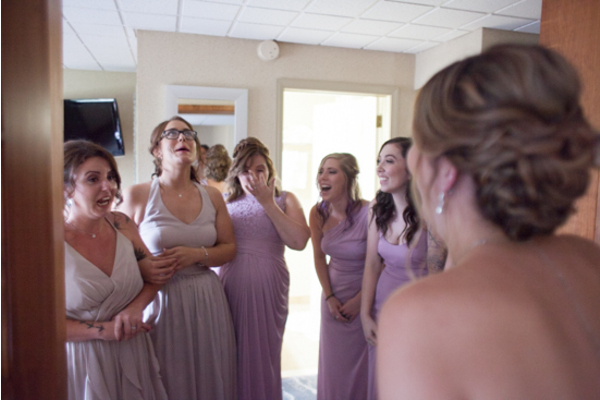 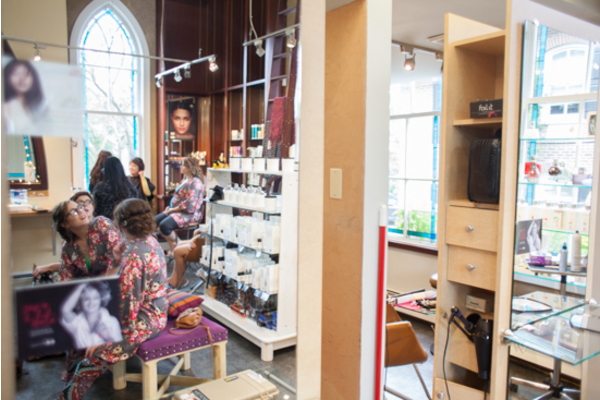 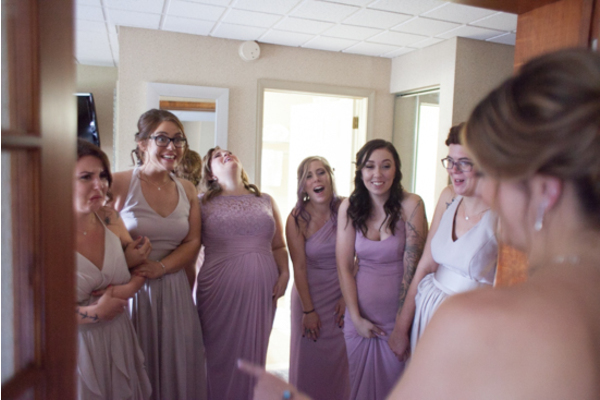 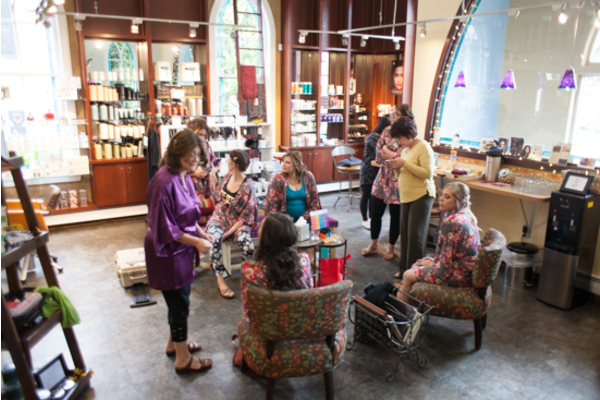 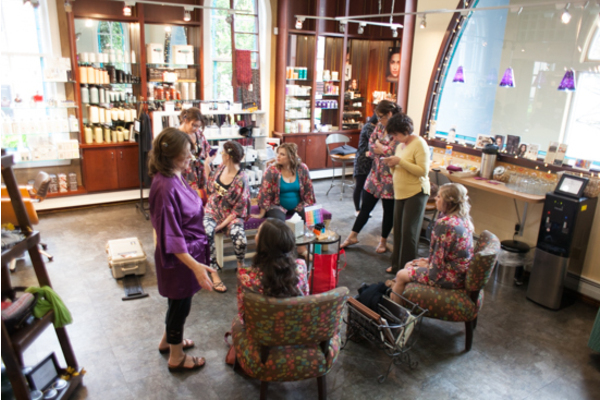 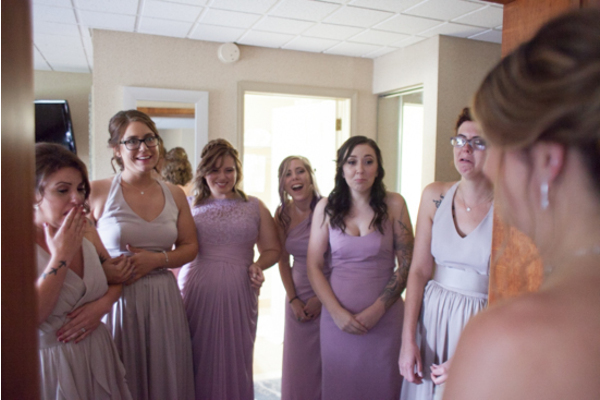 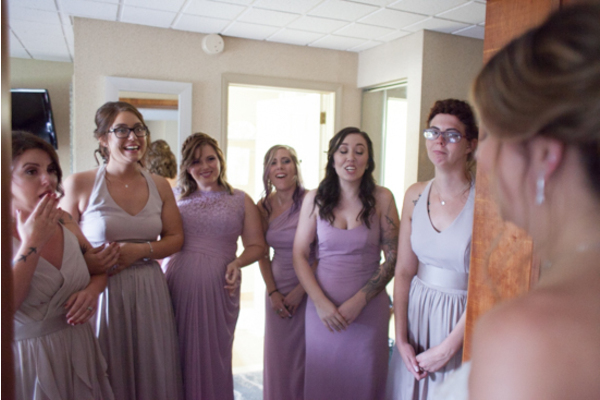 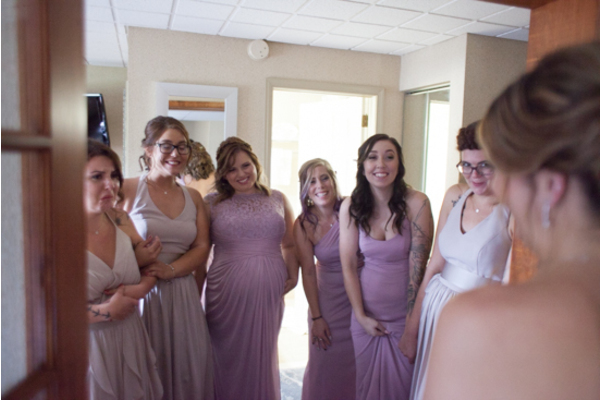 Melissa started her day by getting ready with the help of her bridesmaids! 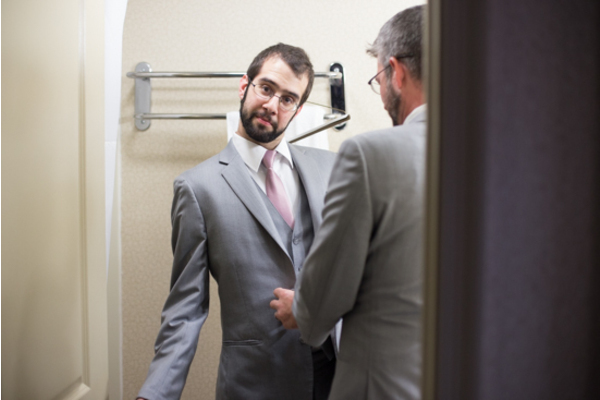 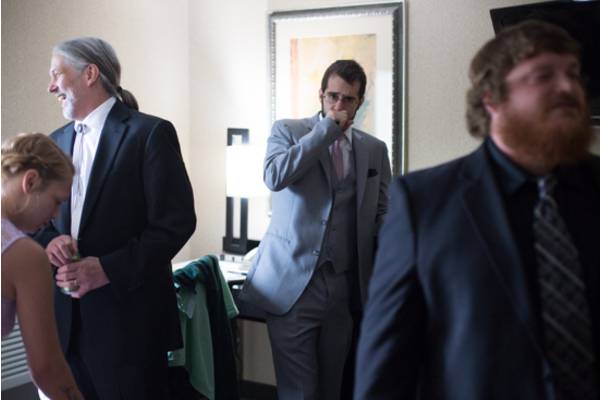 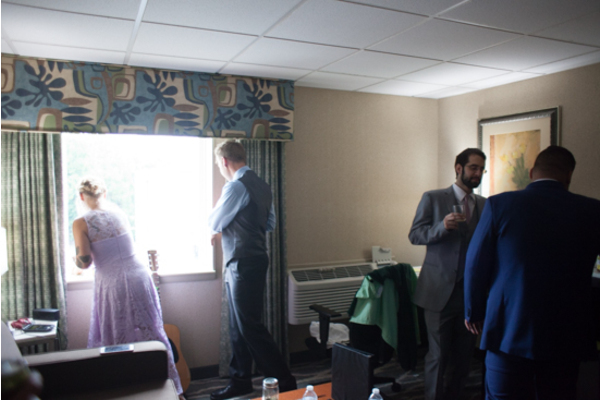 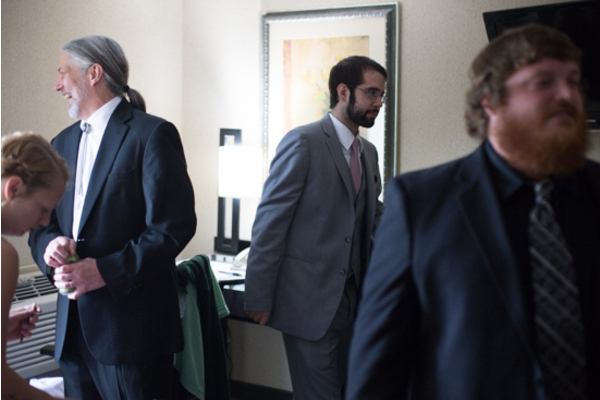 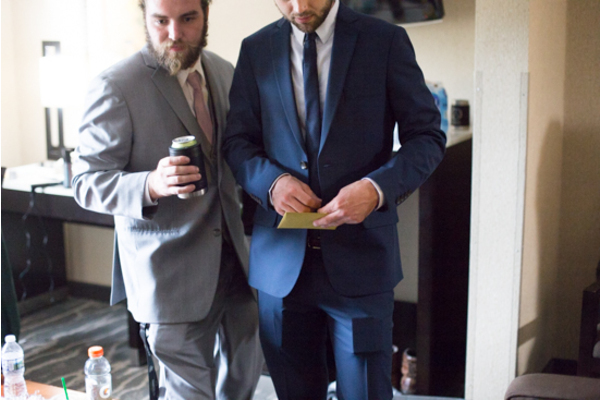 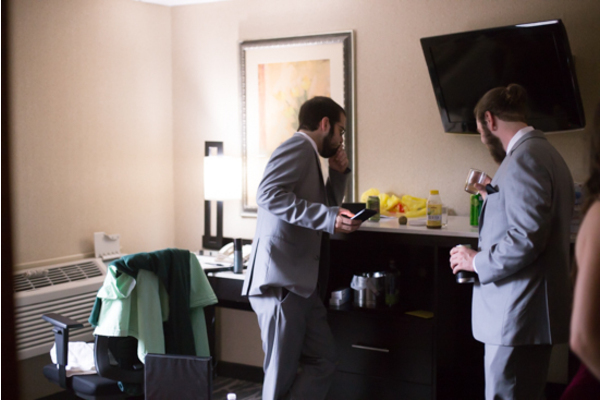 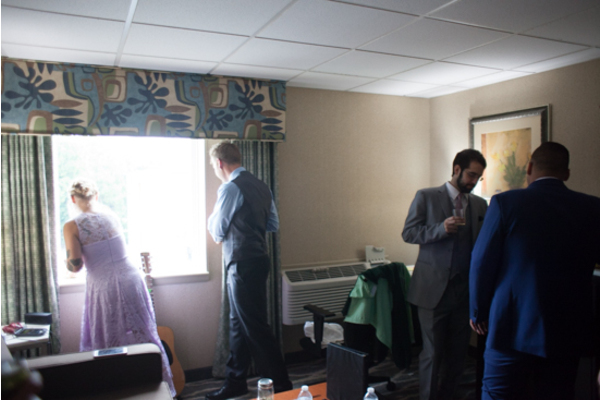 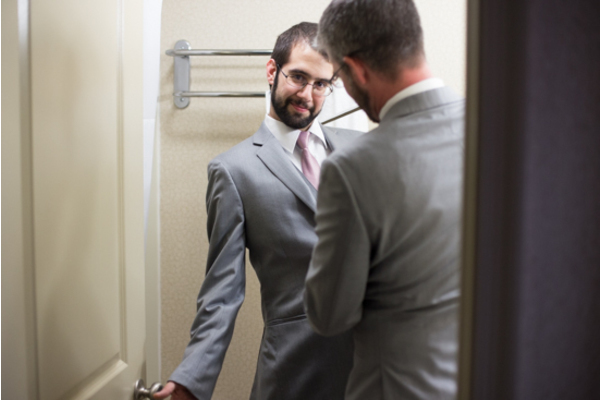 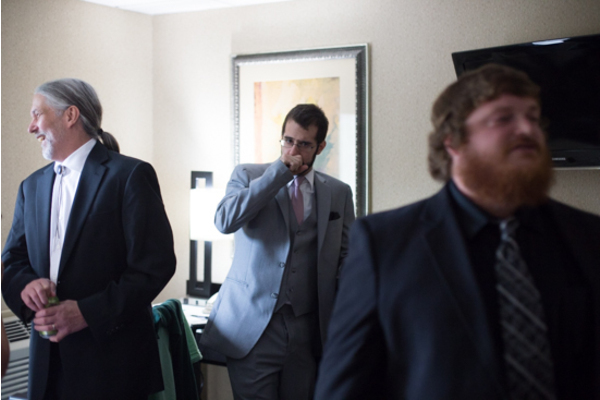 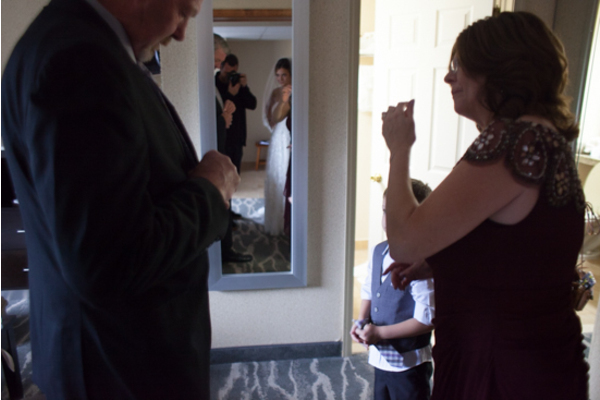 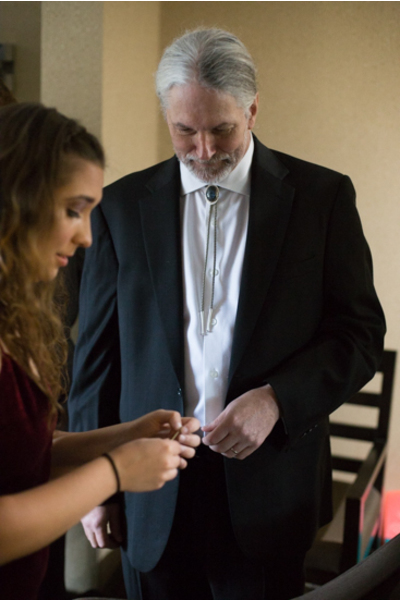 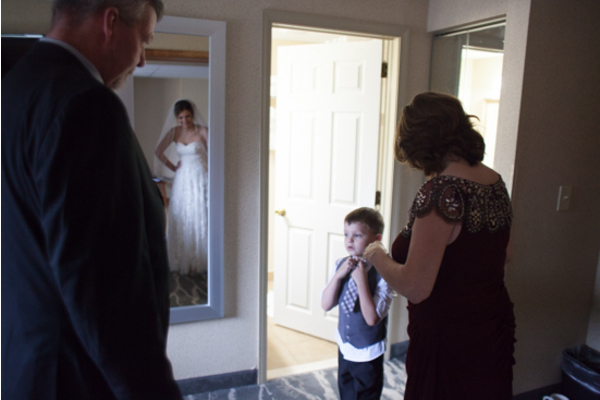 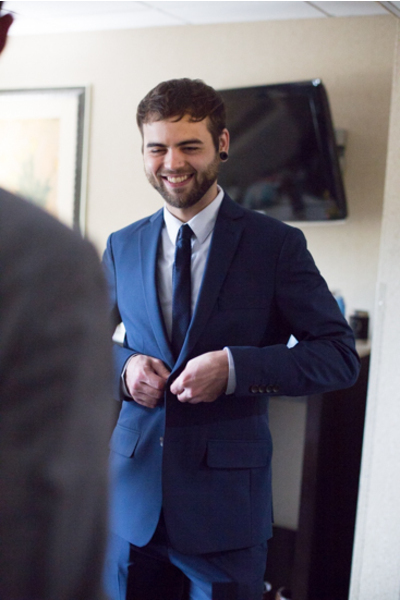 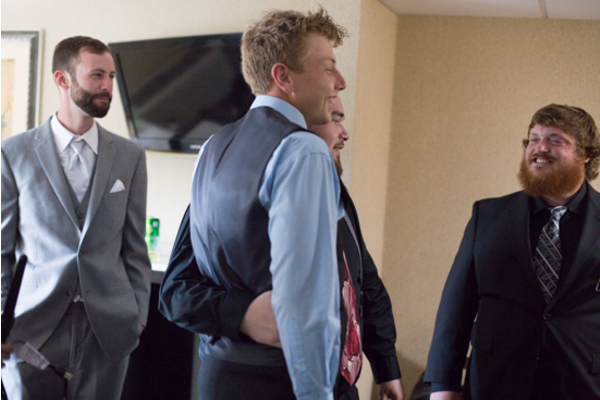 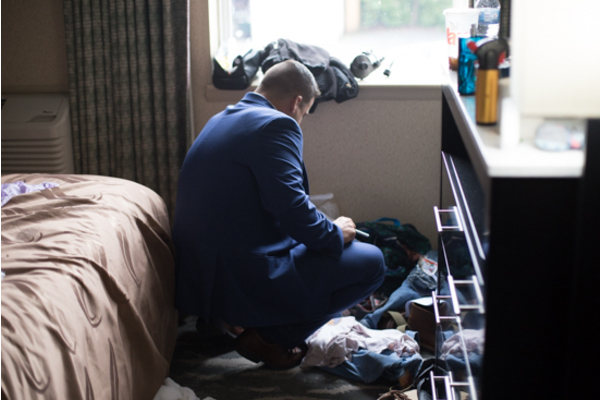 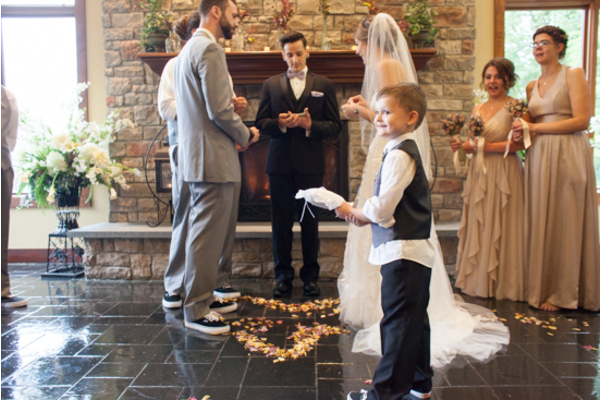 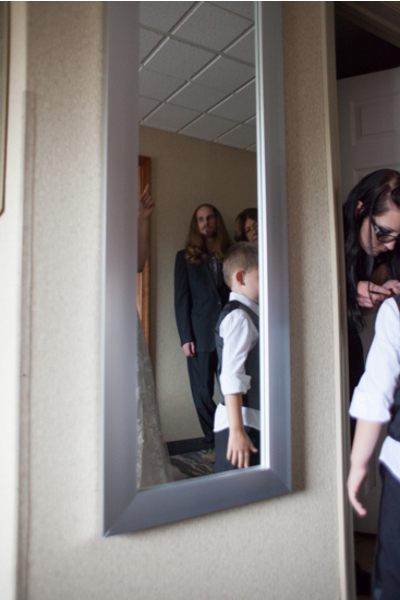 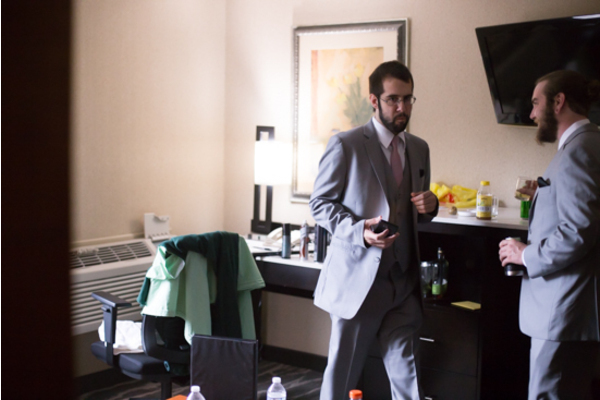 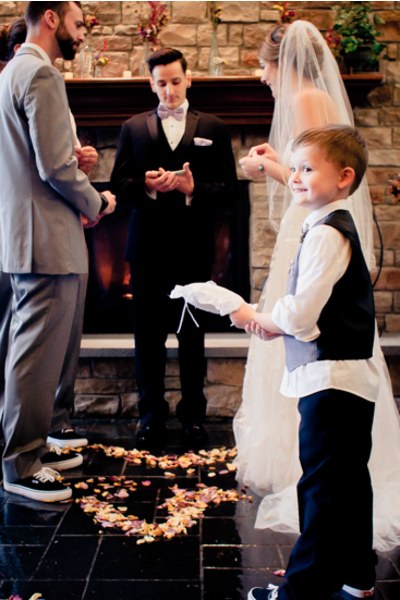 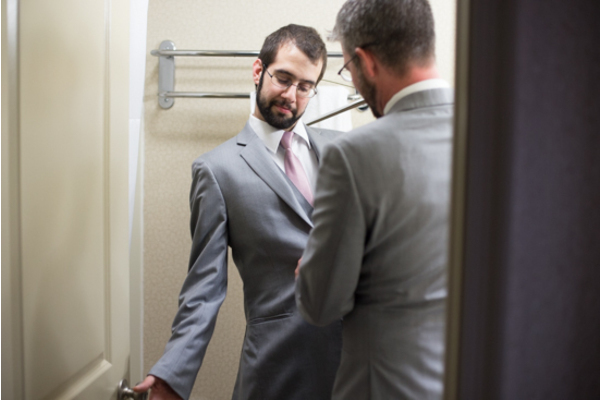 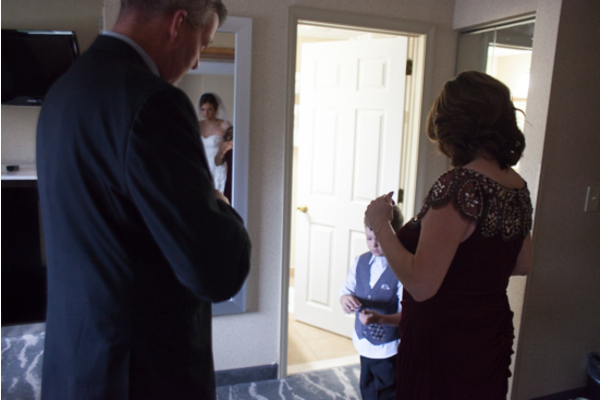 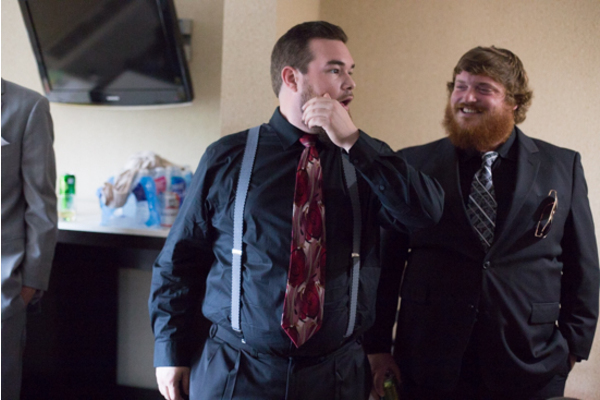 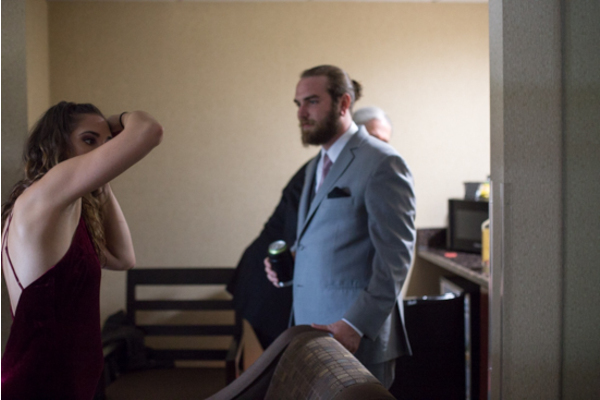 Near by Adam was also preparing for his big day as he straightened his tie, and laced up his shoes. 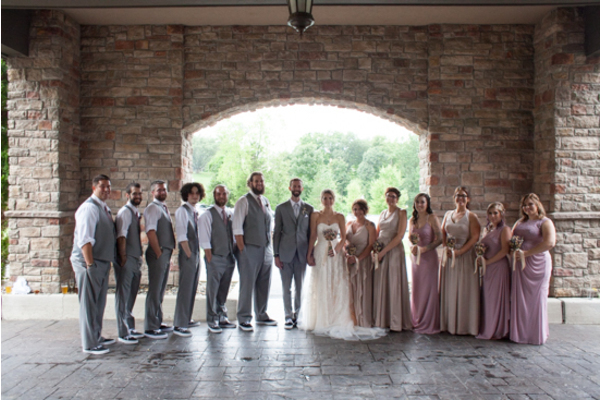 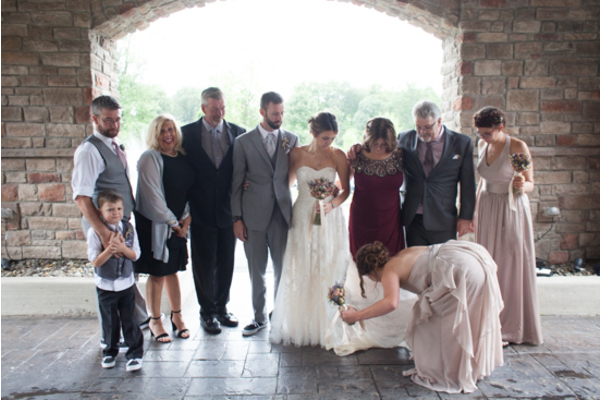 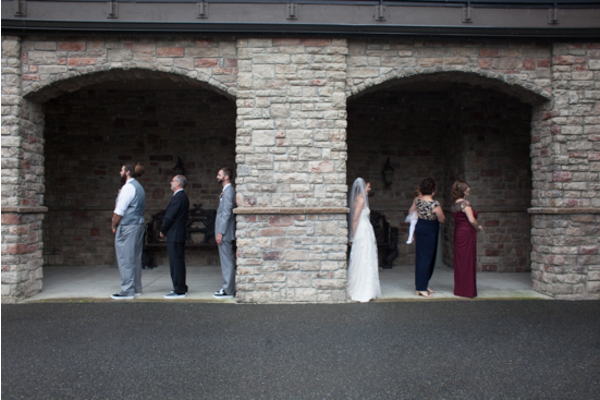 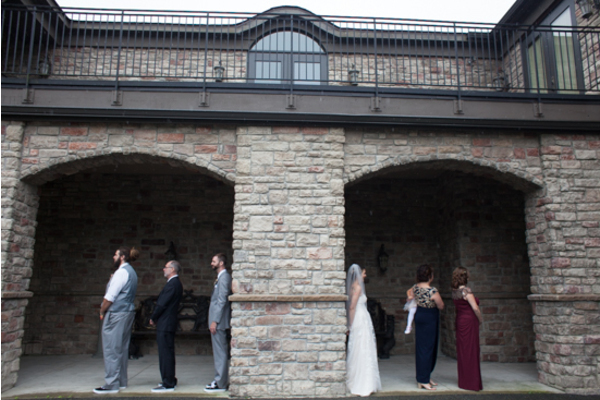 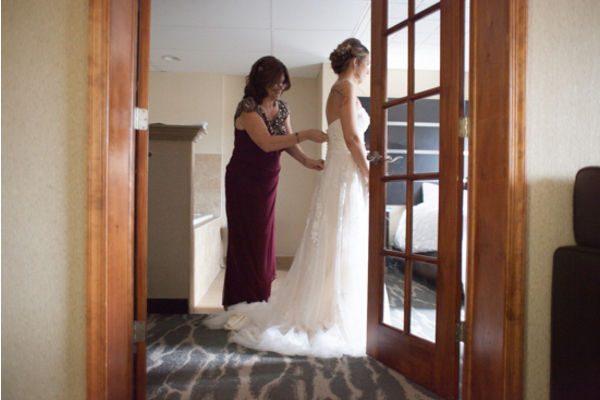 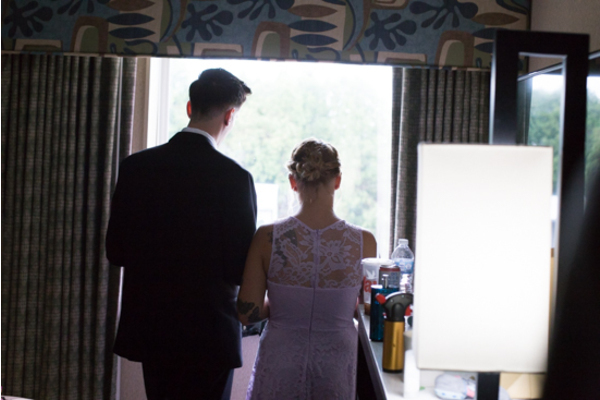 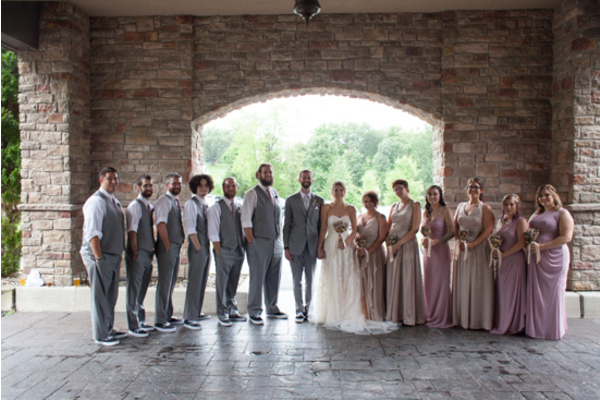 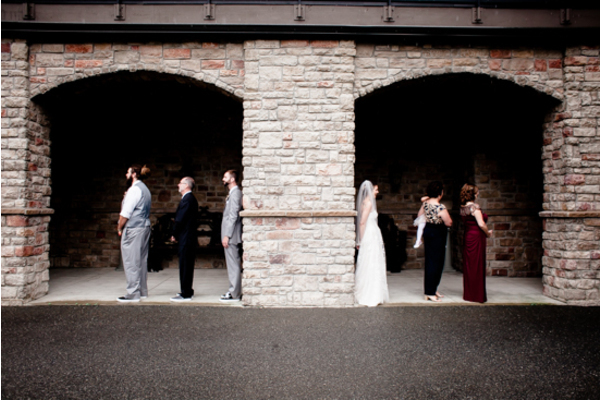 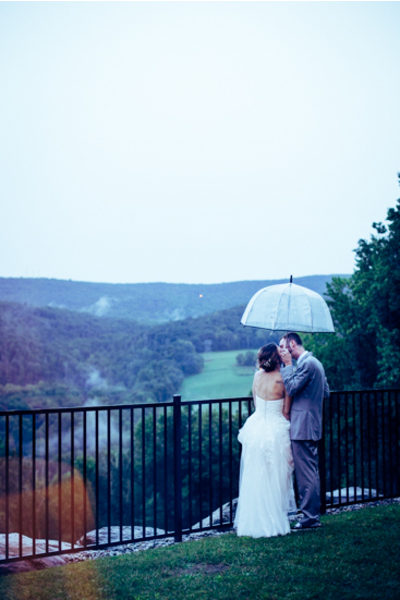 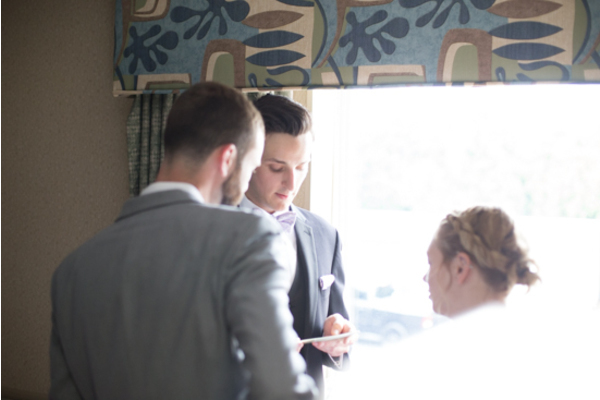 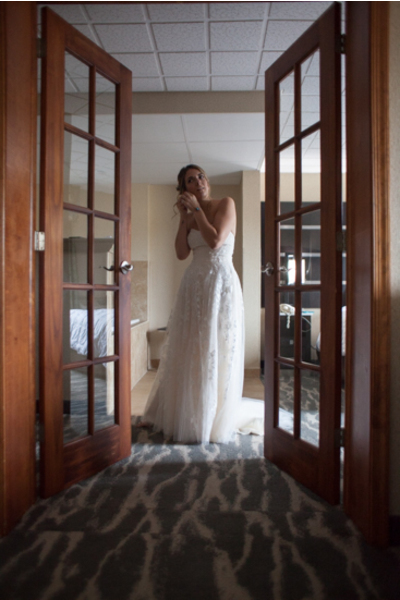 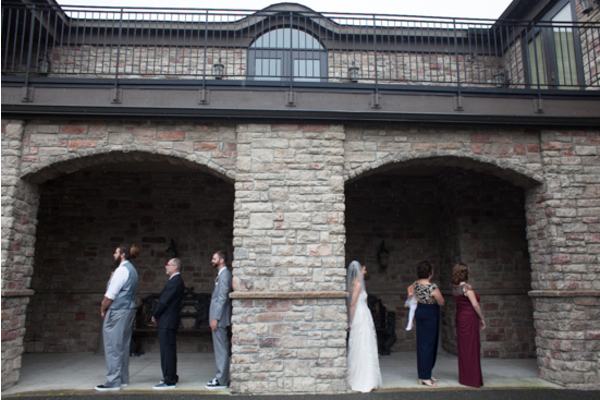 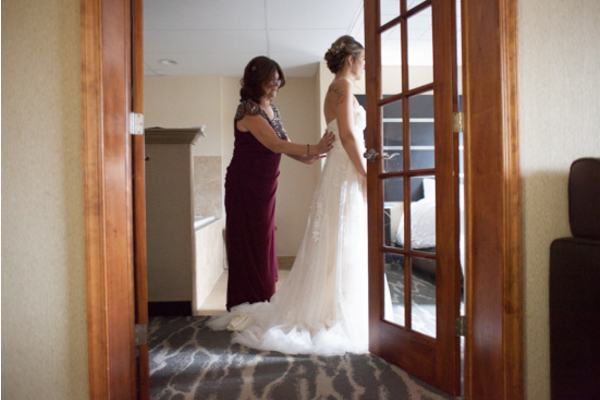 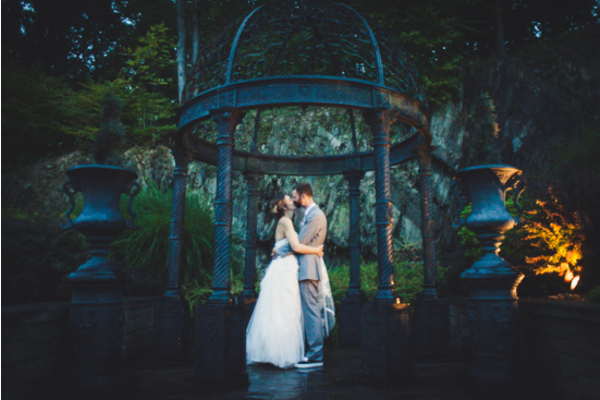 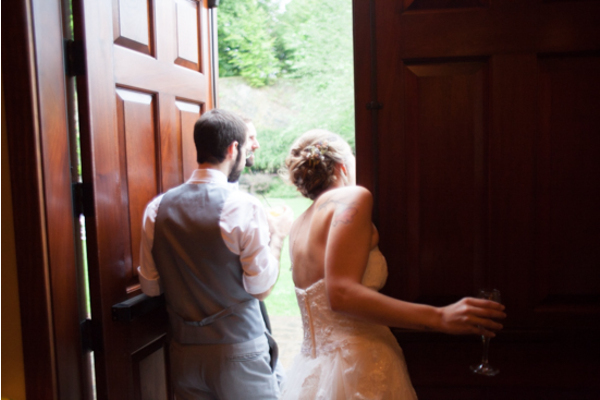 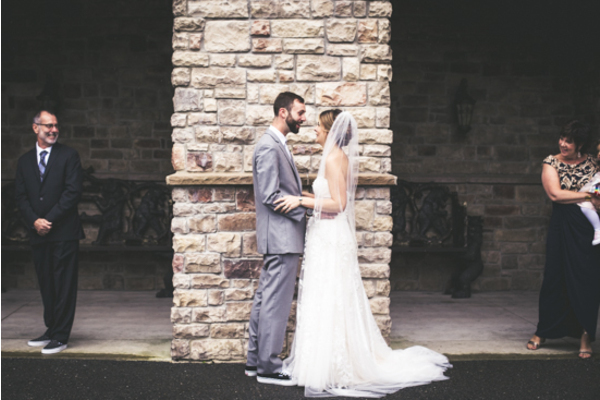 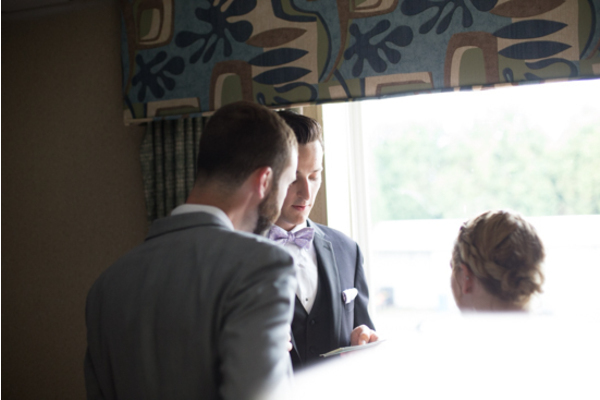 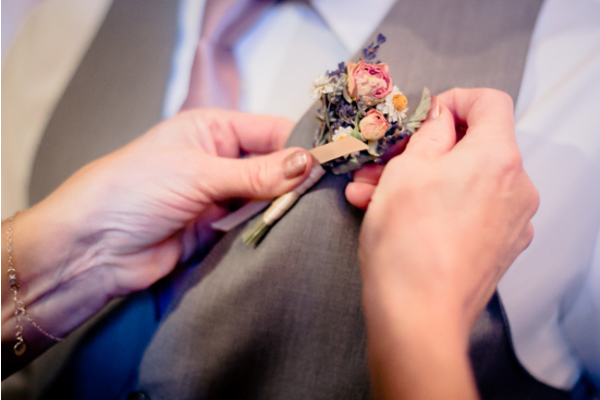 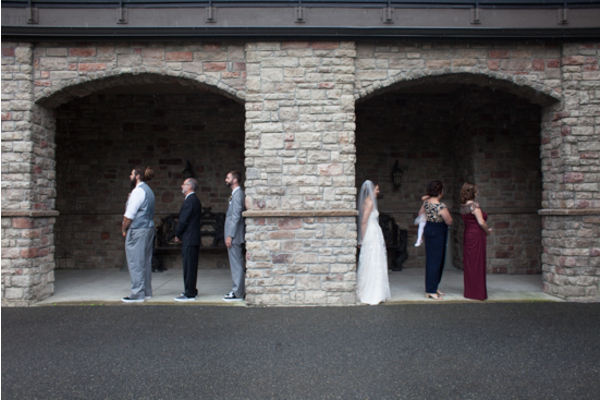 Once they felt every last detail was in place, both Melissa and Adam made their way outside for a few gorgeous photographs thanks to the help of our PA Wedding Photographer. 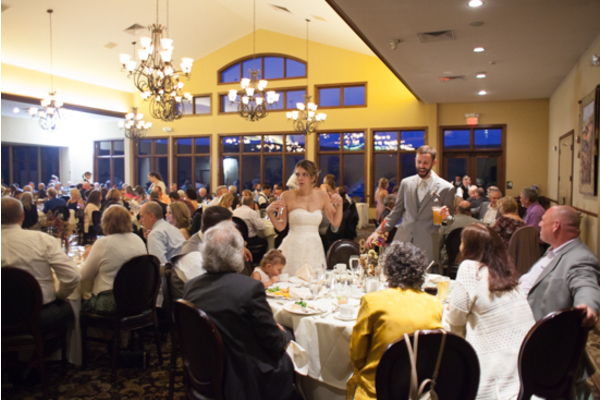 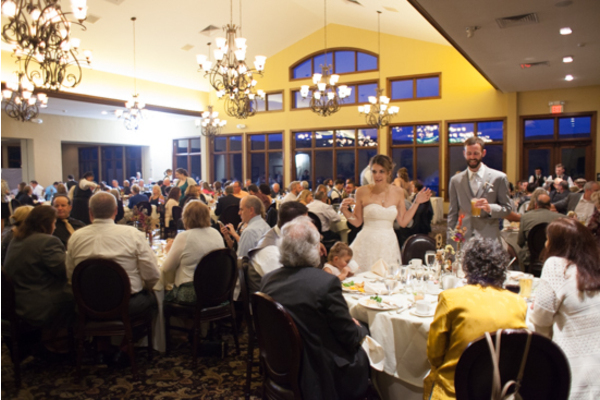 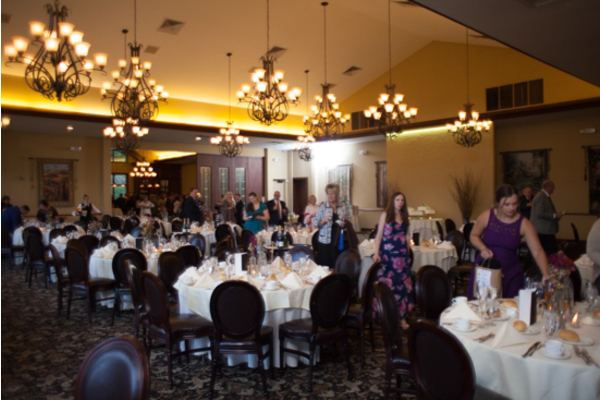 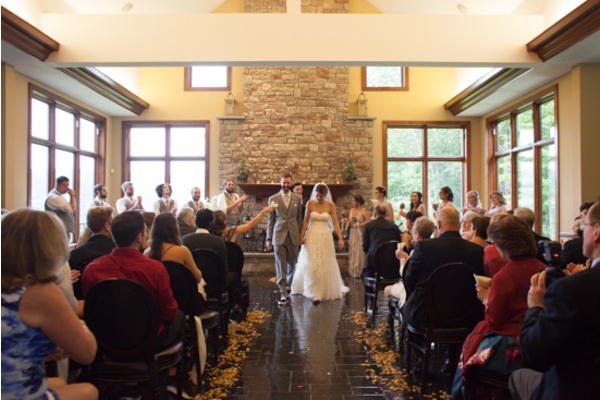 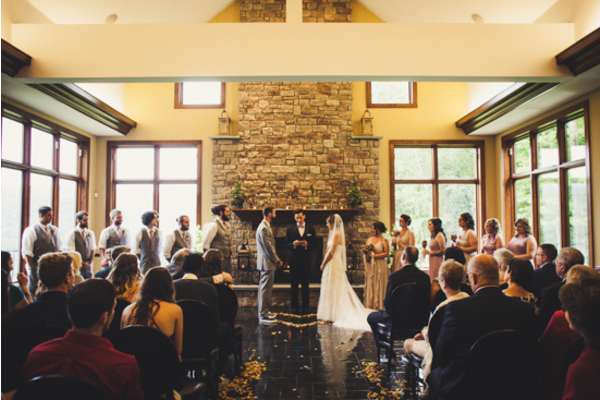 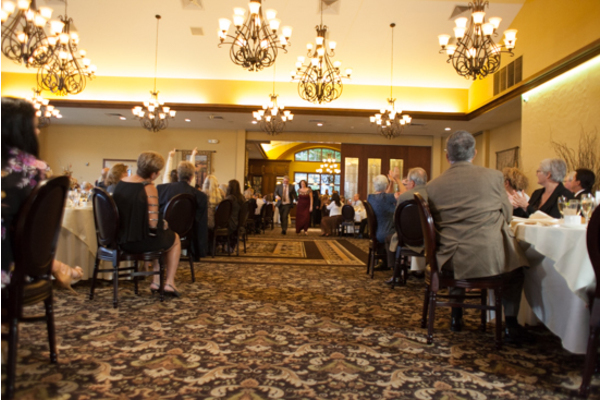 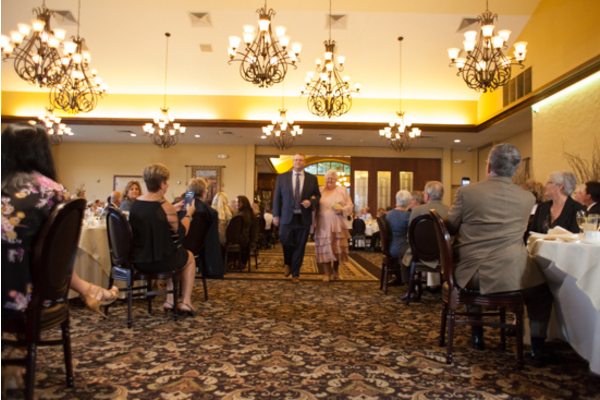 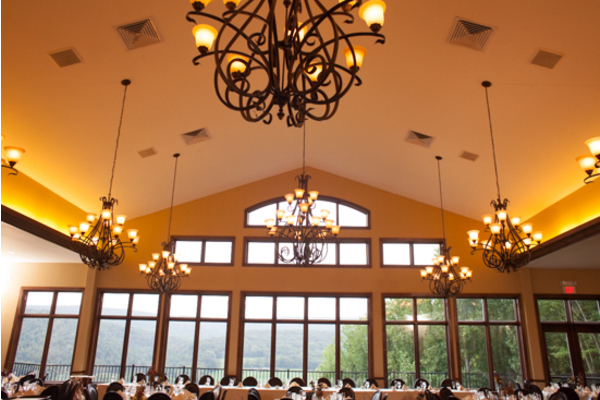 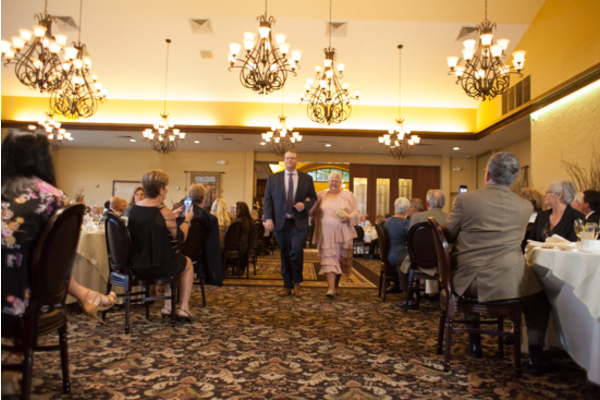 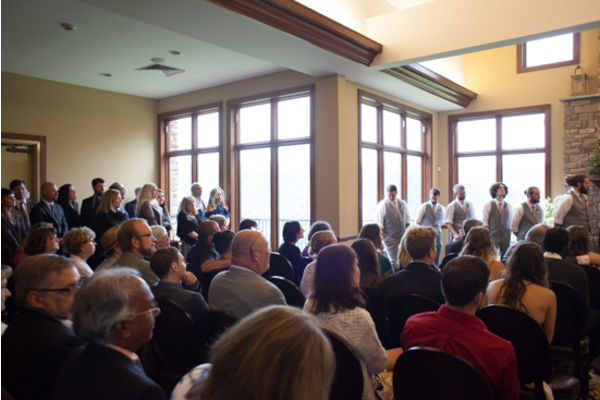 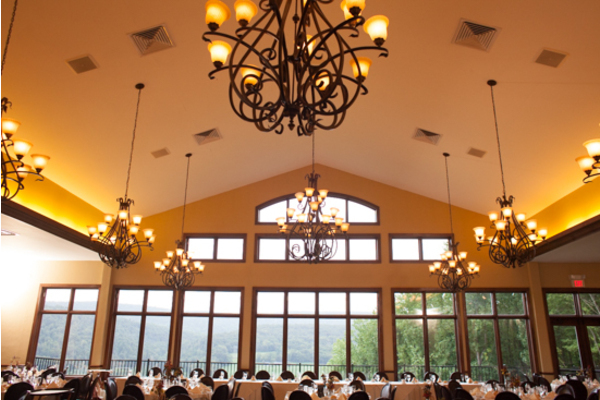 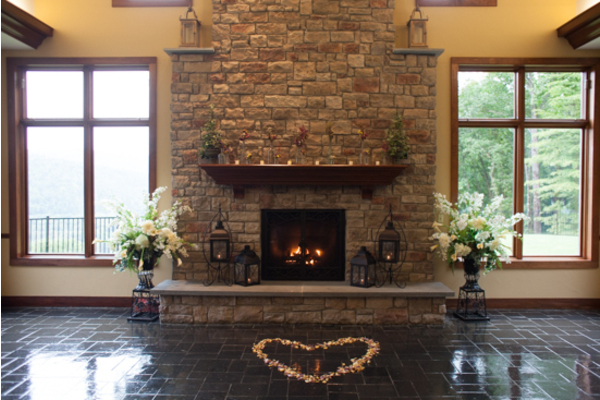 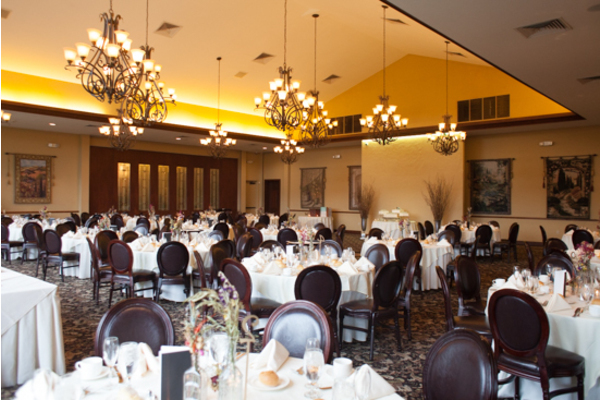 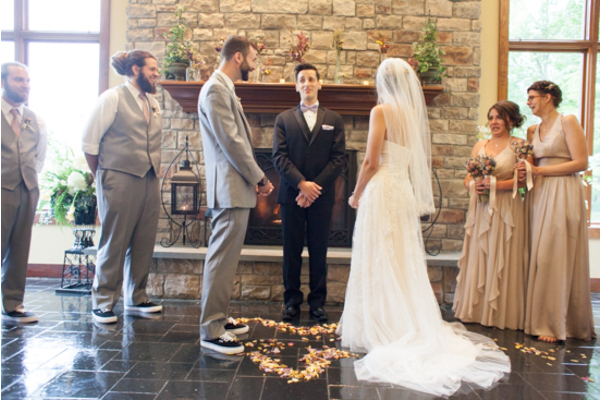 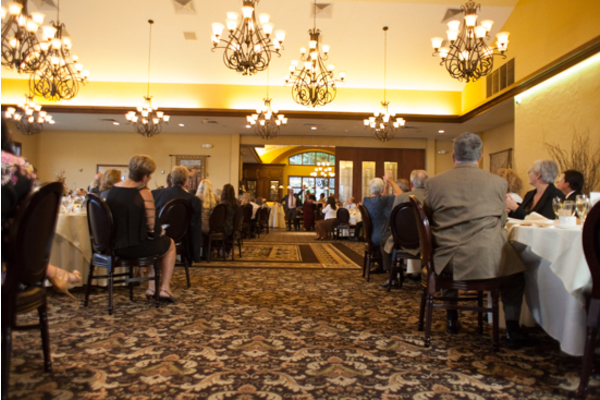 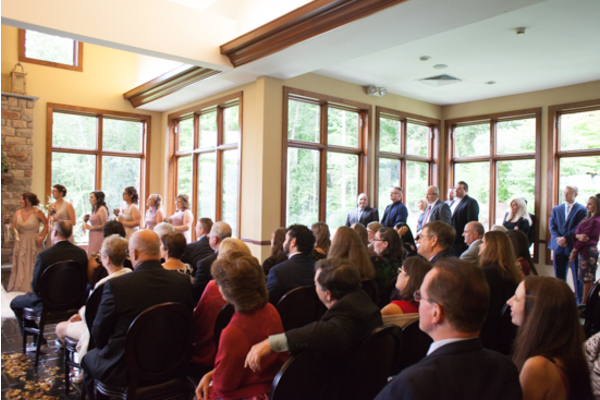 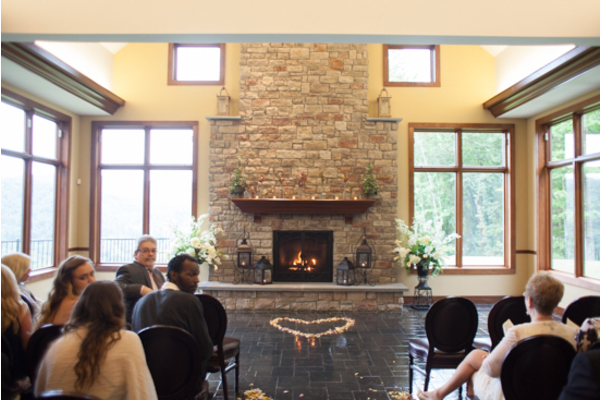 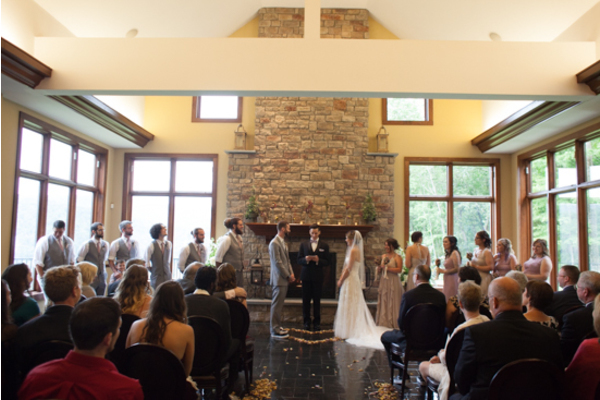 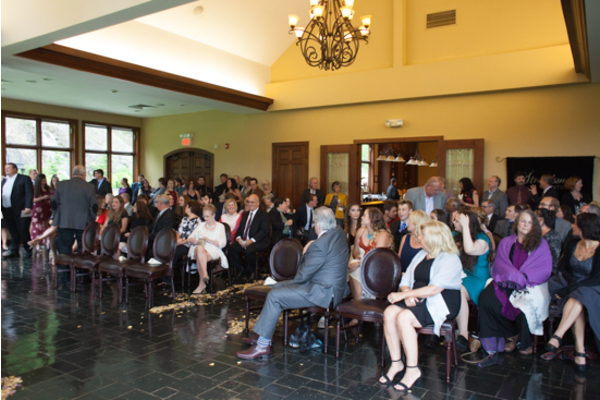 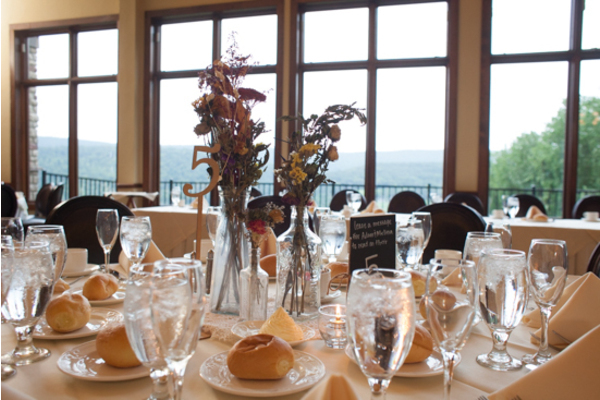 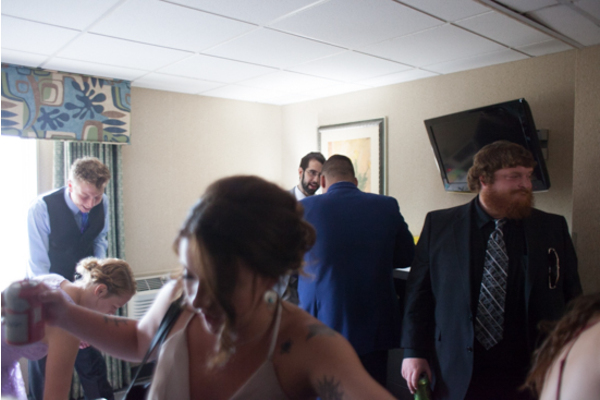 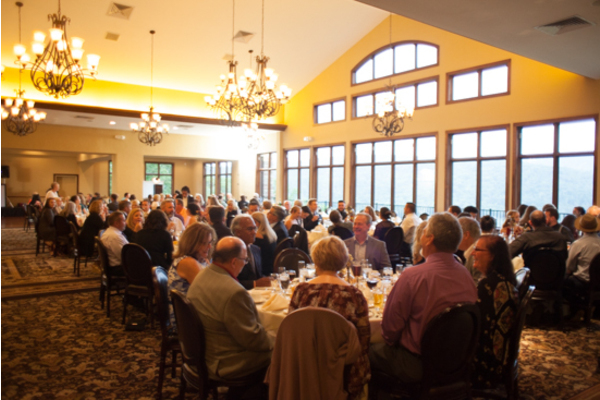 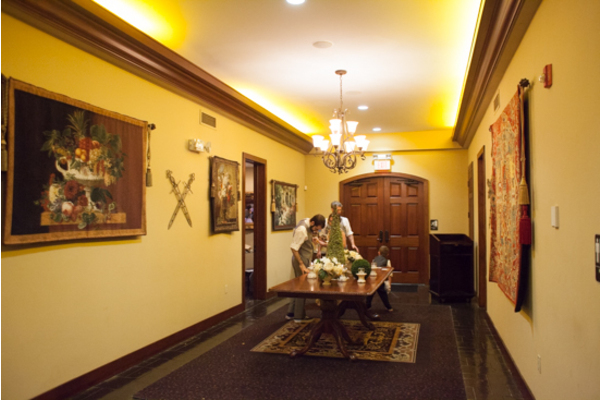 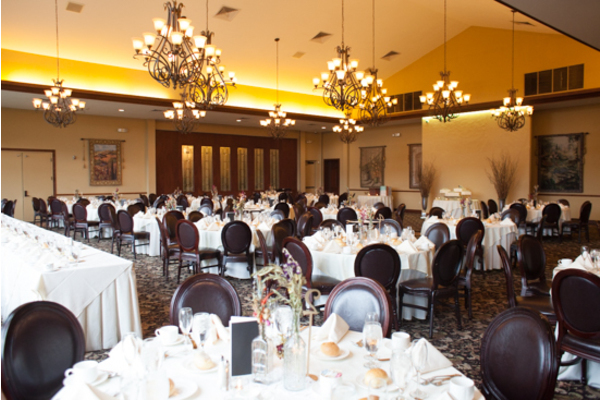 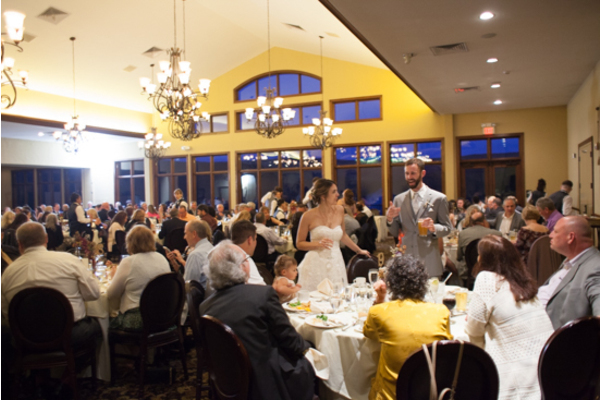 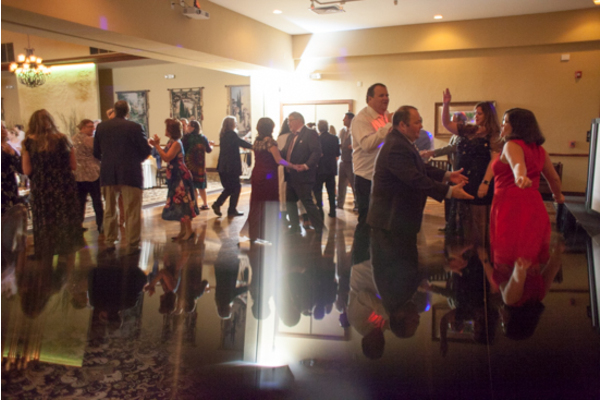 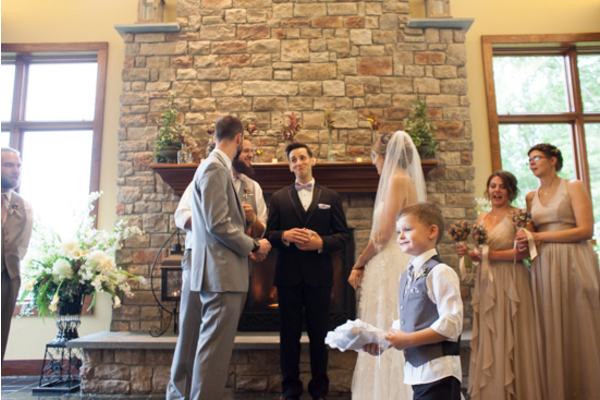 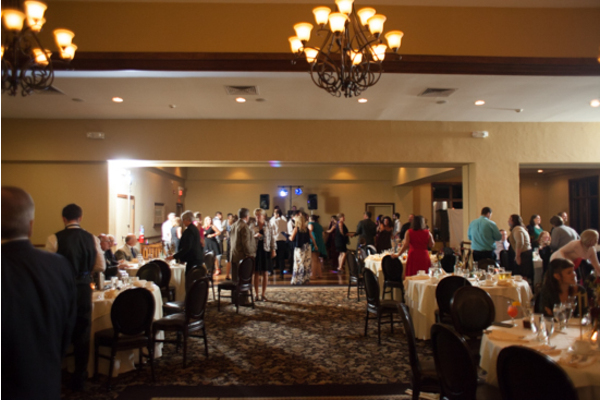 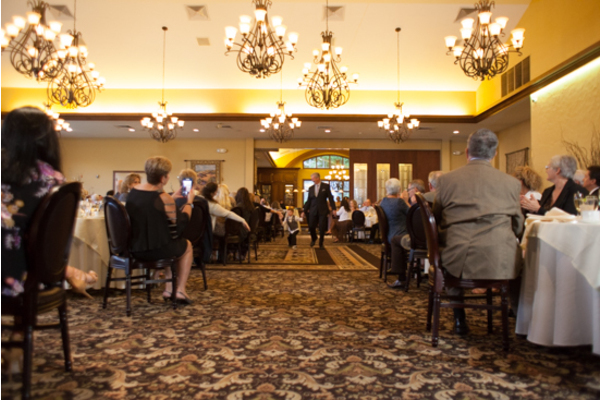 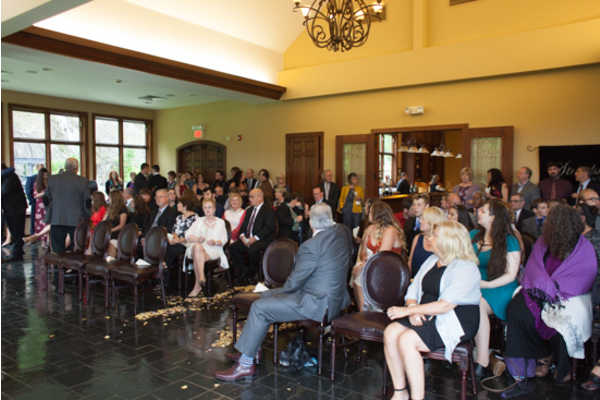 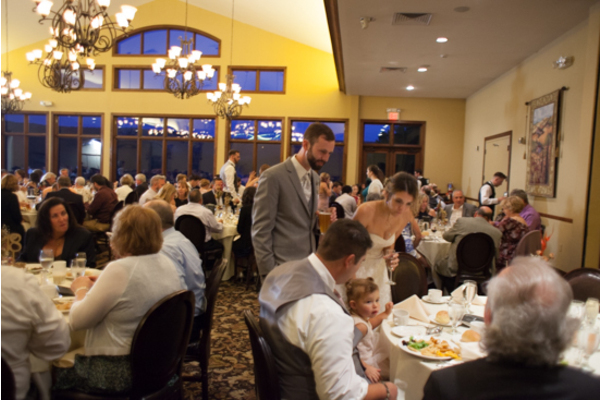 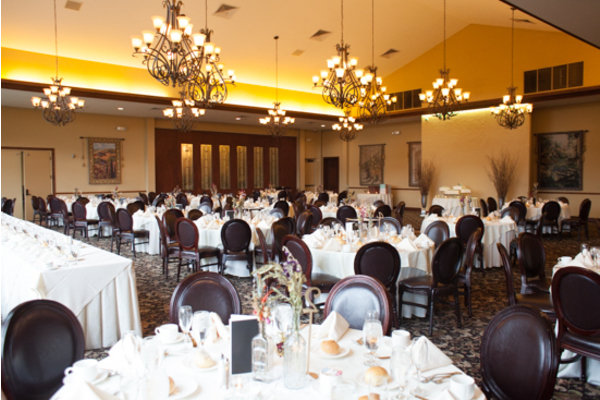 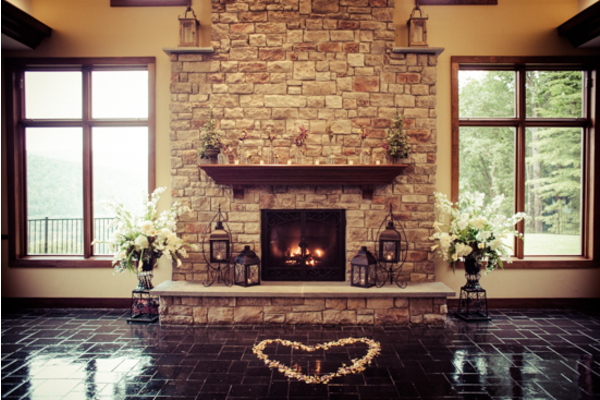 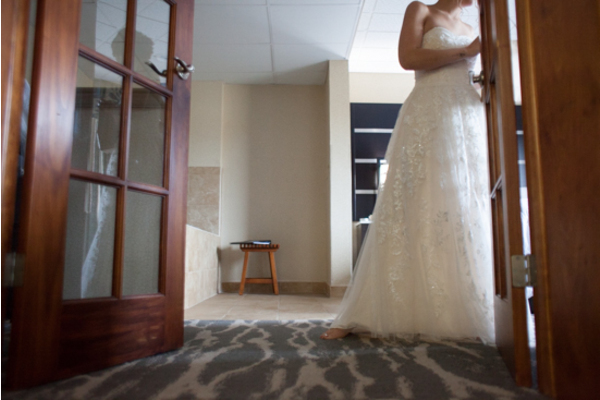 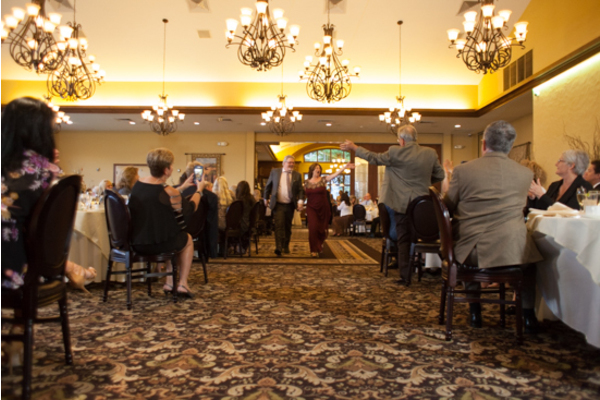 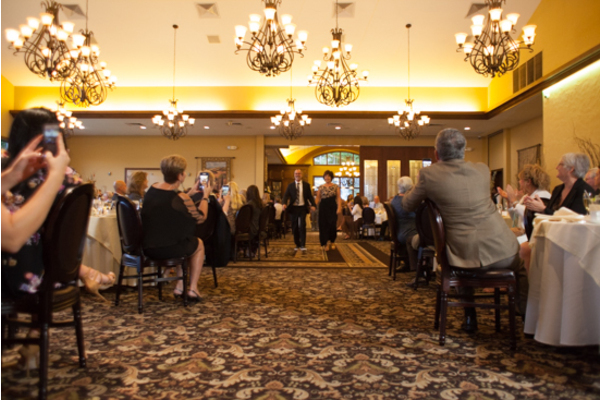 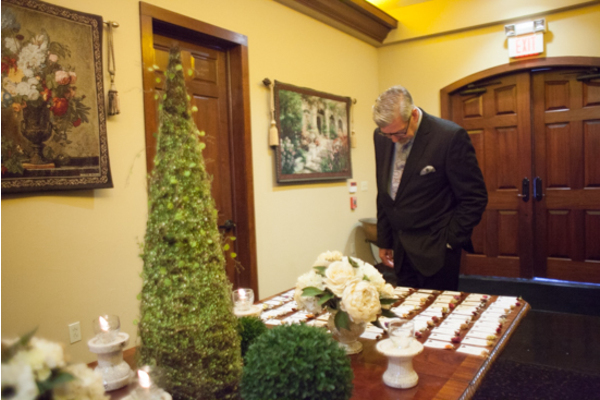 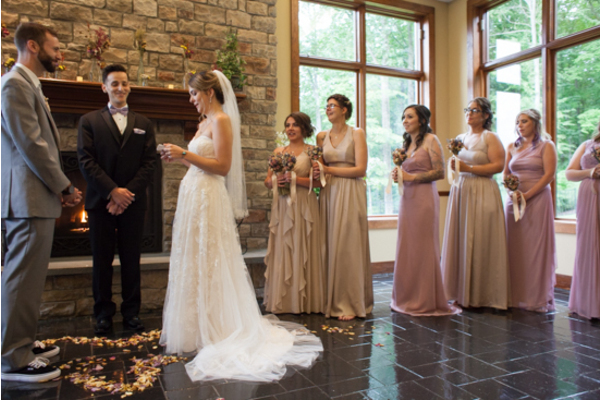 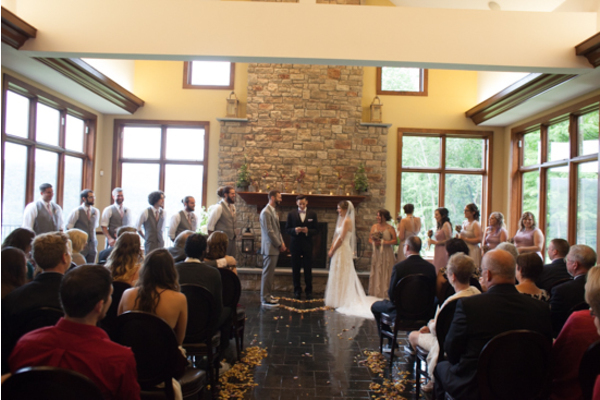 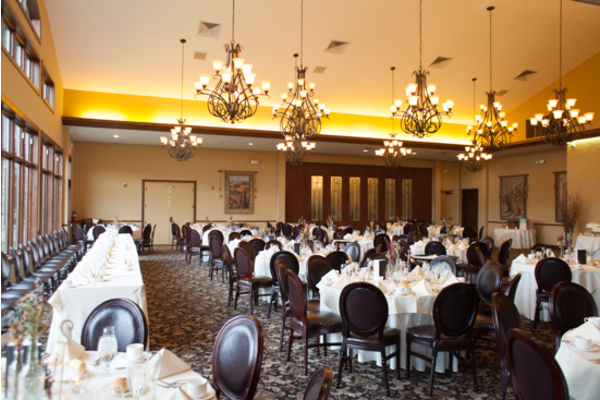 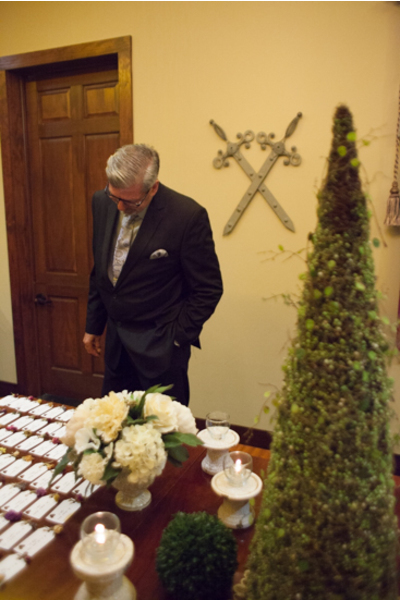 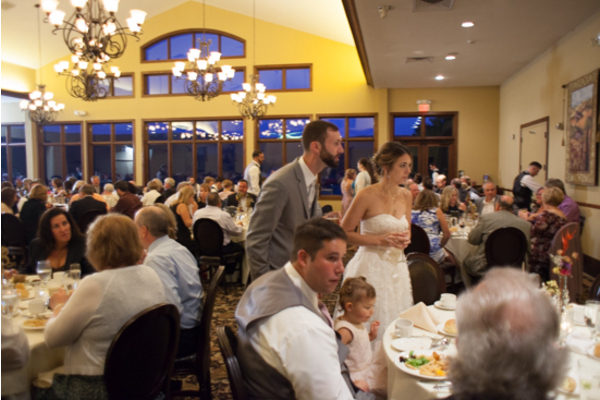 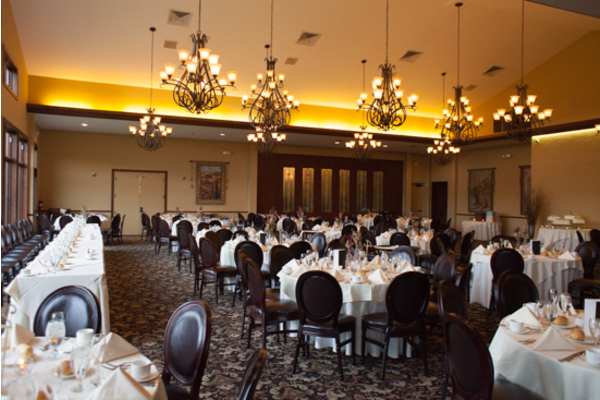 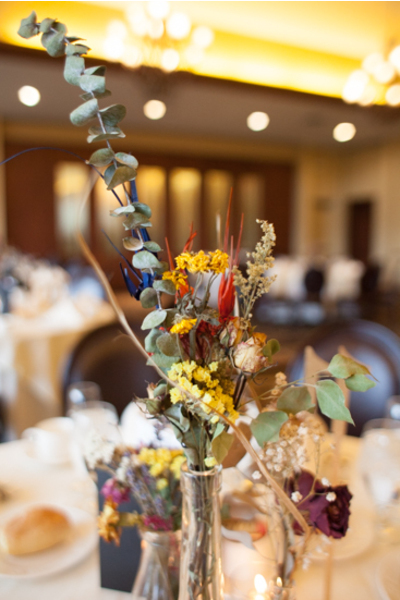 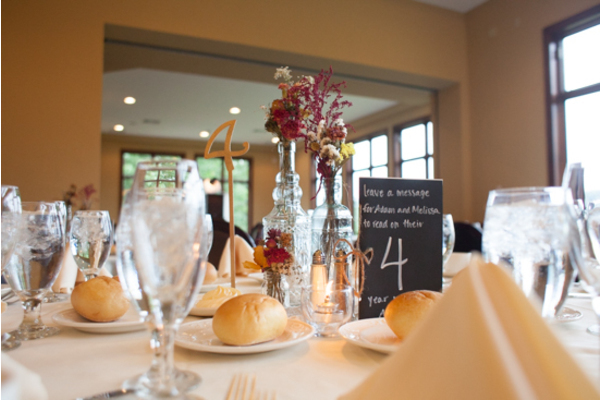 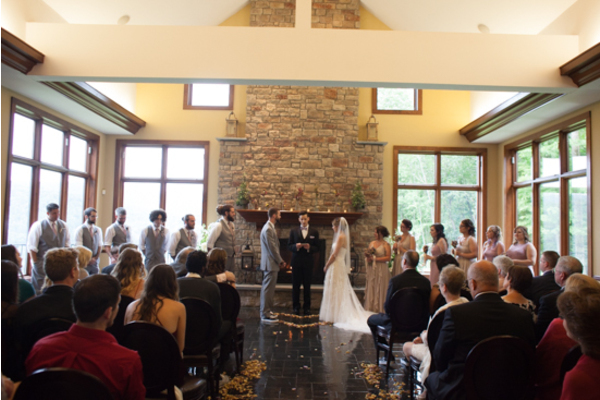 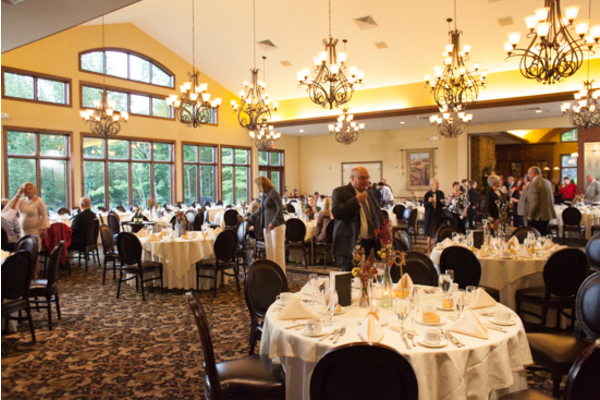 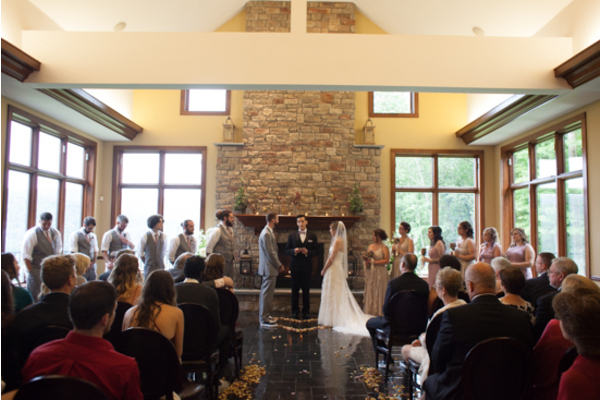 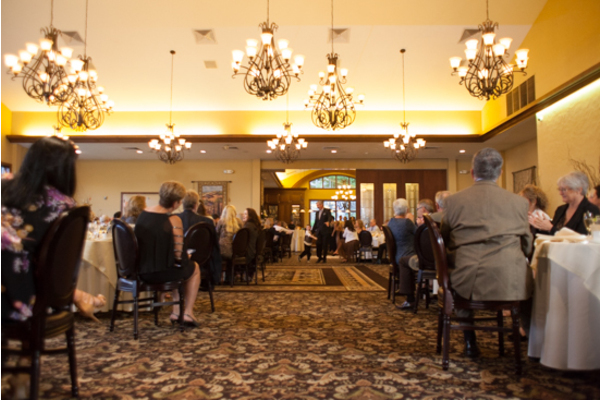 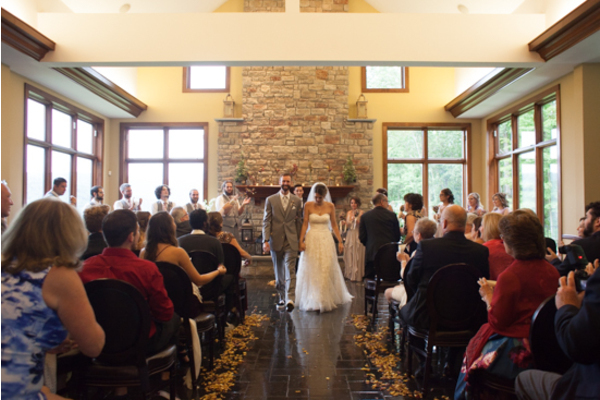 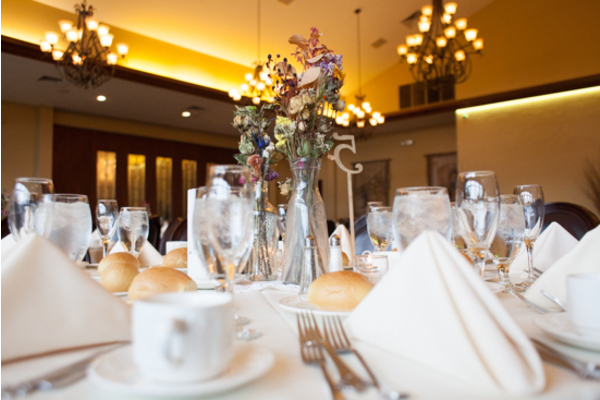 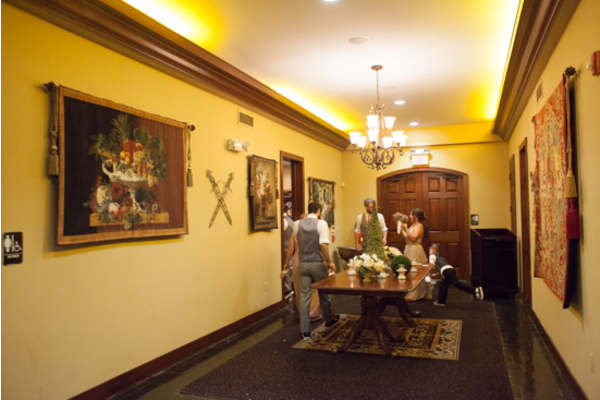 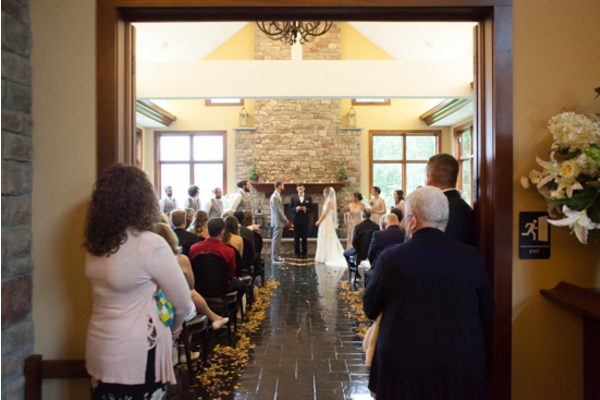 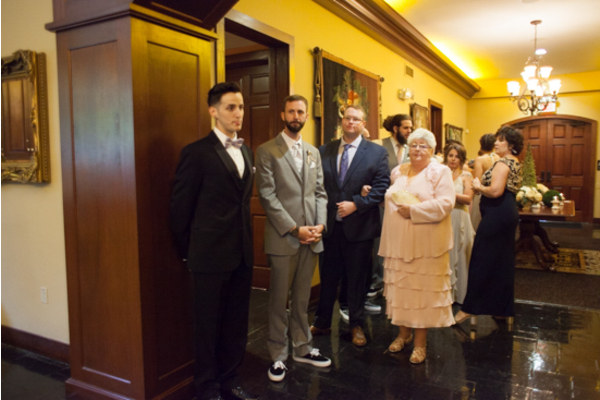 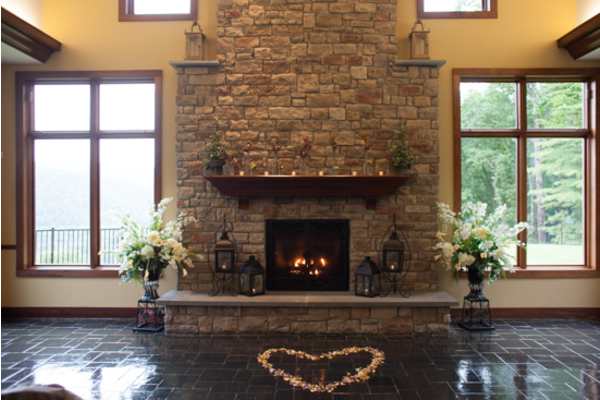 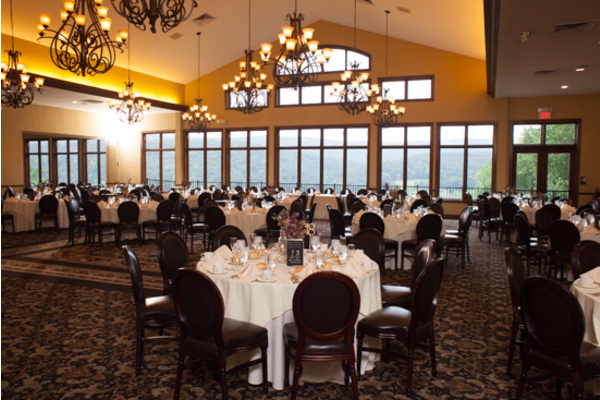 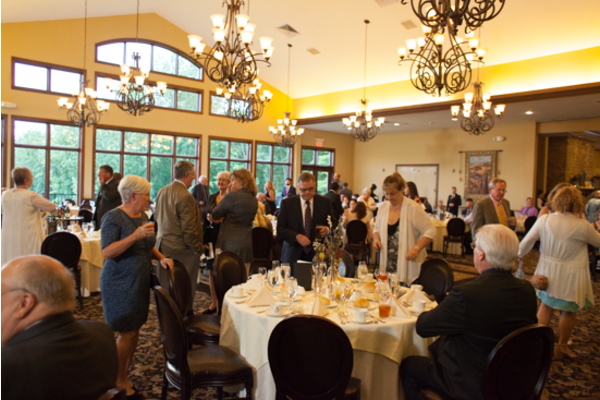 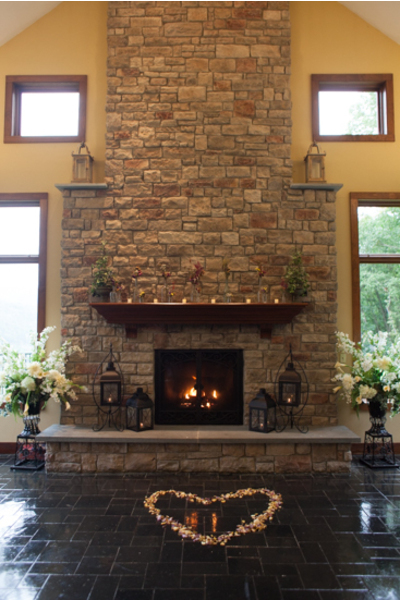 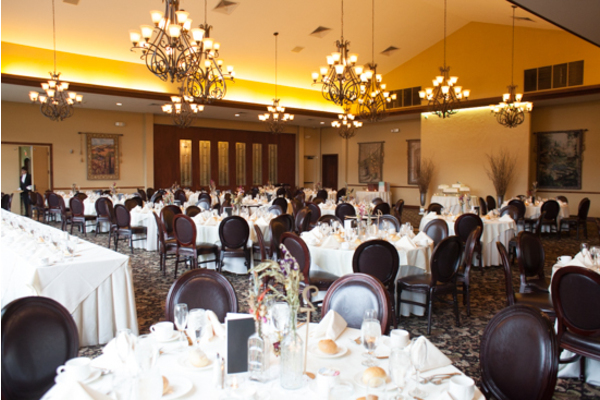 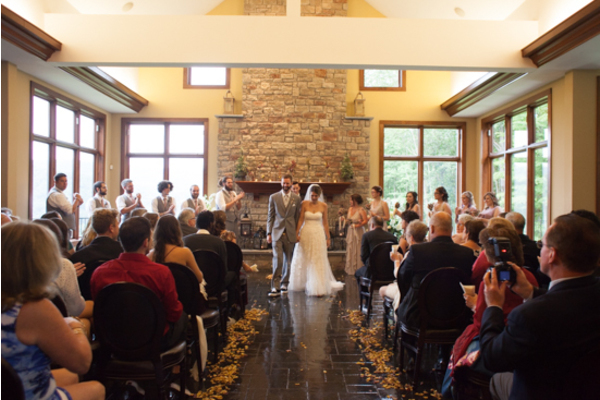 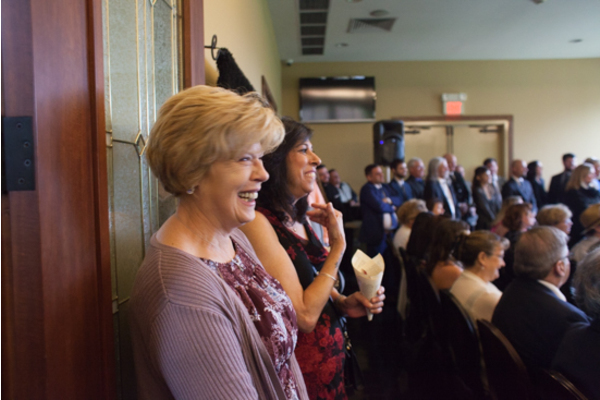 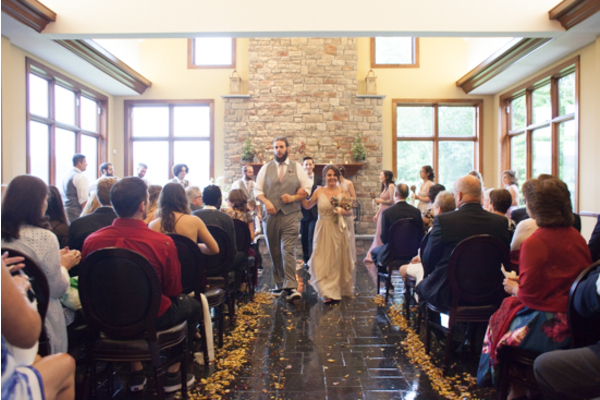 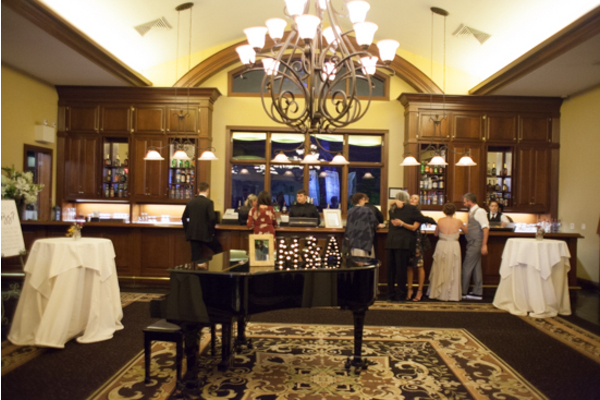 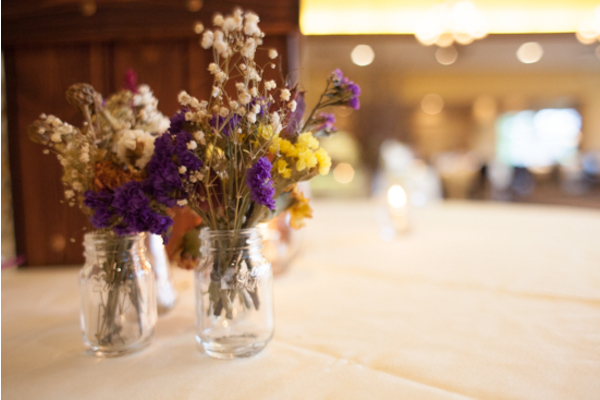 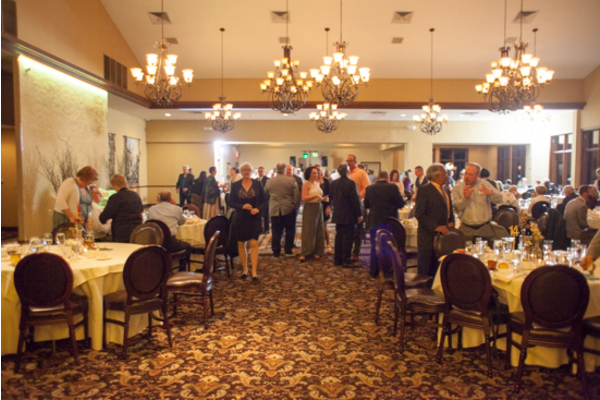 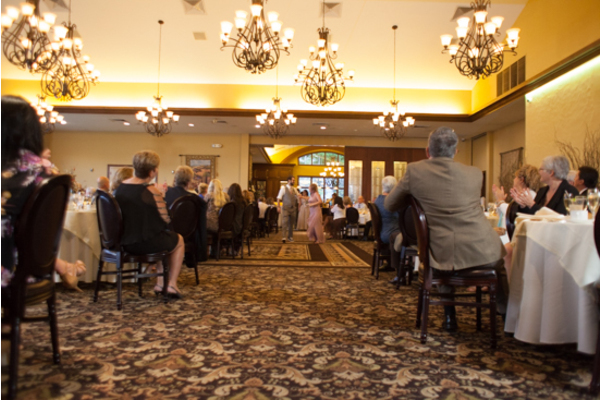 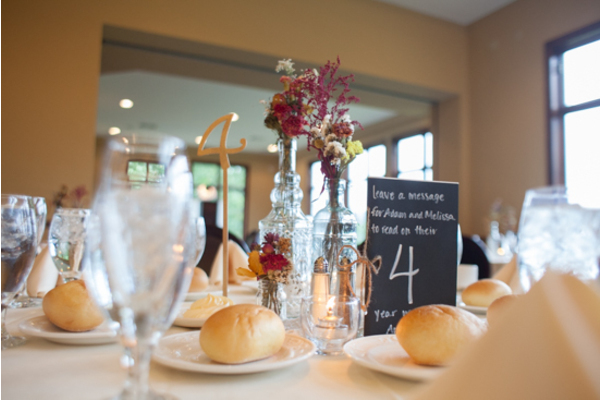 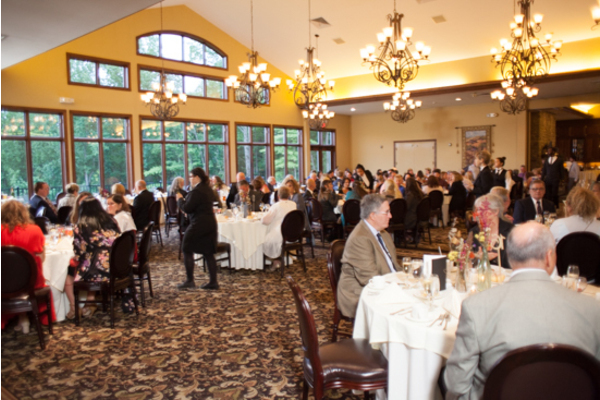 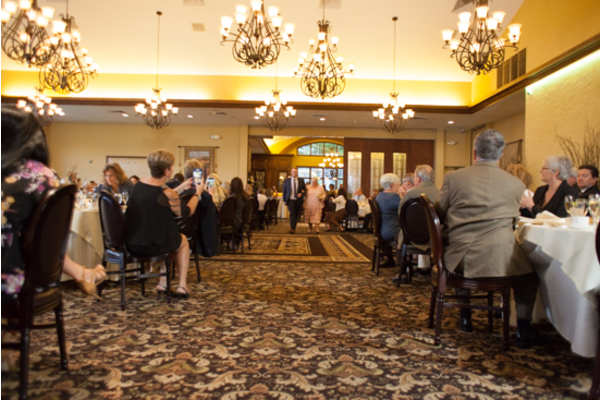 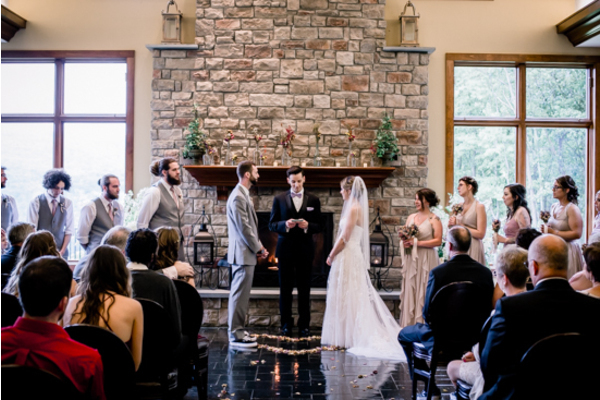 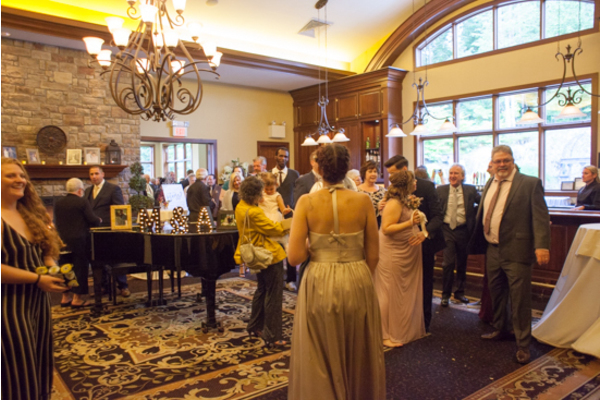 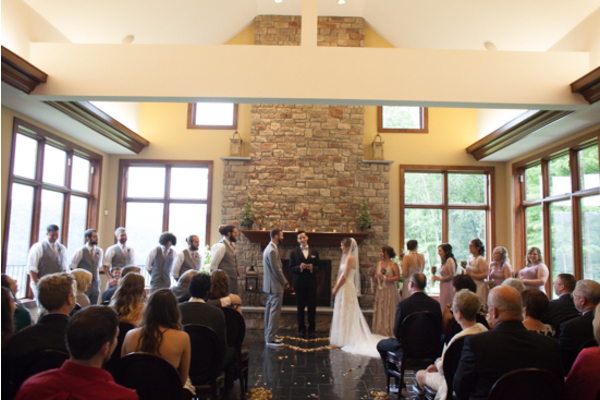 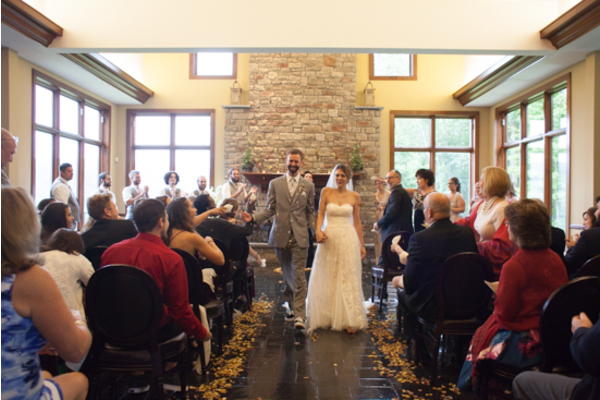 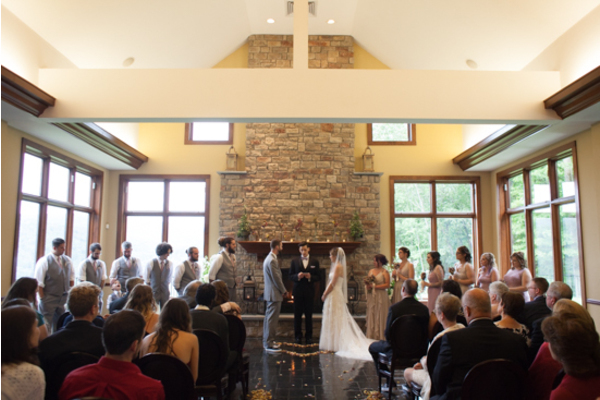 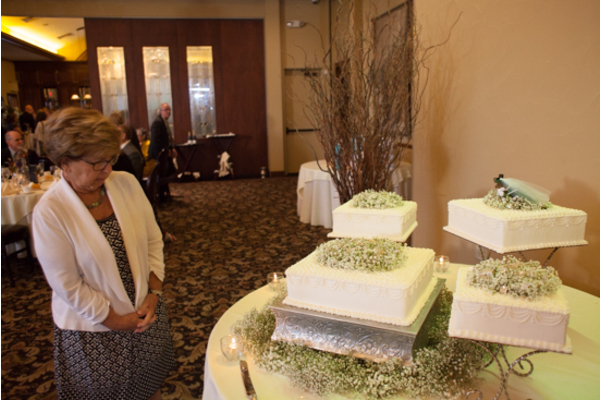 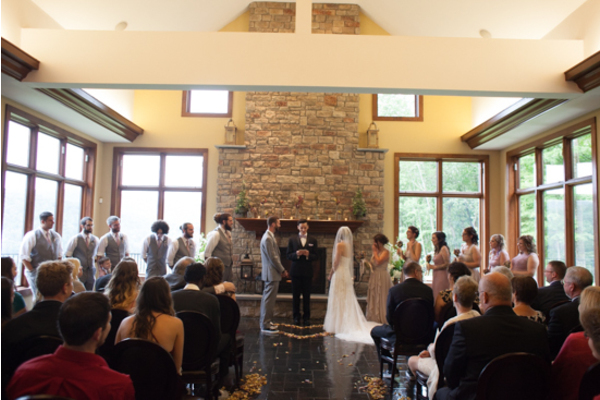 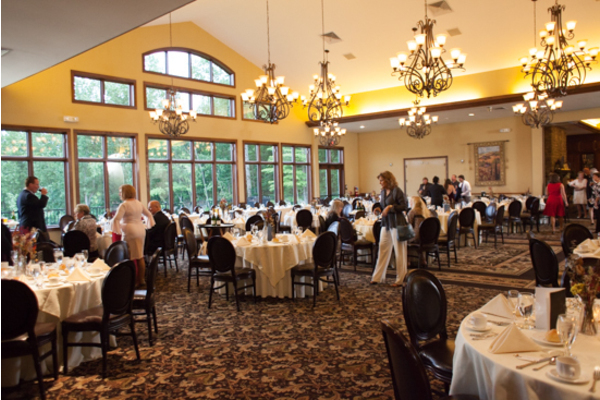 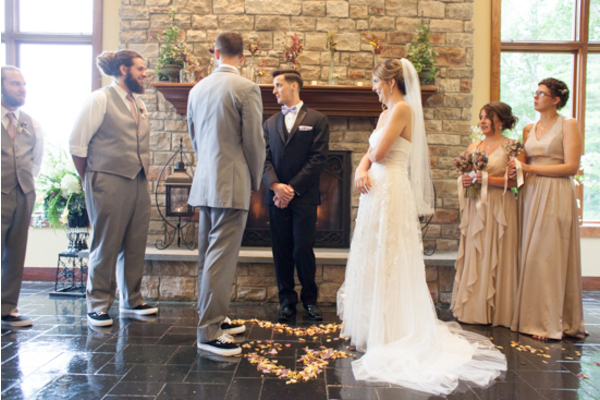 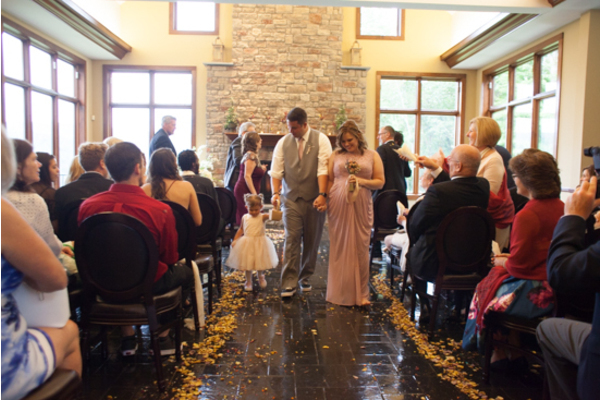 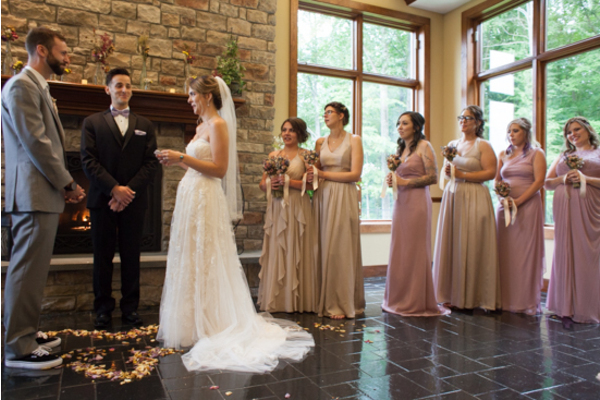 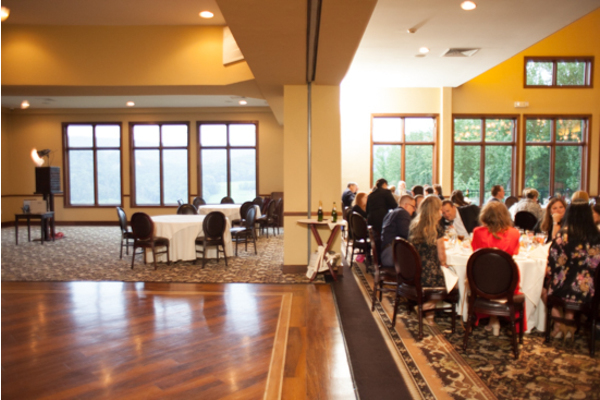 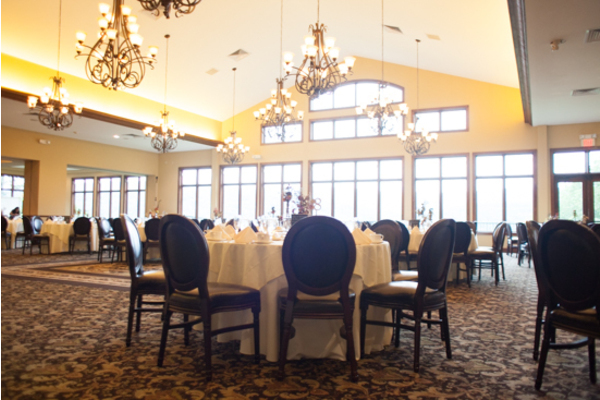 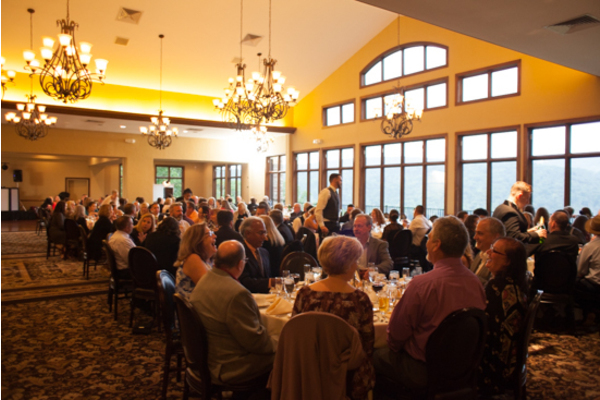 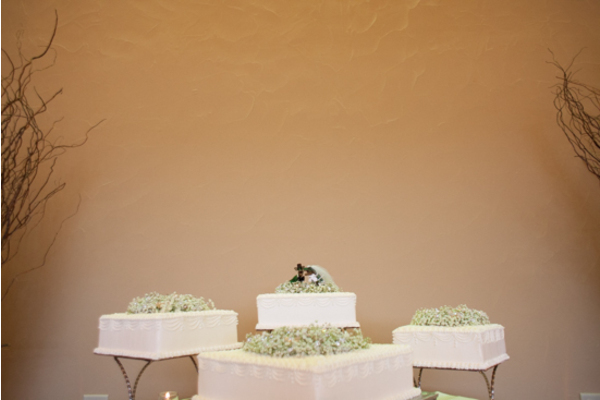 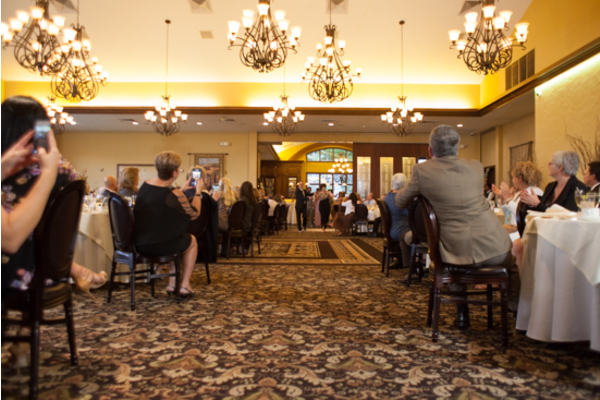 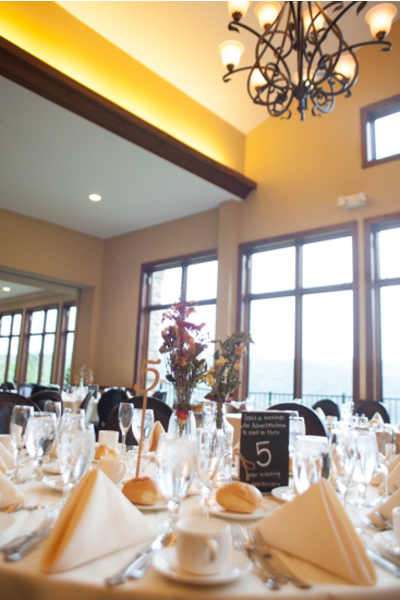 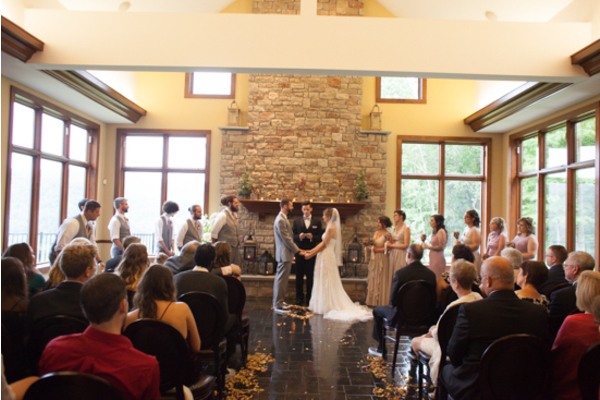 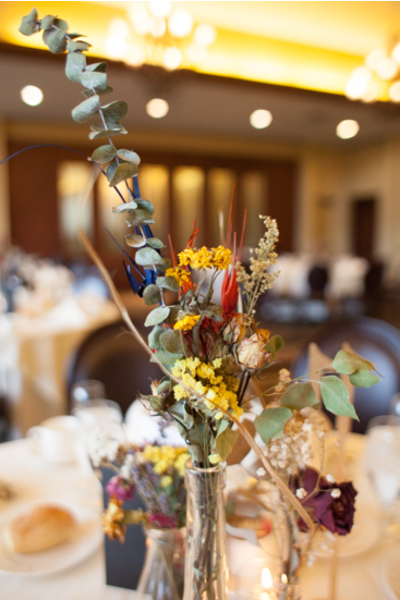 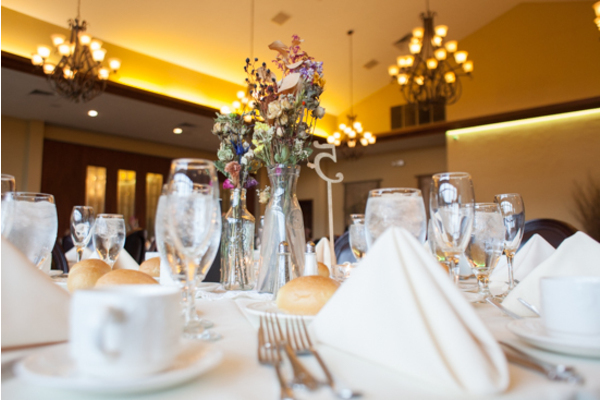 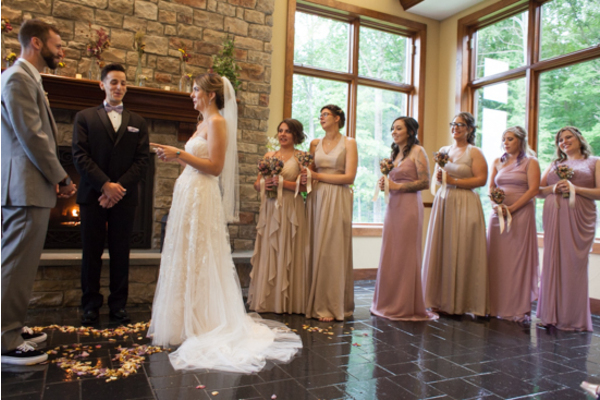 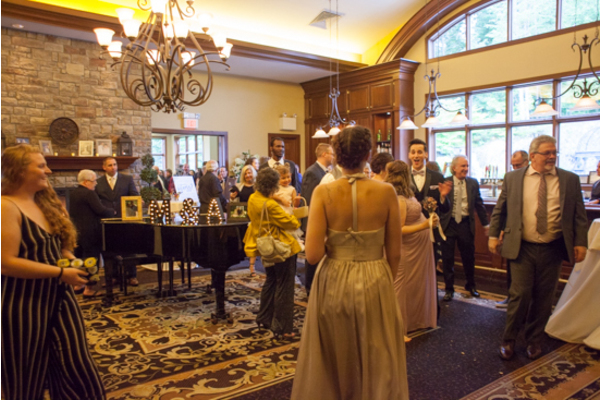 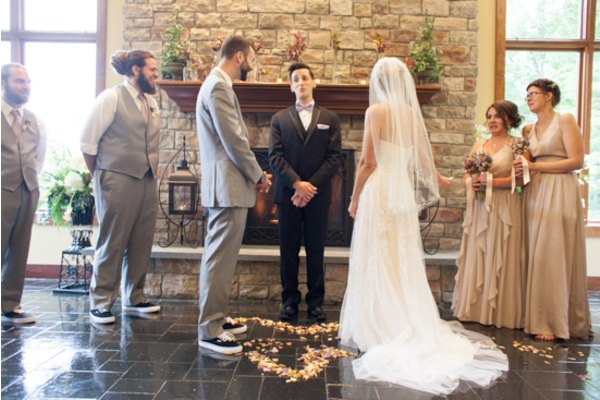 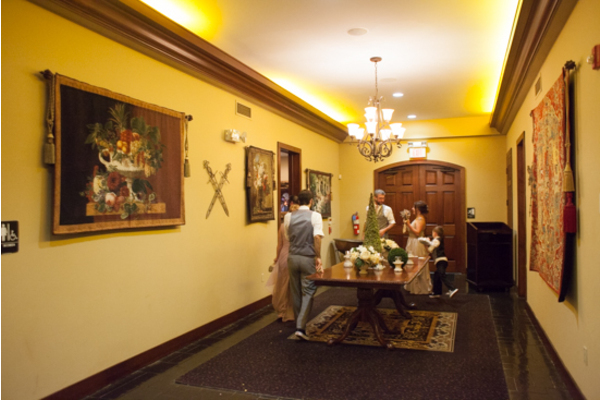 Guests gathered inside the spacious event room for the ceremony eagerly awaiting the bride and grooms entrance. 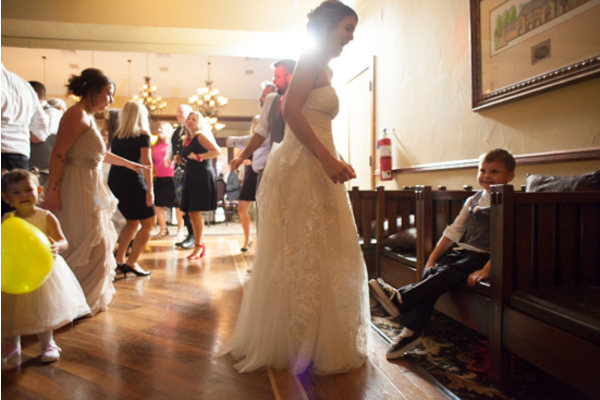 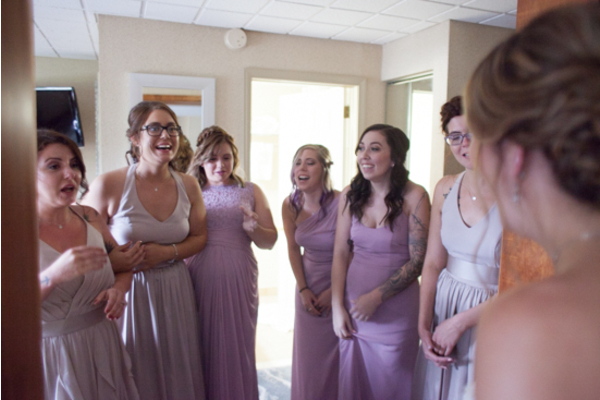 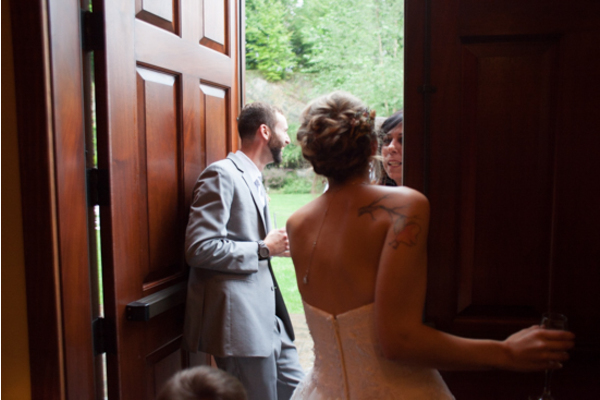 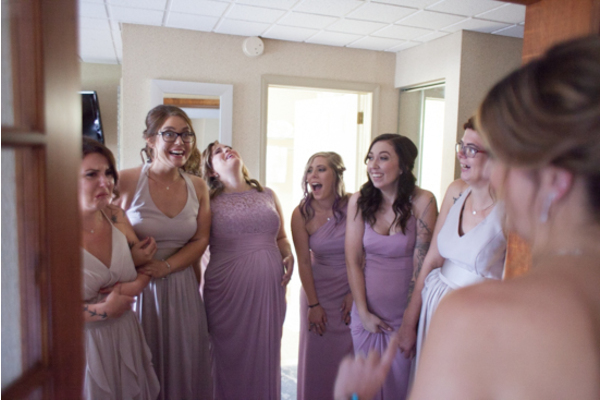 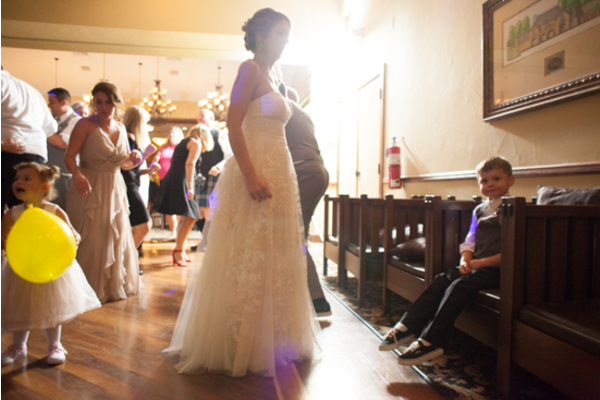 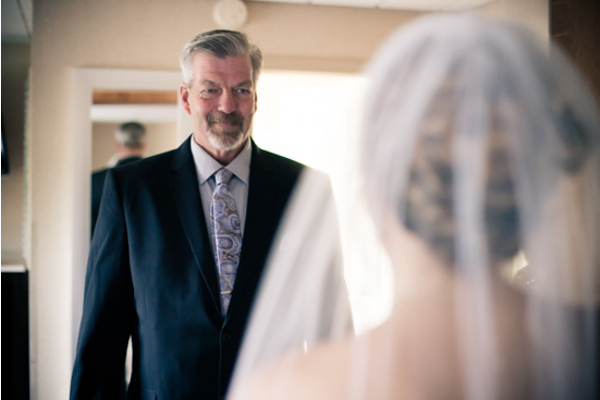 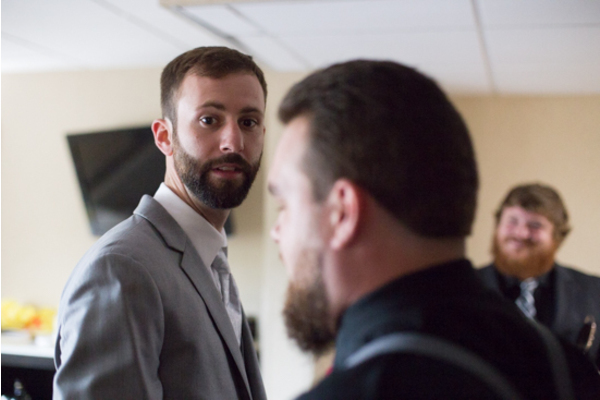 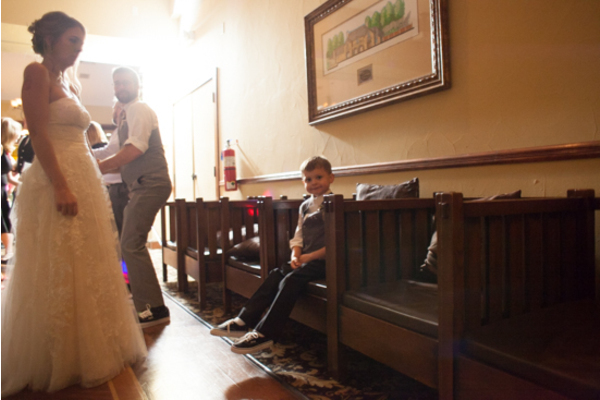 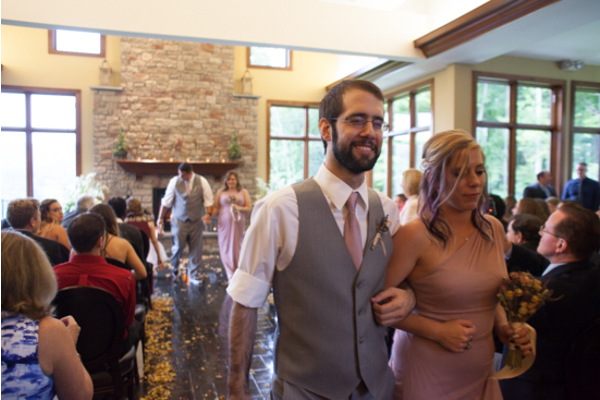 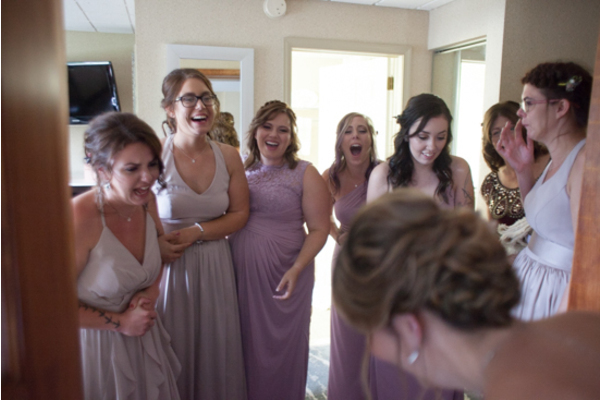 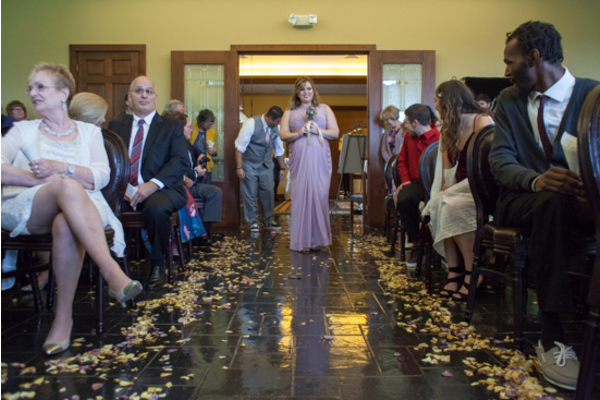 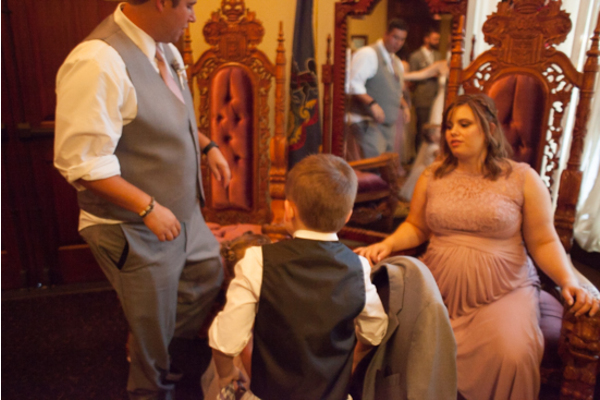 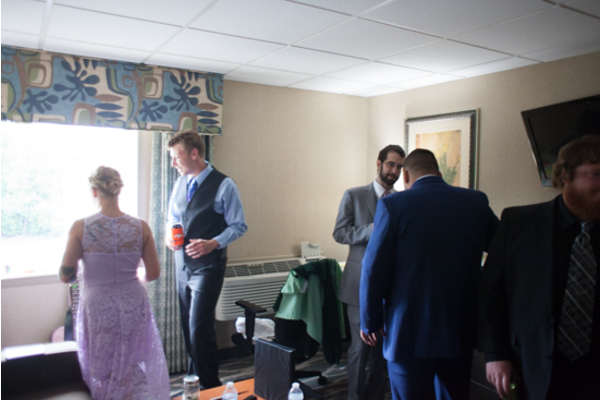 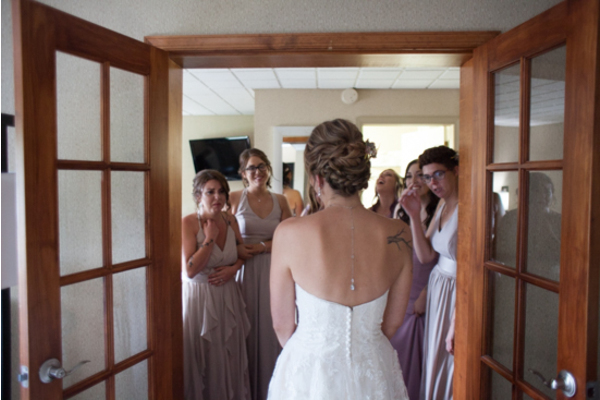 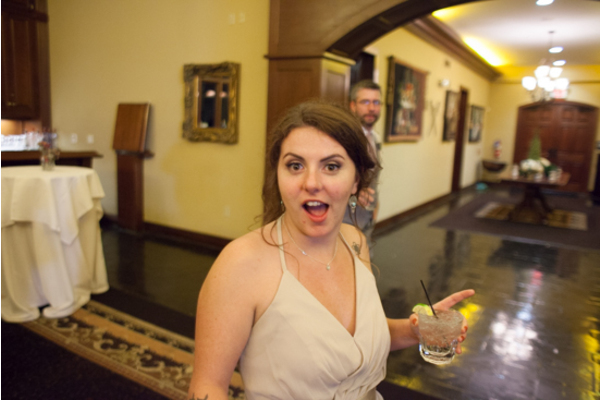 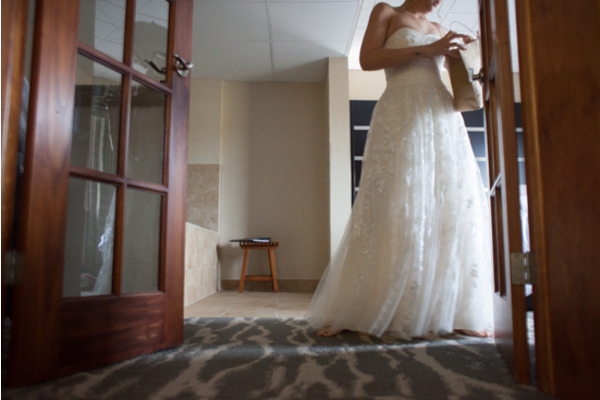 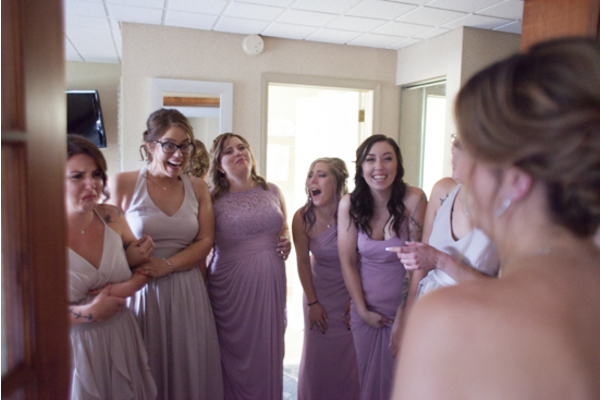 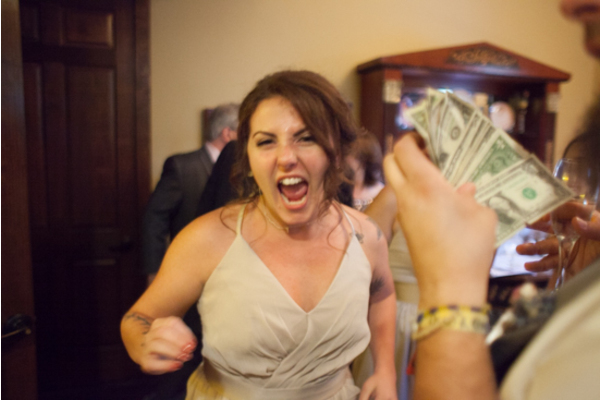 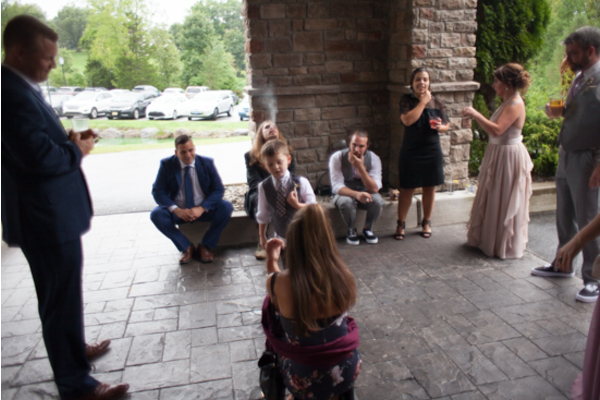 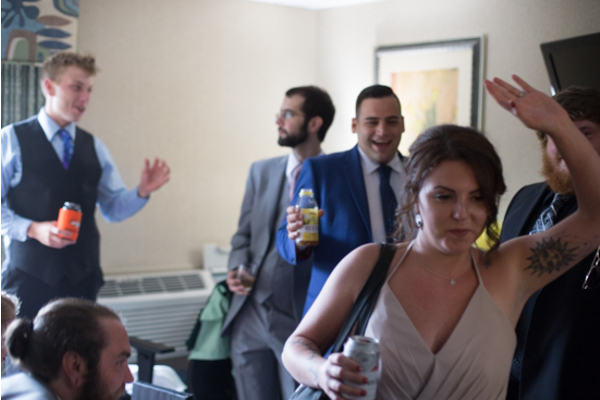 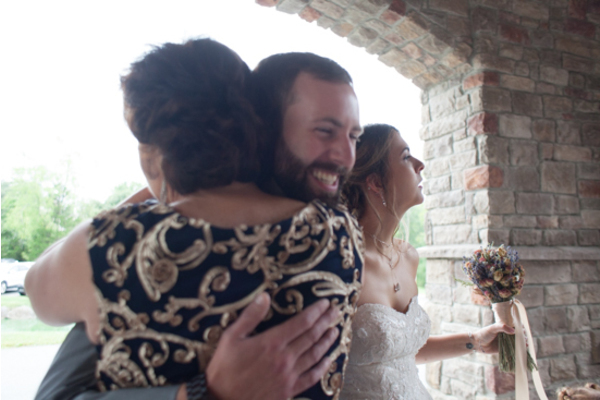 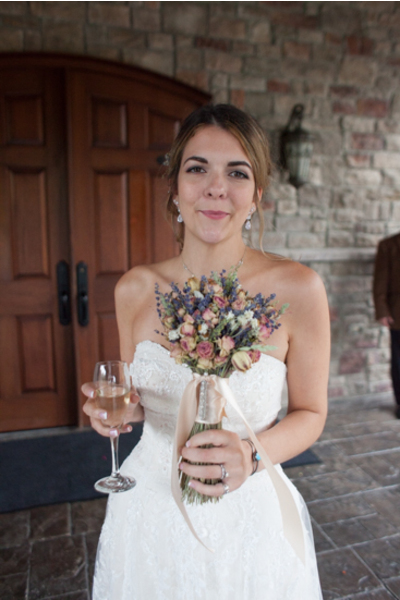 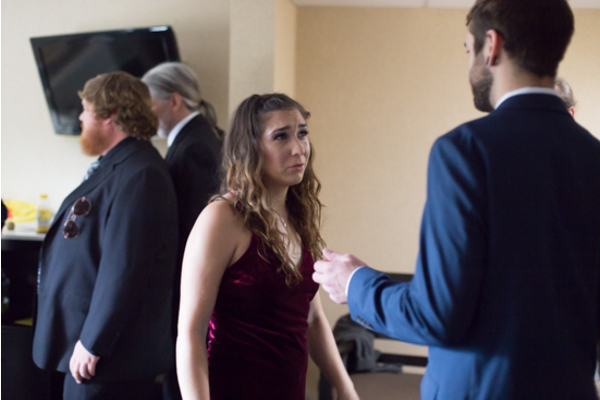 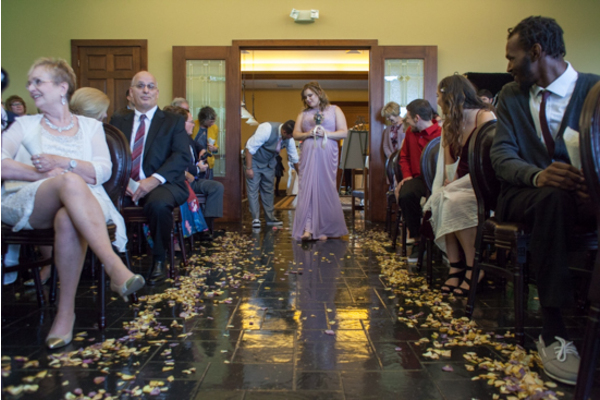 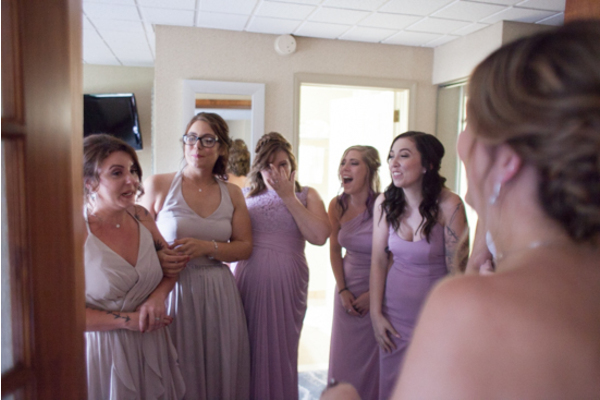 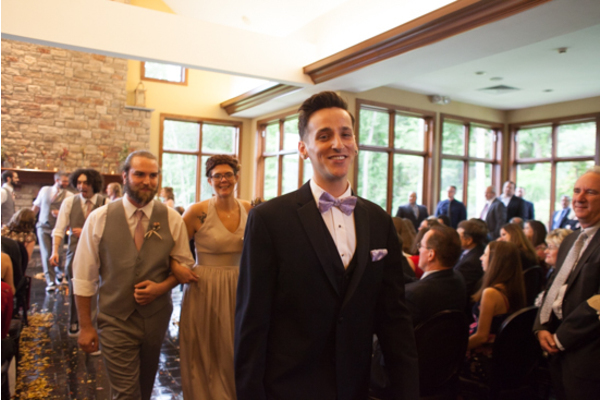 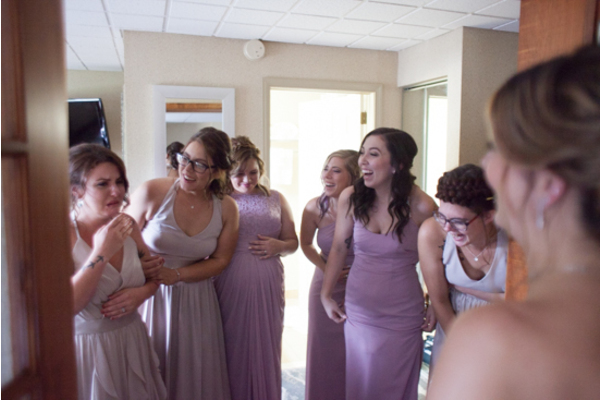 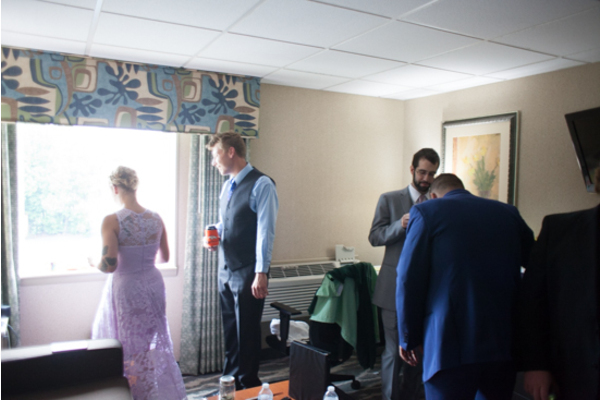 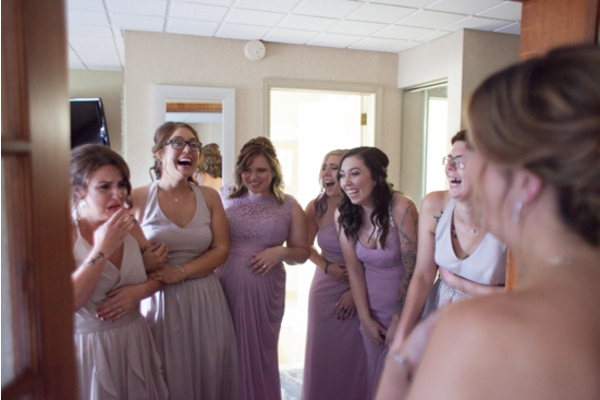 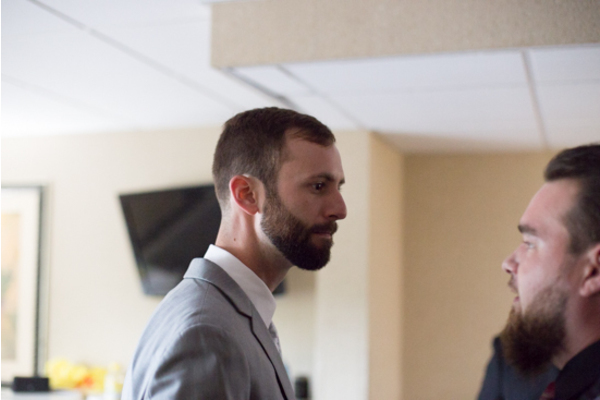 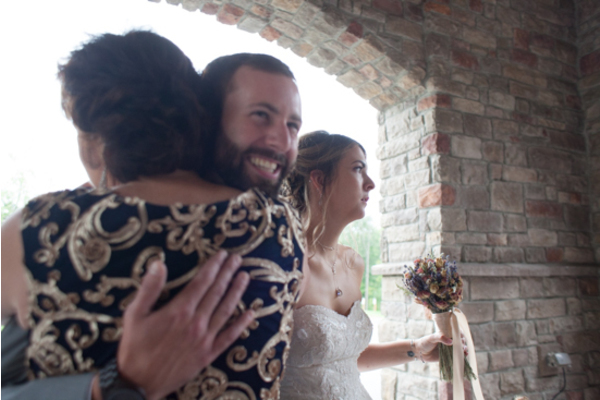 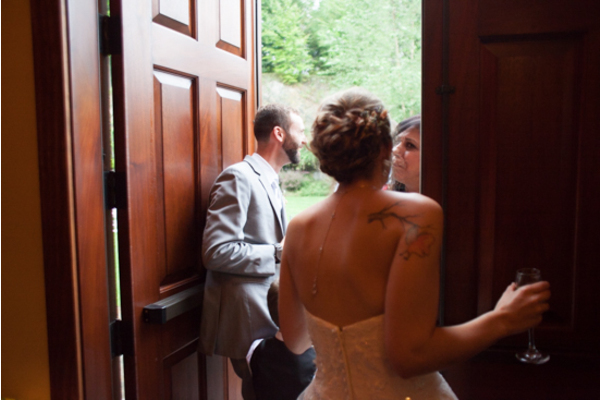 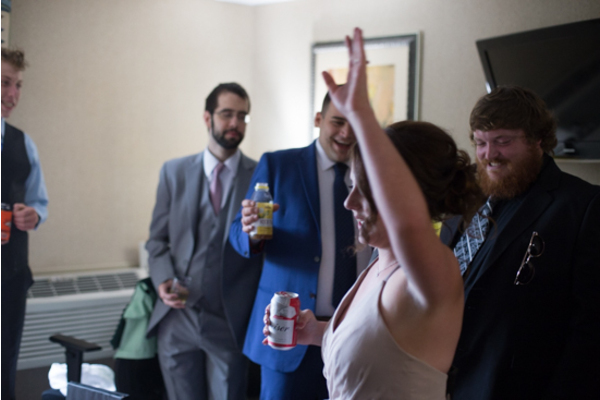 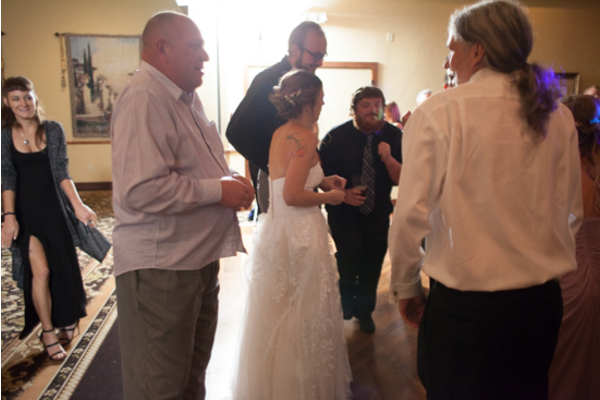 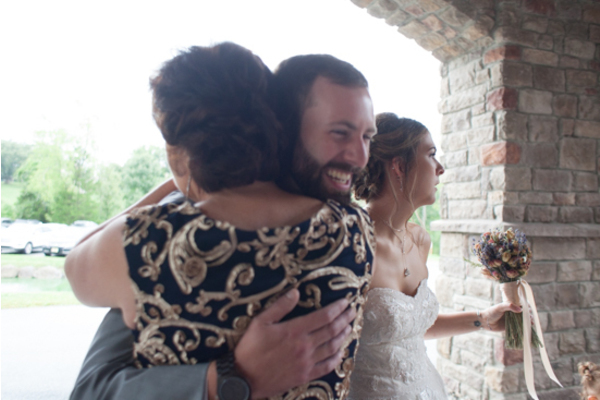 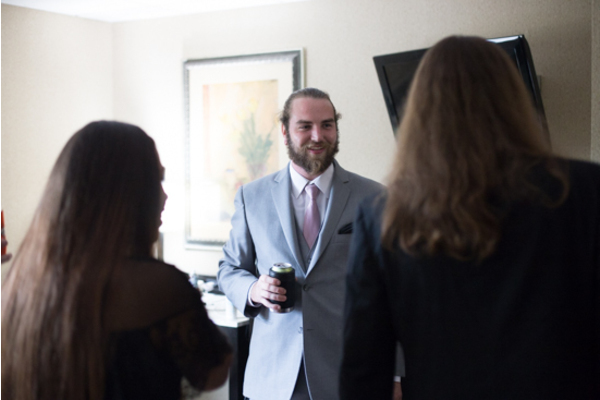 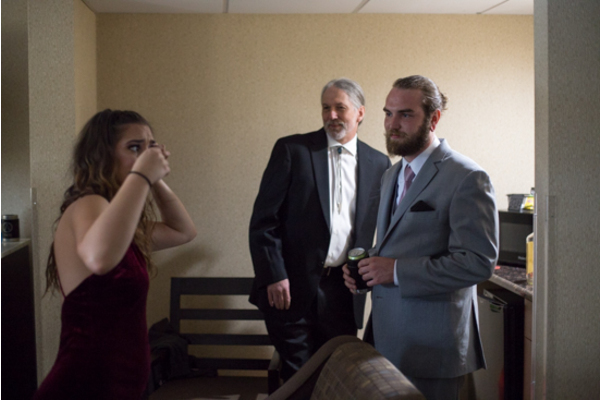 Once everyone was seated our PA Wedding Photographer captured Adams first look of joy at this bride as she made her way down the aisle. 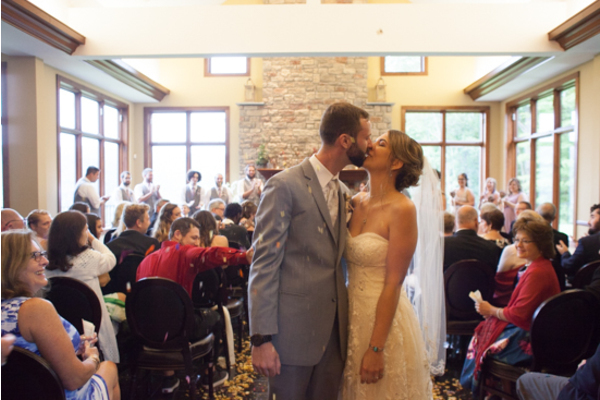 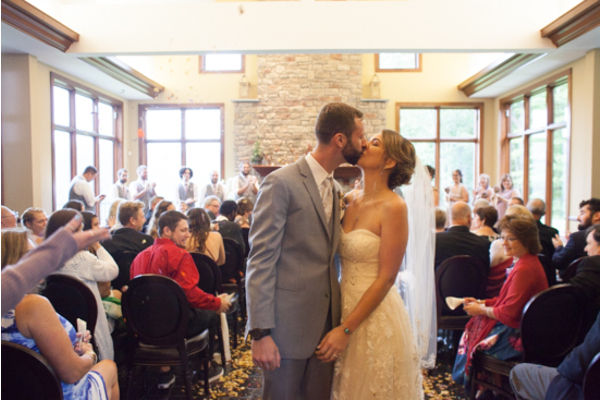 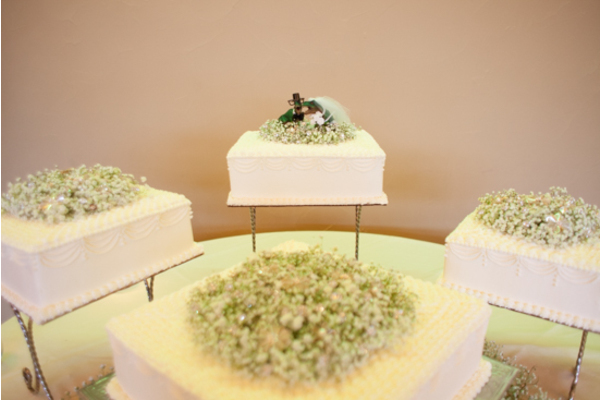 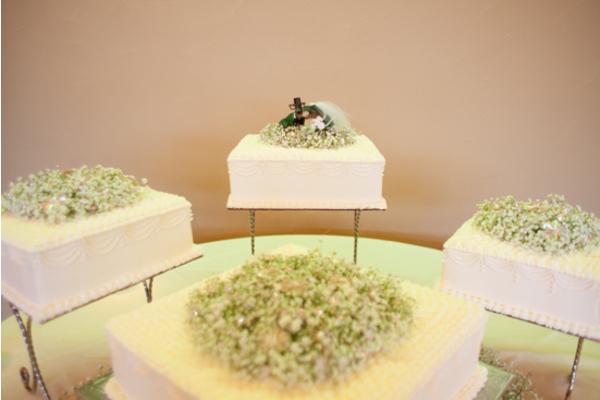 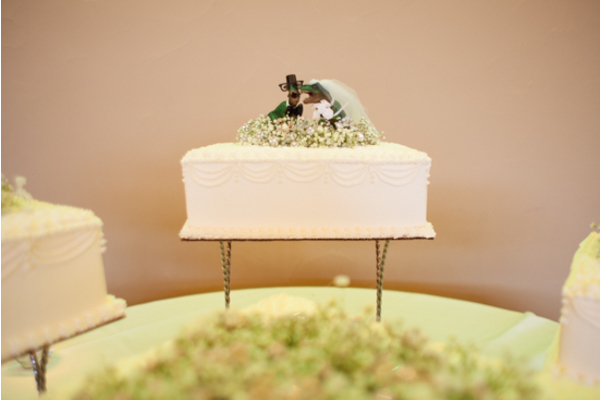 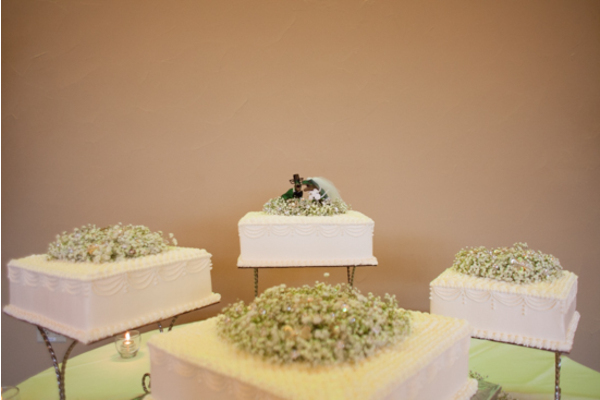 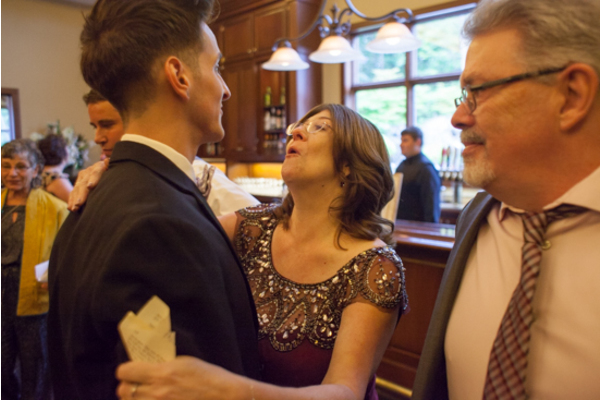 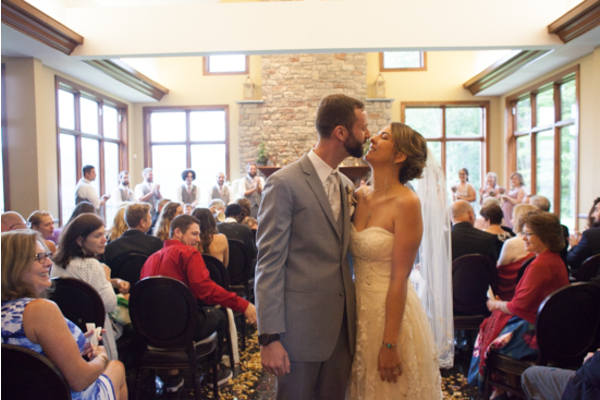 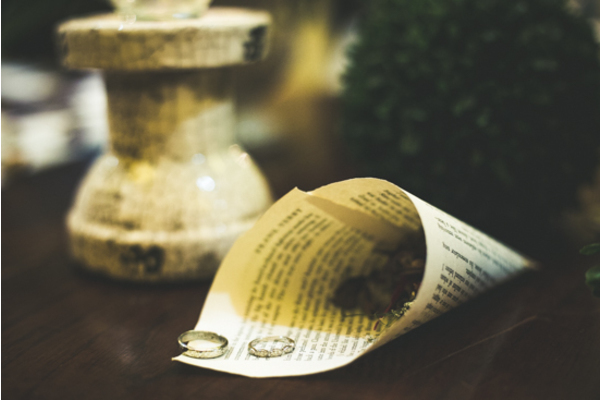 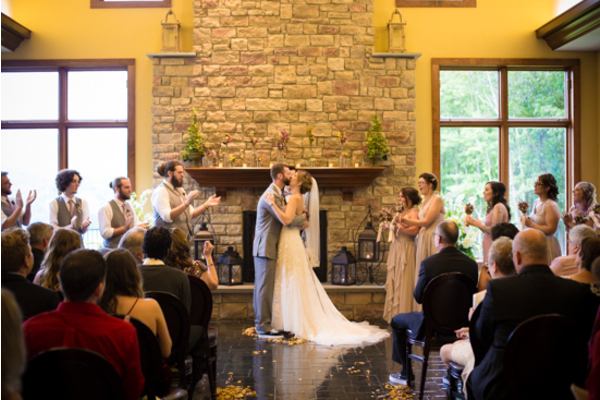 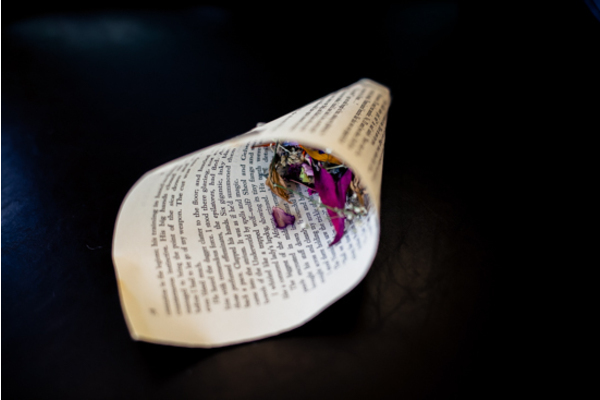 The happy couple said their vows and sealed their love with a kiss! 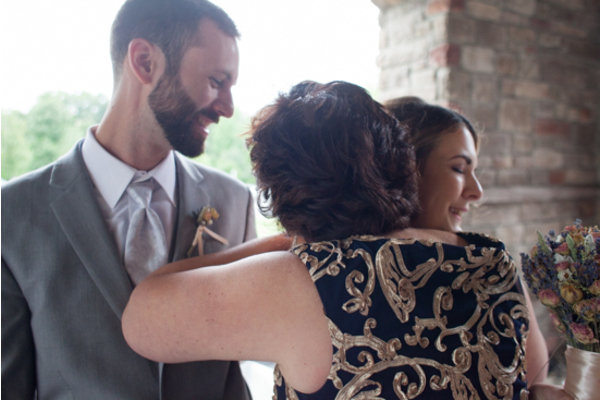 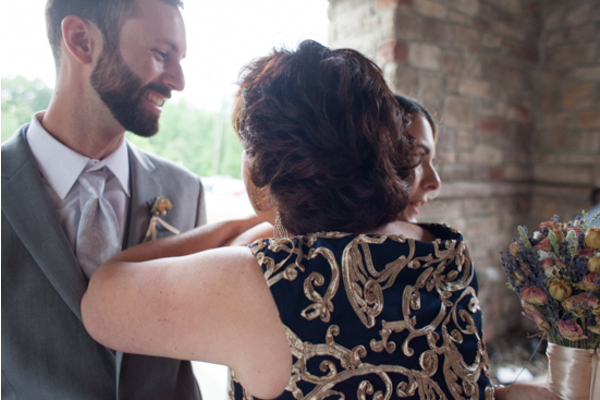 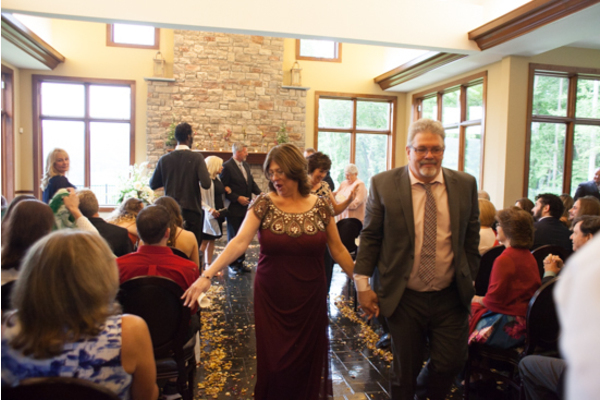 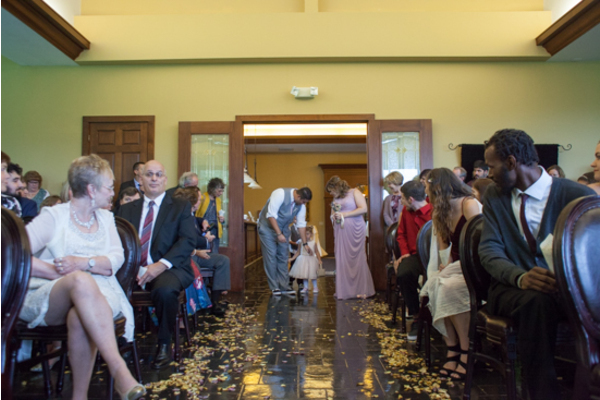 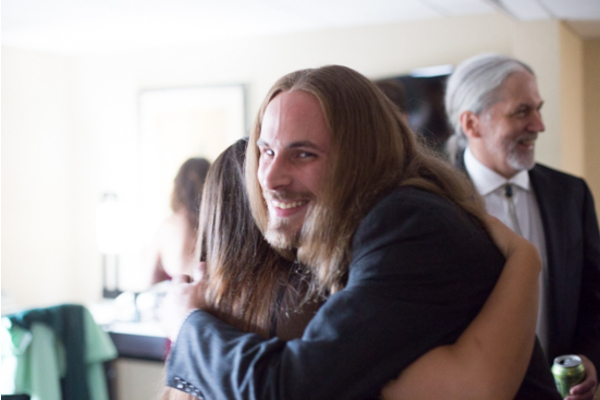 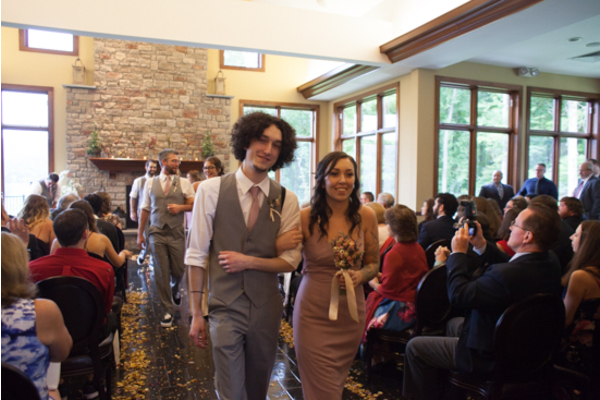 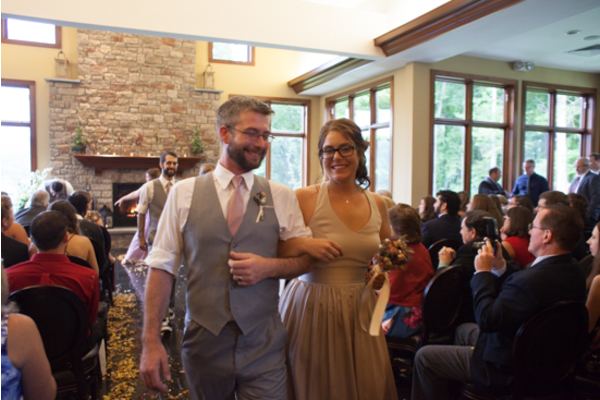 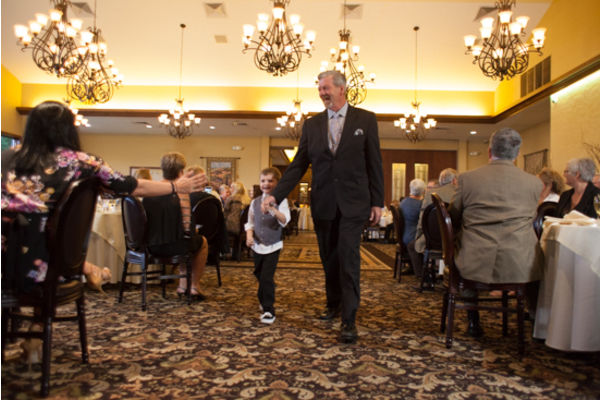 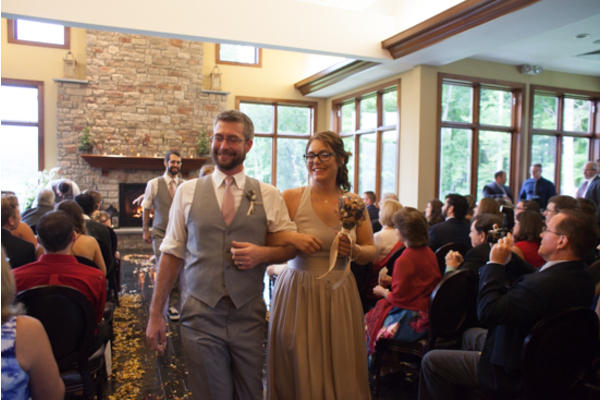 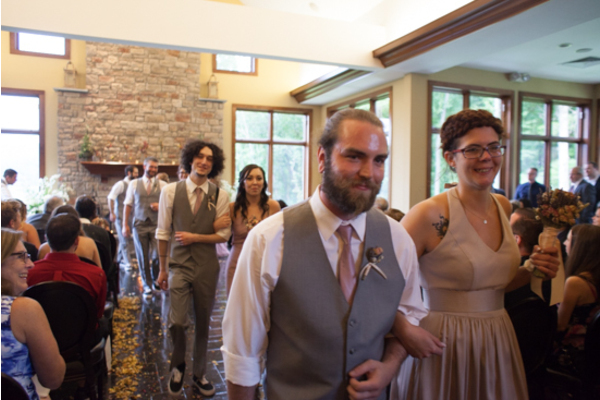 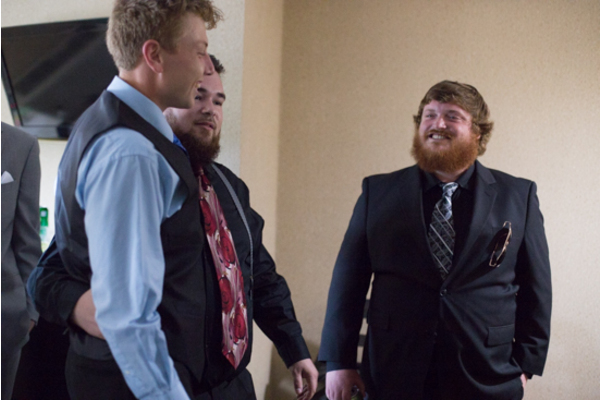 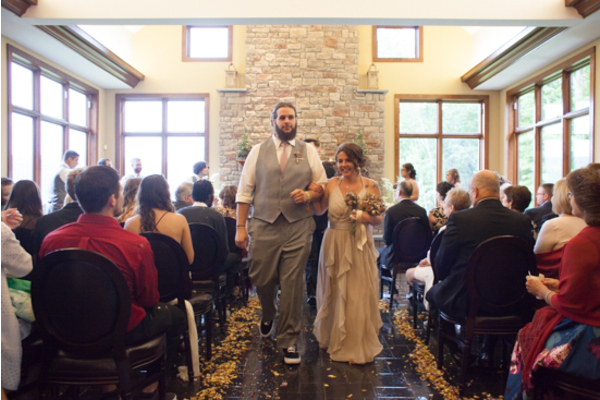 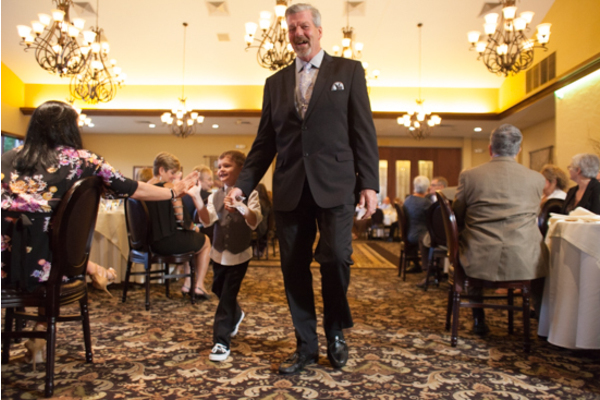 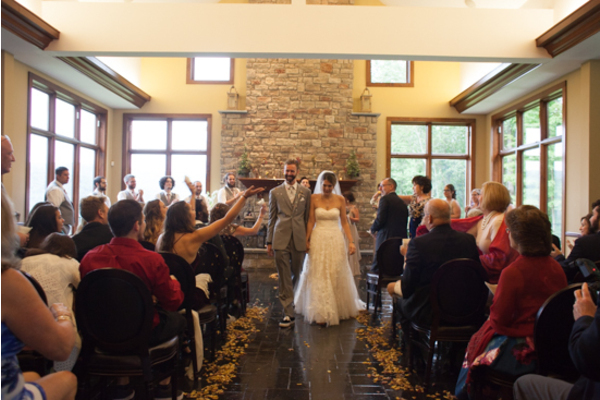 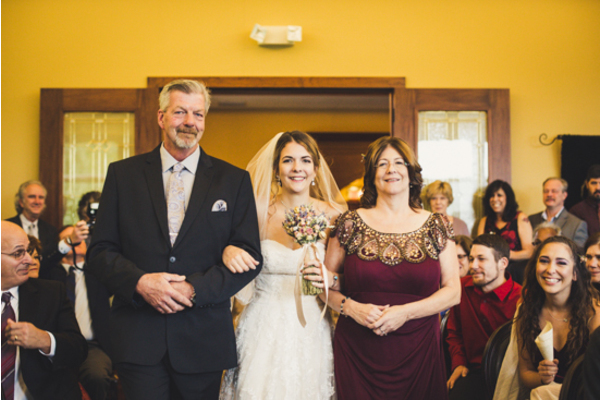 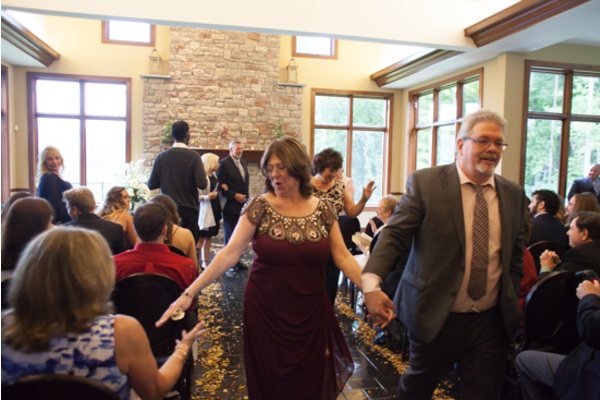 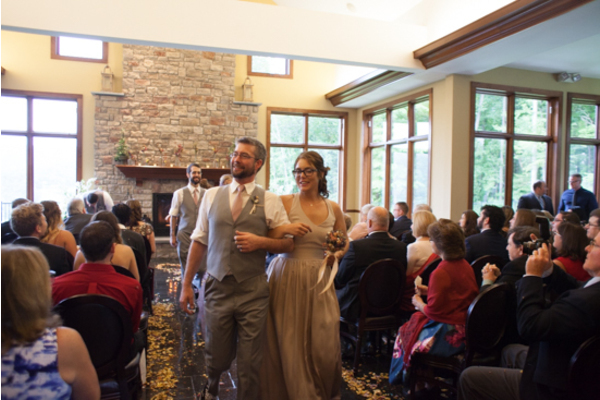 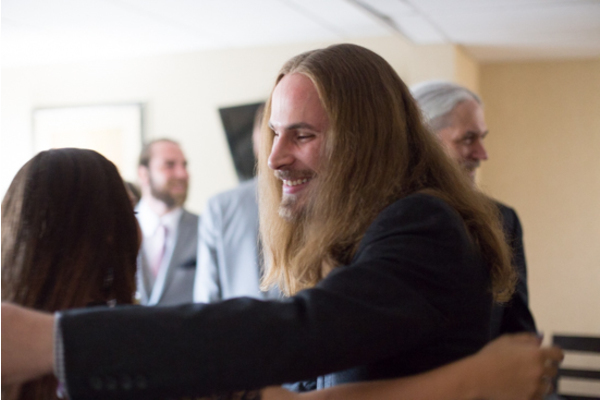 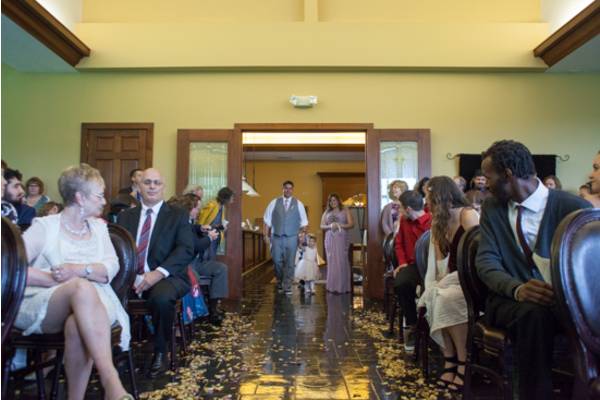 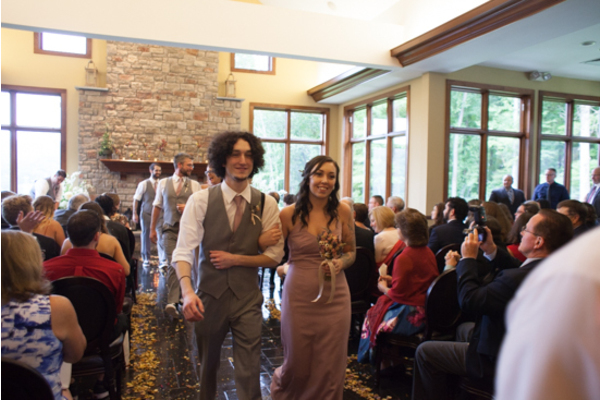 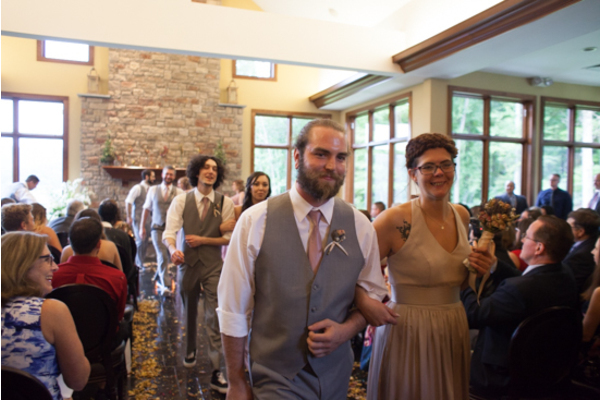 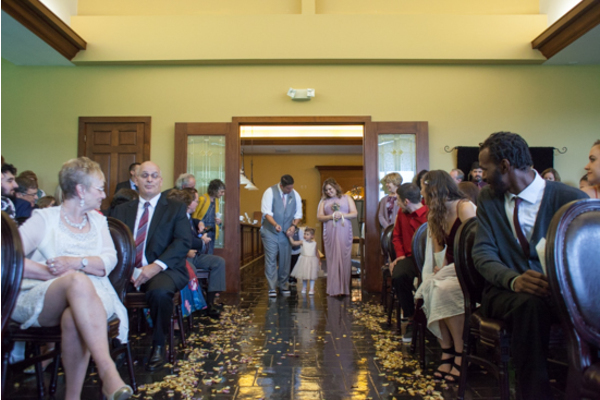 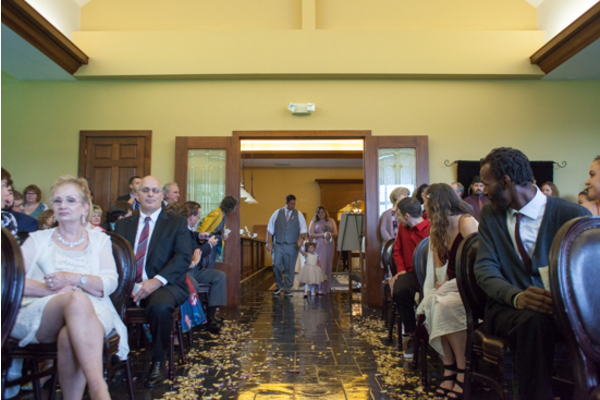 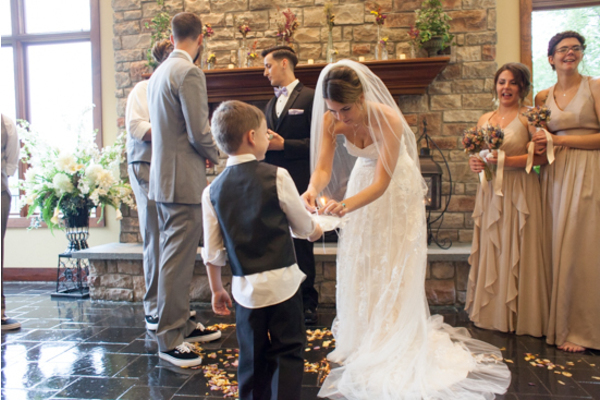 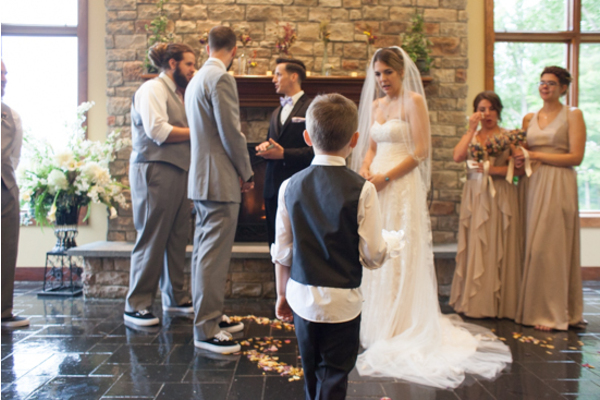 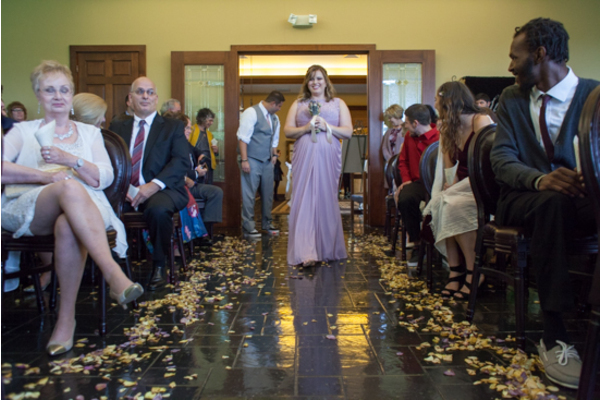 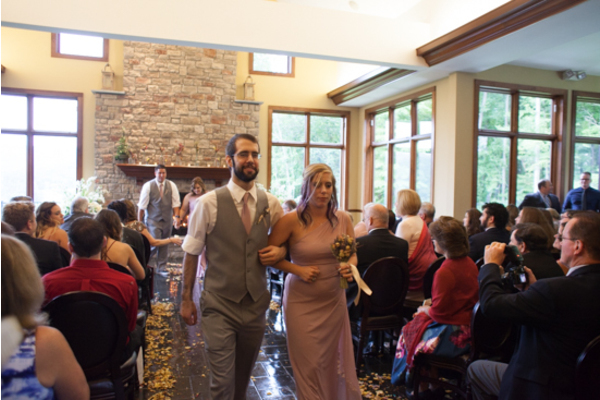 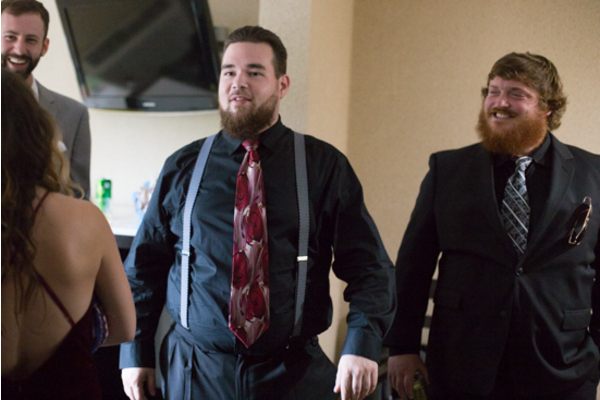 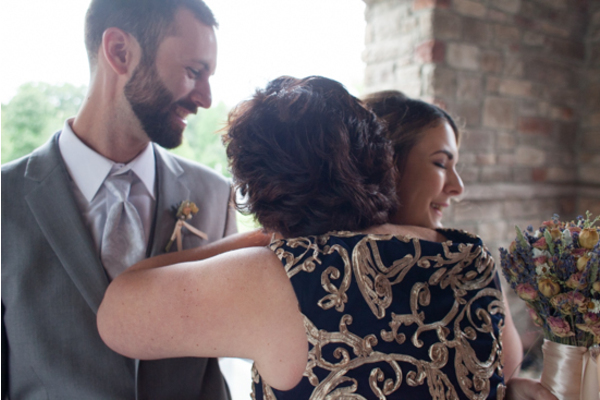 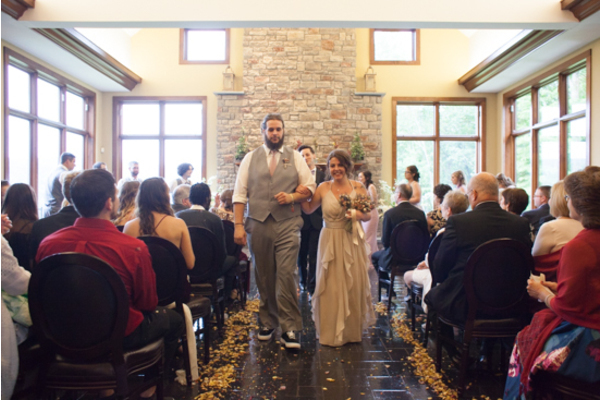 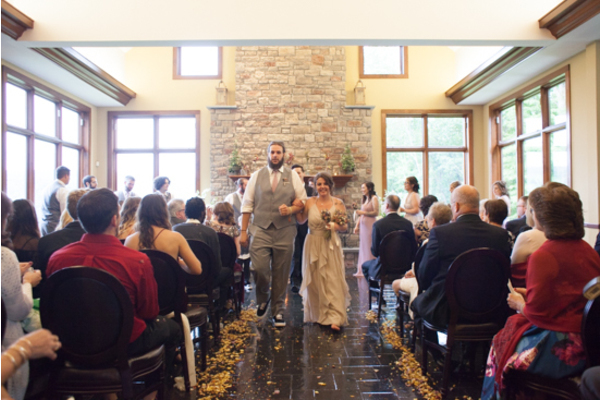 Guests were overcome with joy as the newlyweds made their way down the aisle hand in hand. 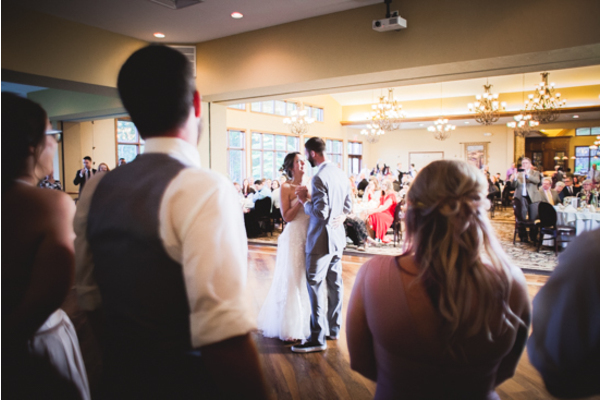 At the reception Melissa and Adam shared their first dance, and received heartwarming speeches from their loved ones. 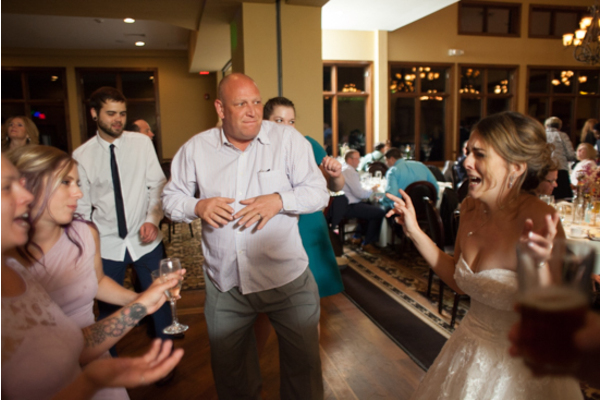 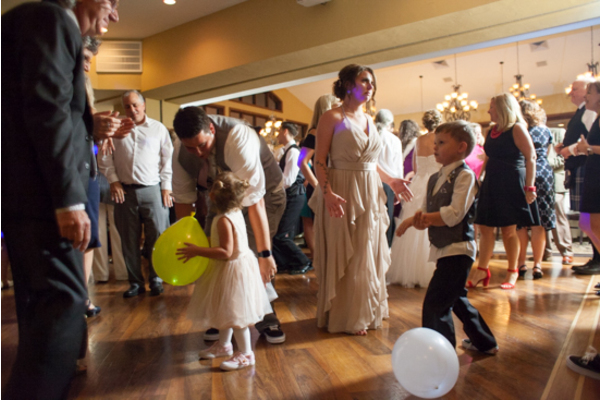 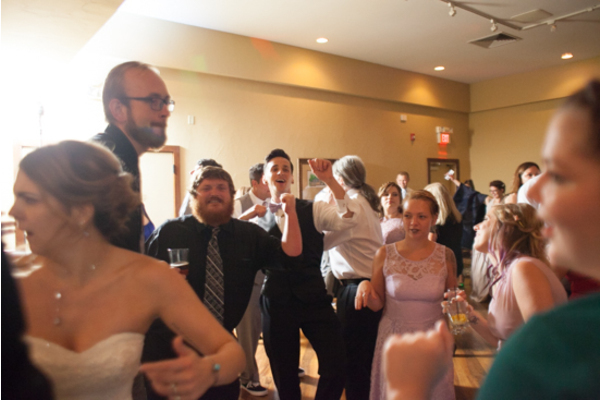 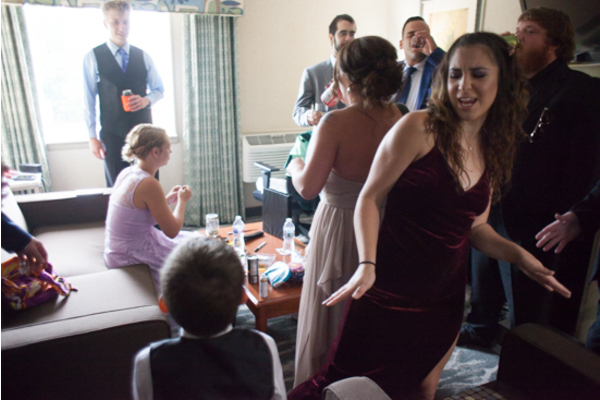 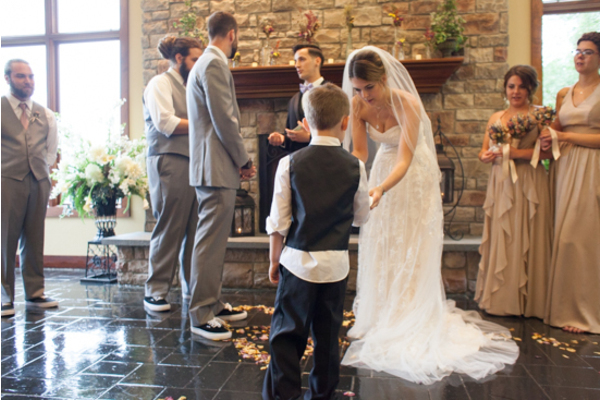 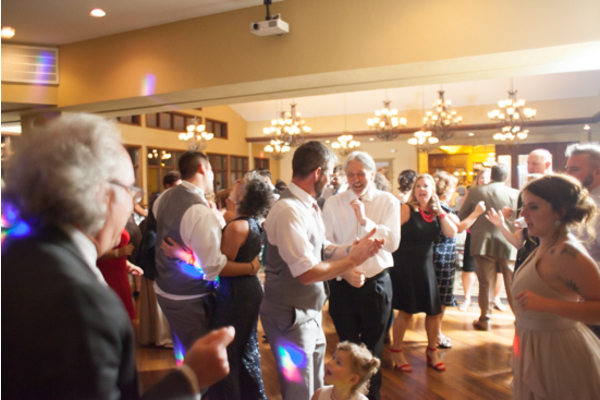 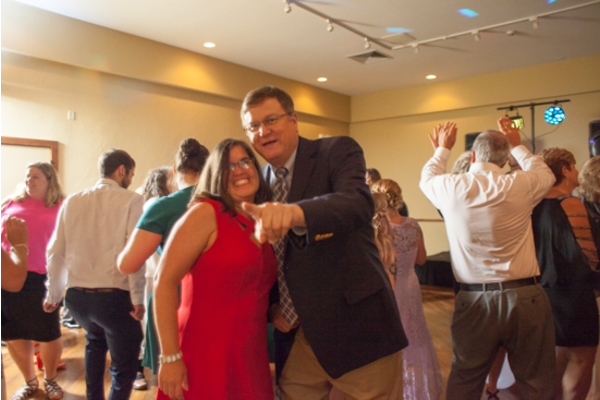 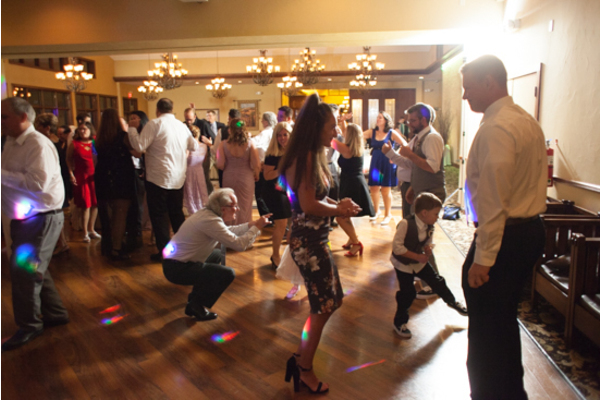 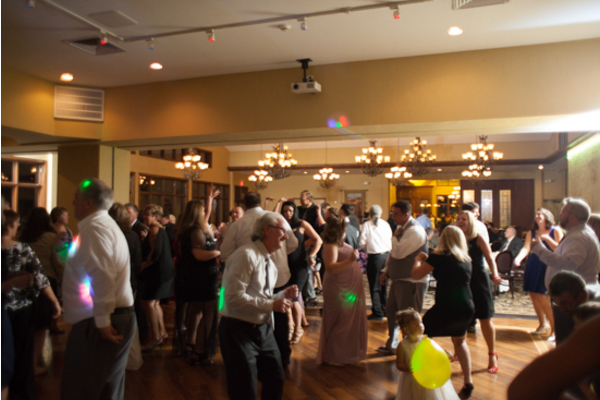 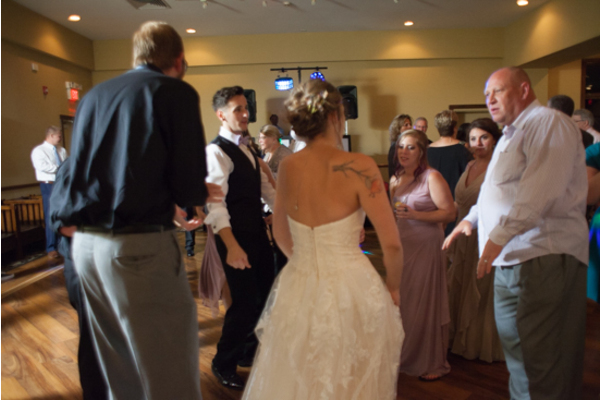 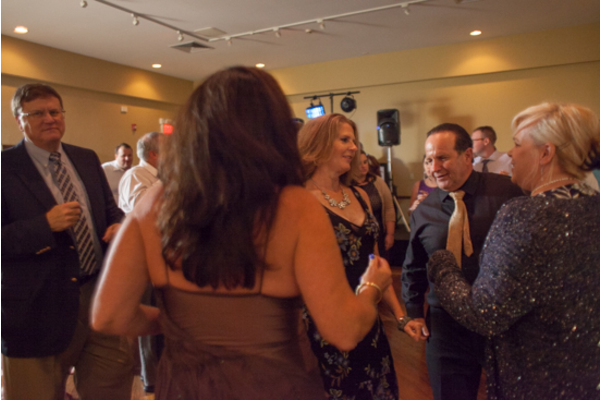 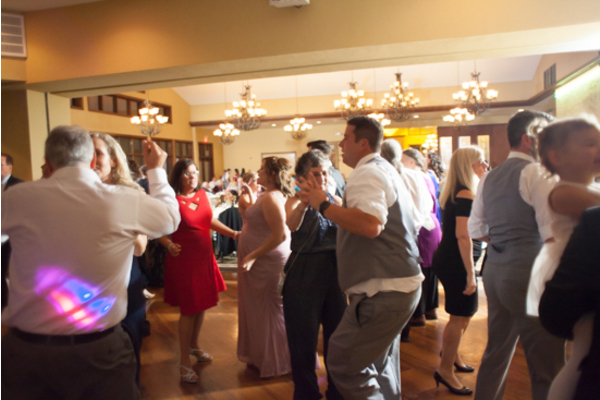 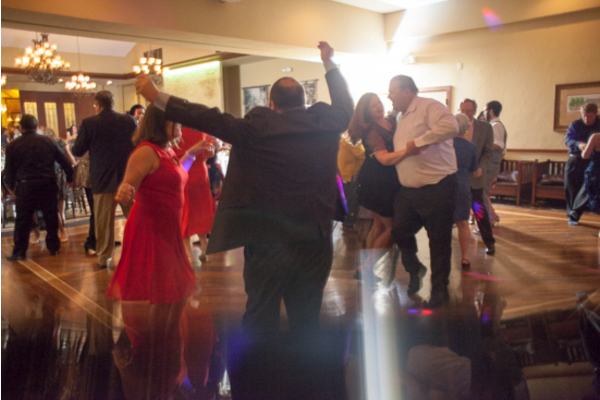 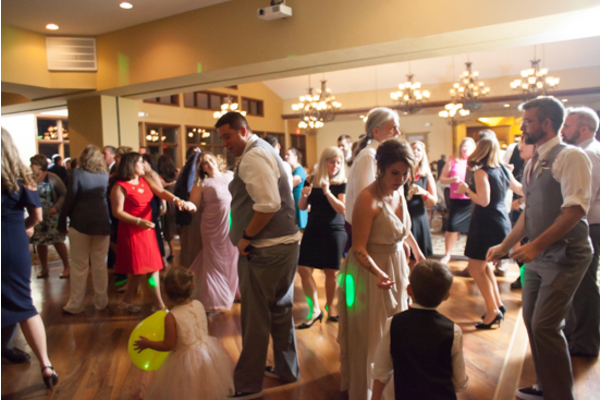 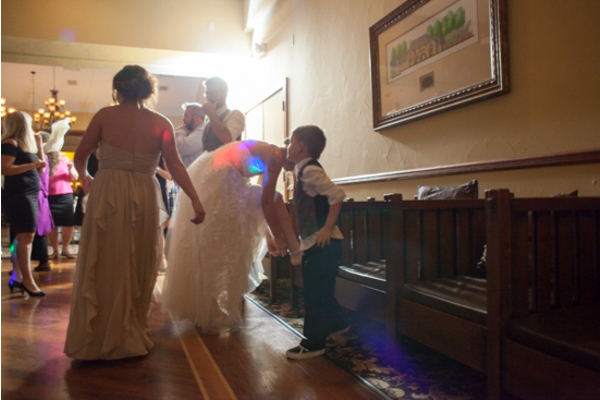 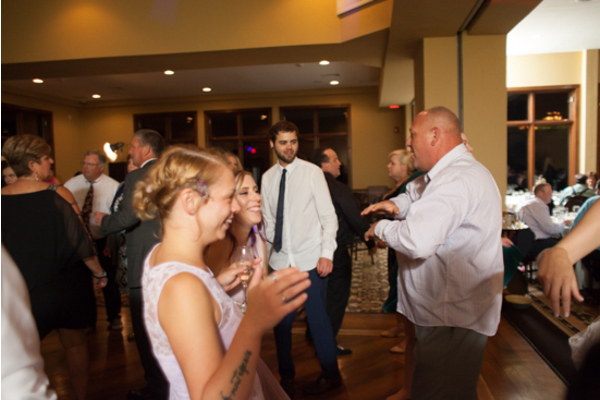 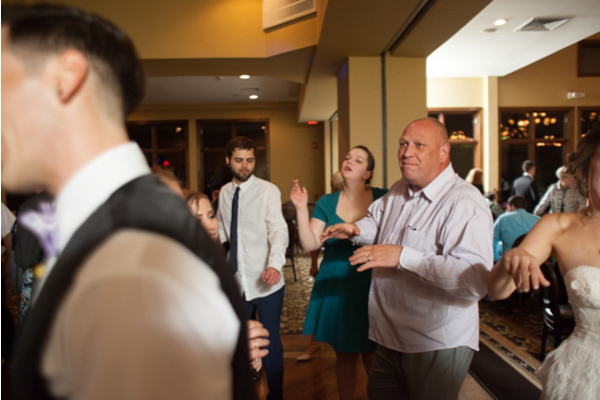 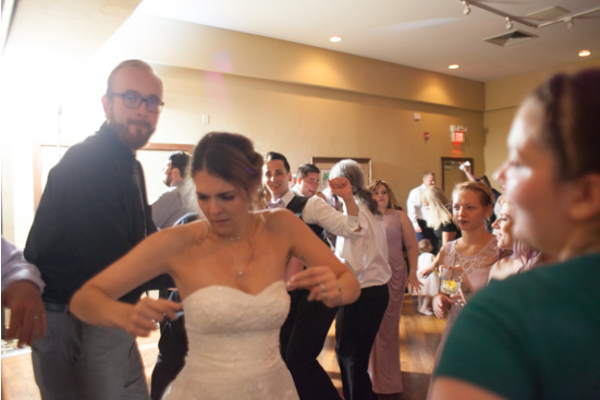 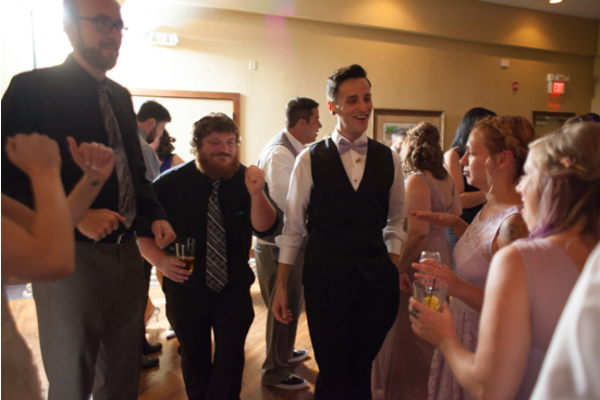 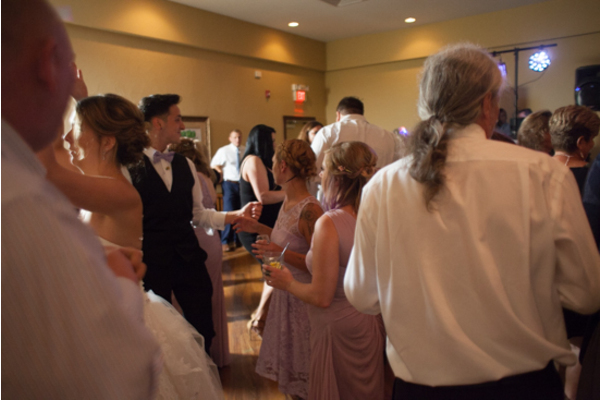 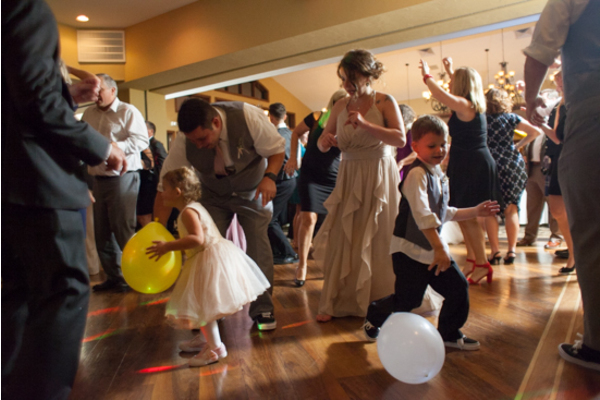 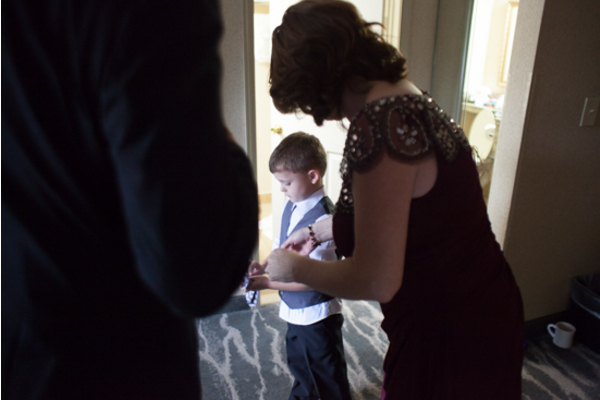 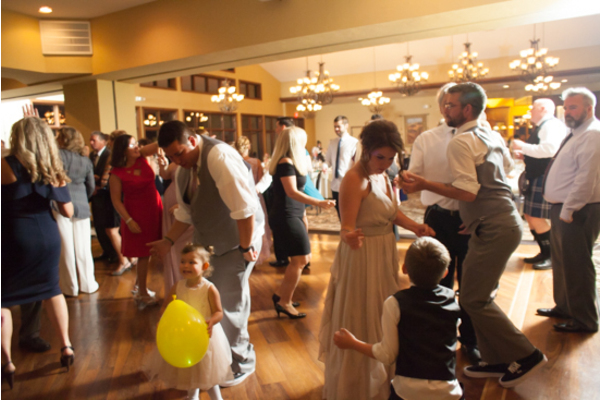 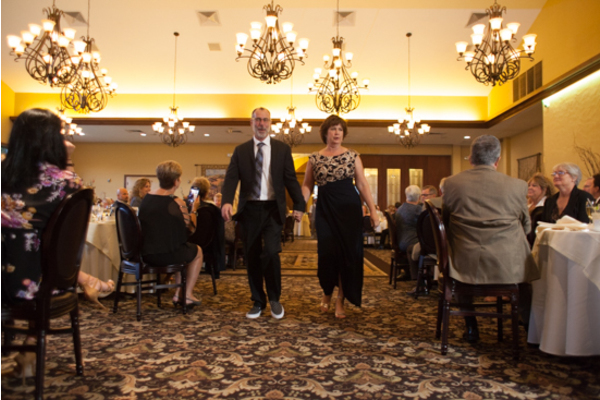 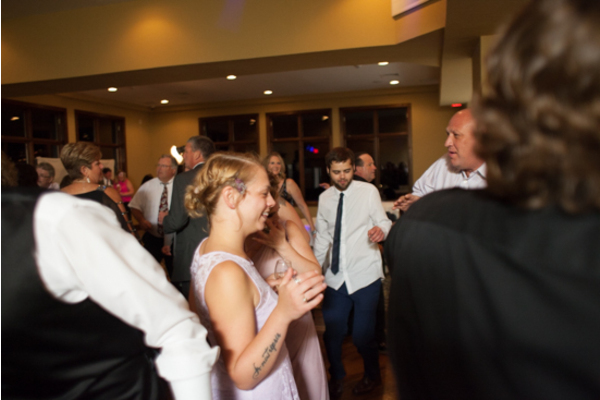 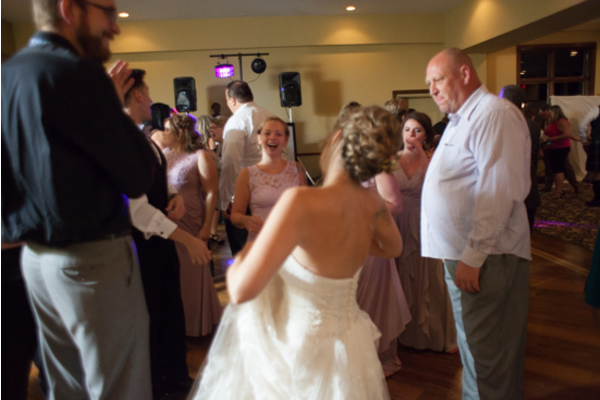 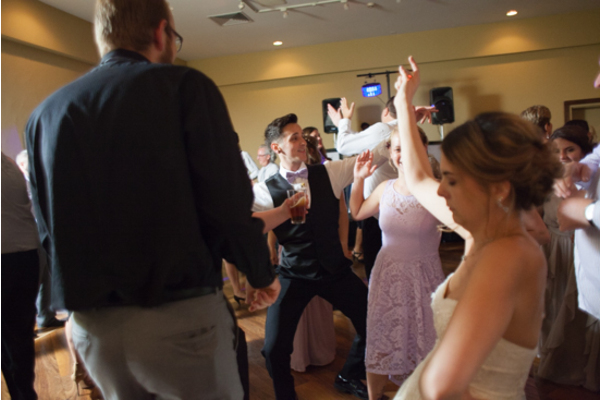 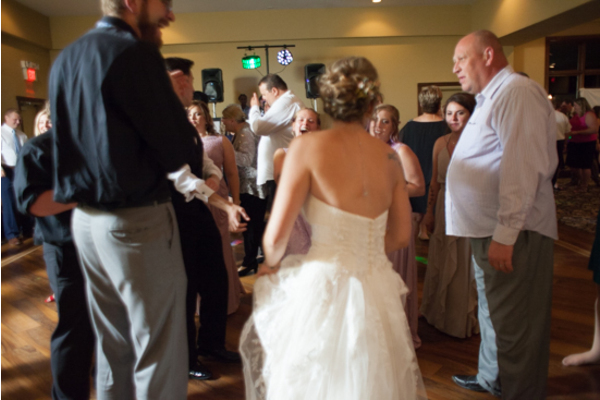 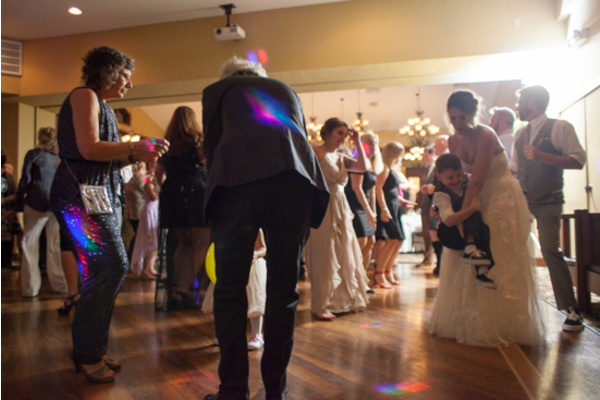 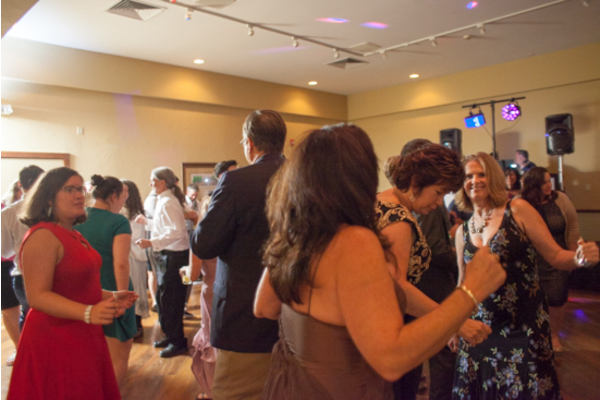 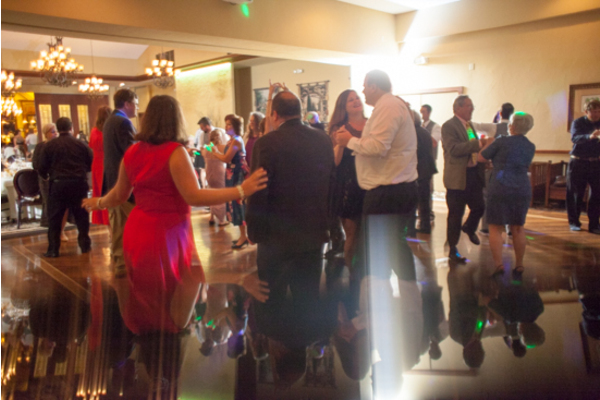 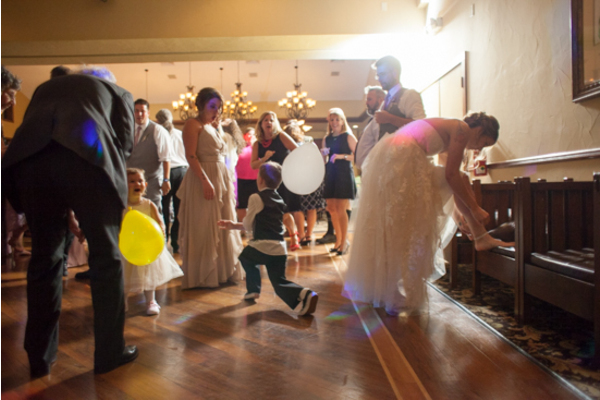 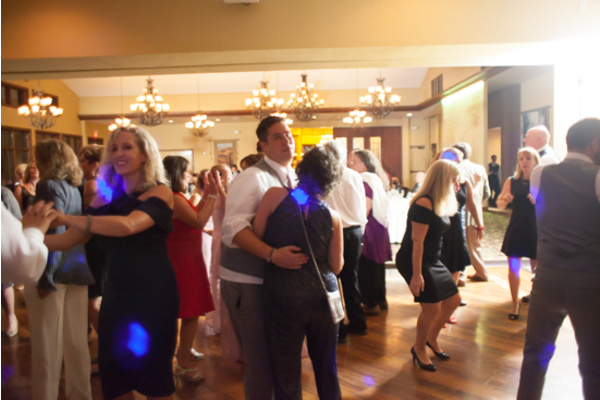 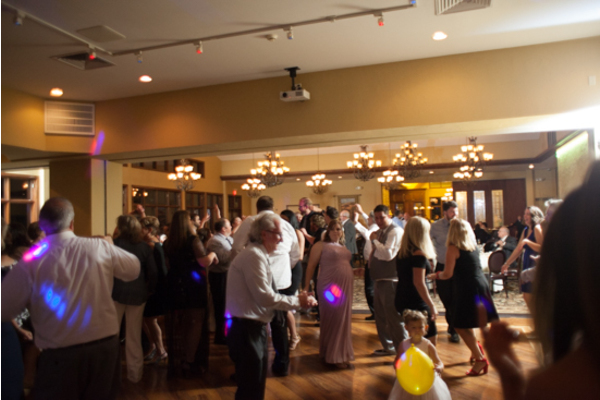 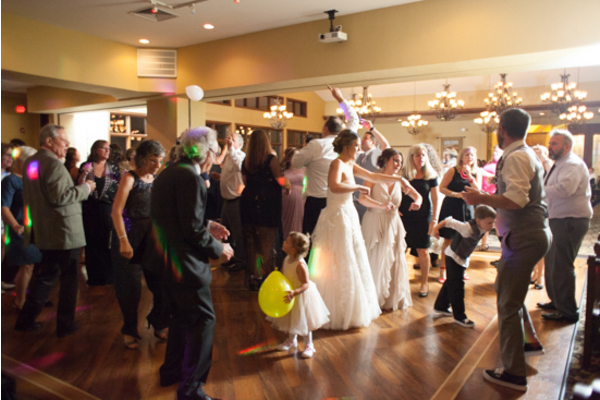 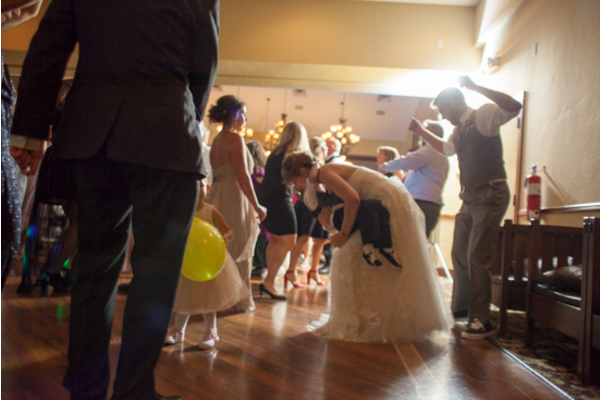 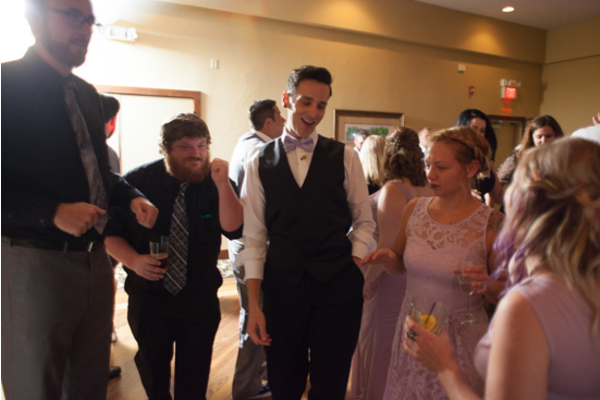 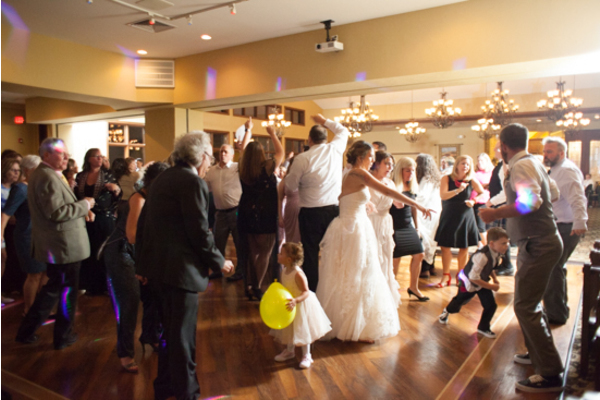 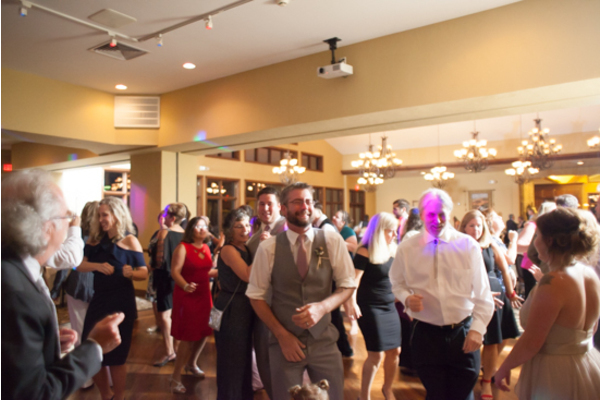 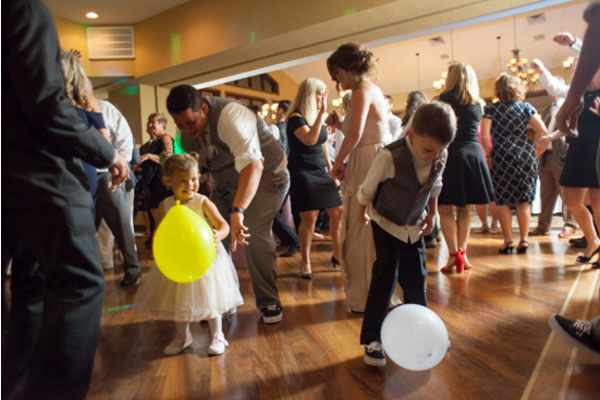 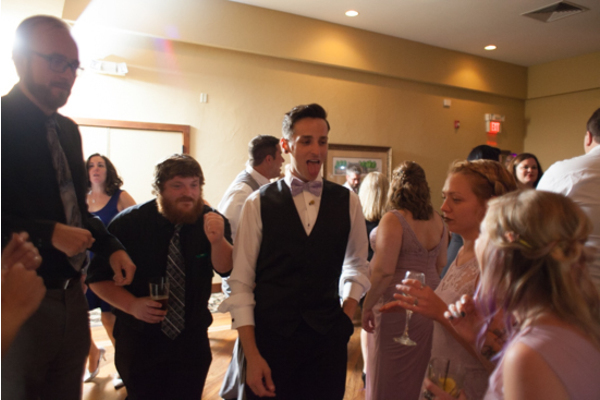 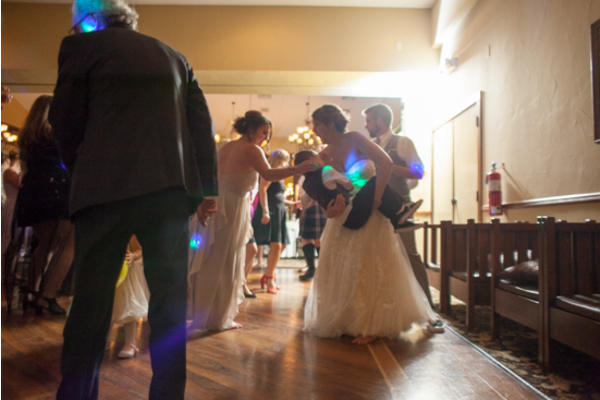 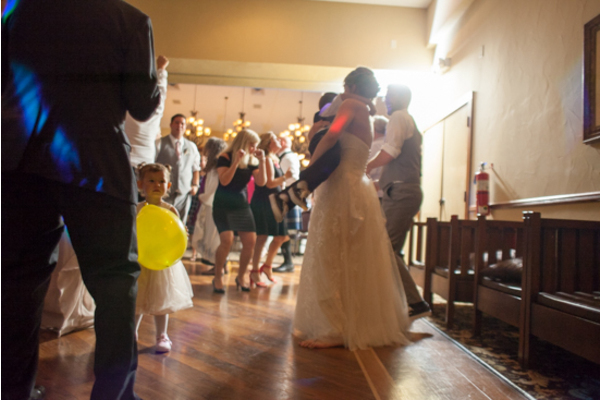 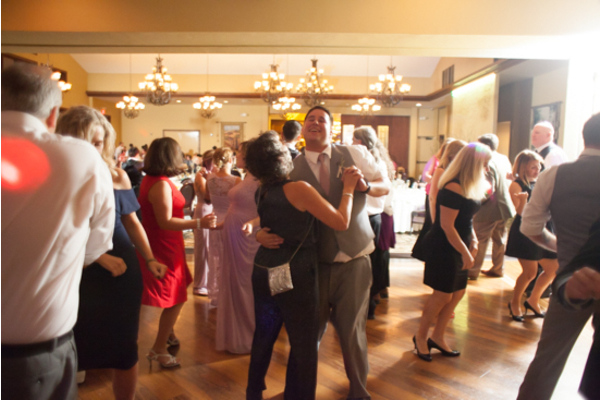 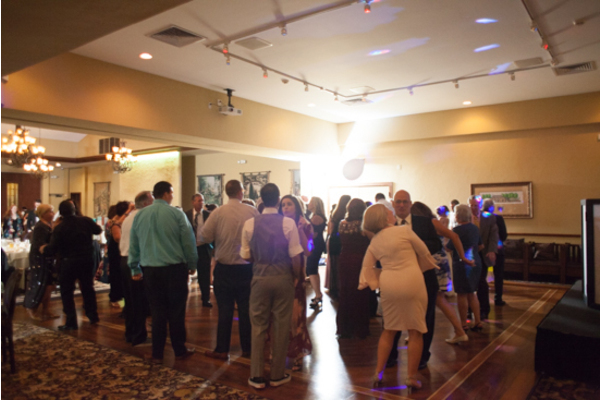 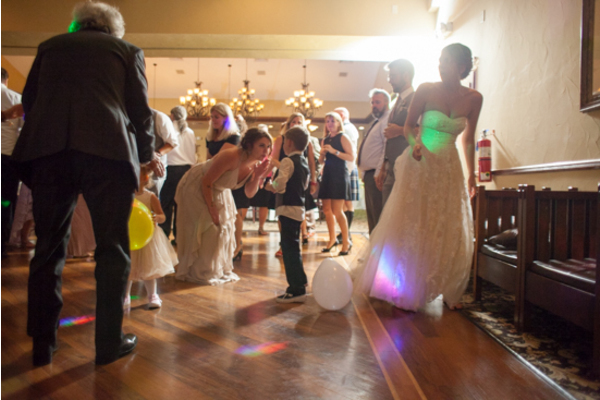 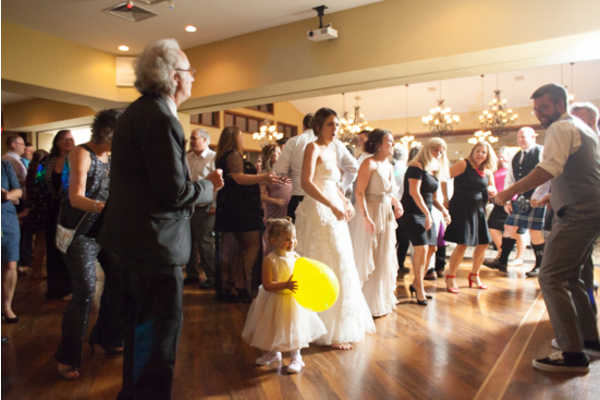 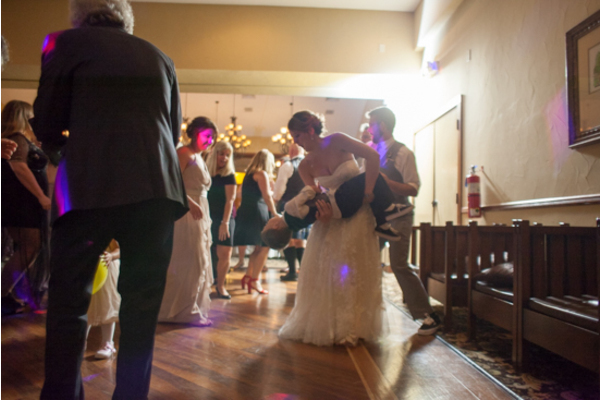 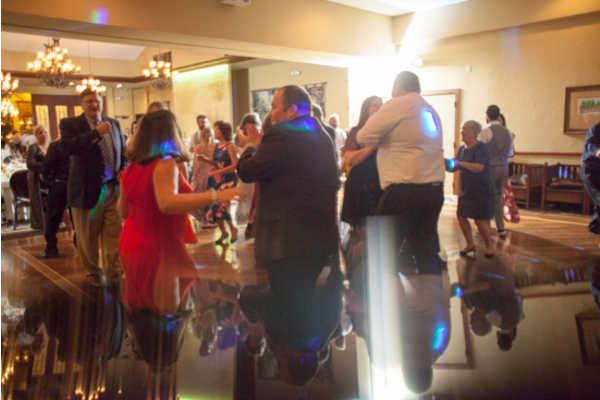 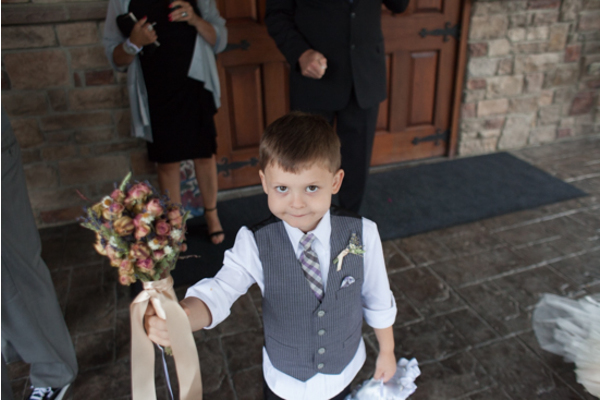 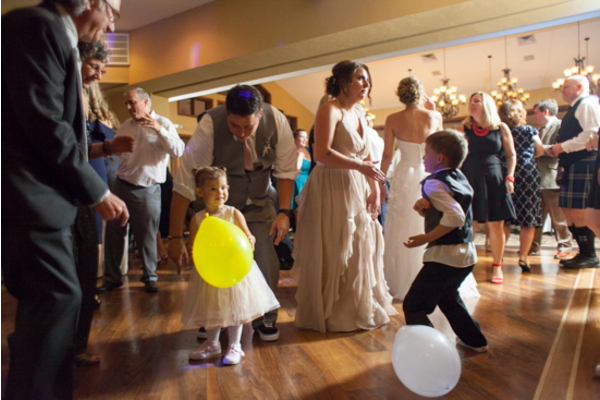 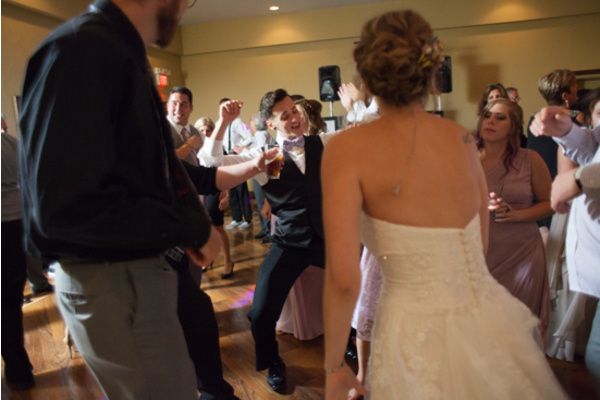 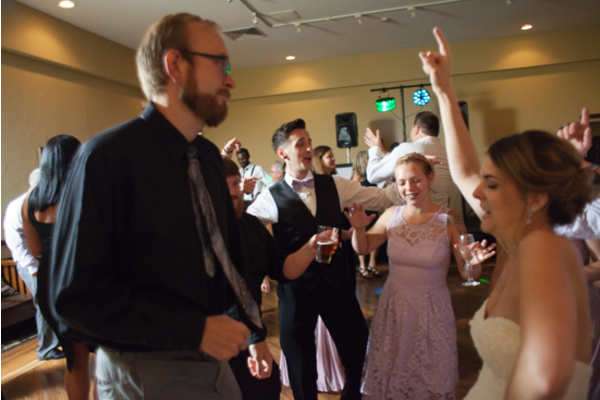 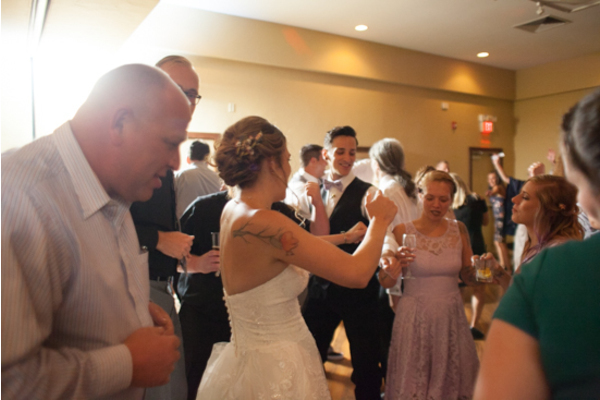 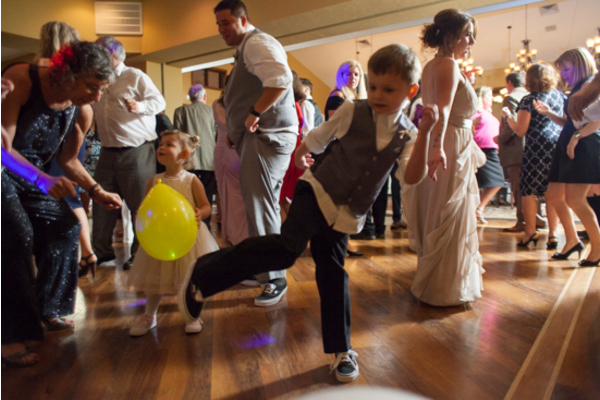 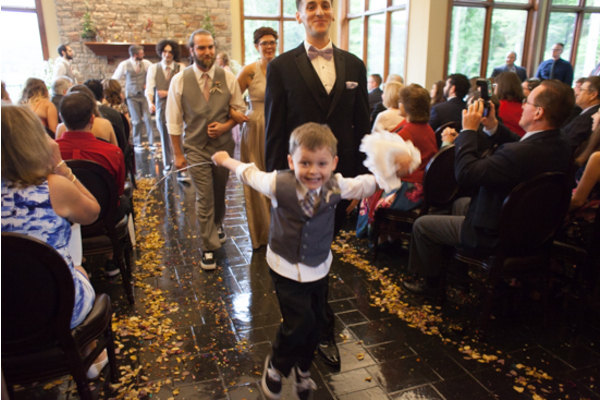 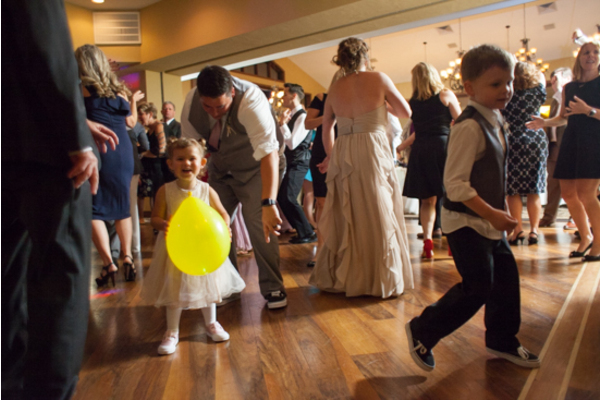 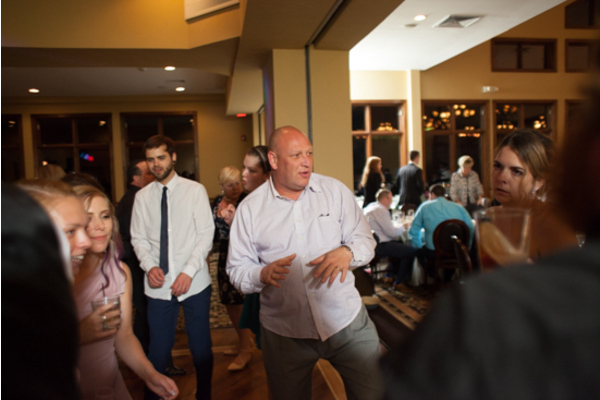 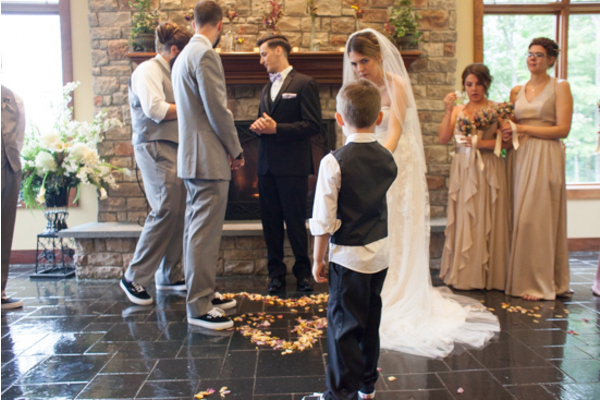 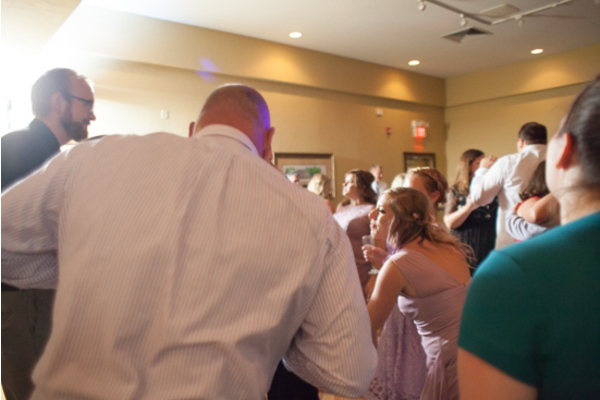 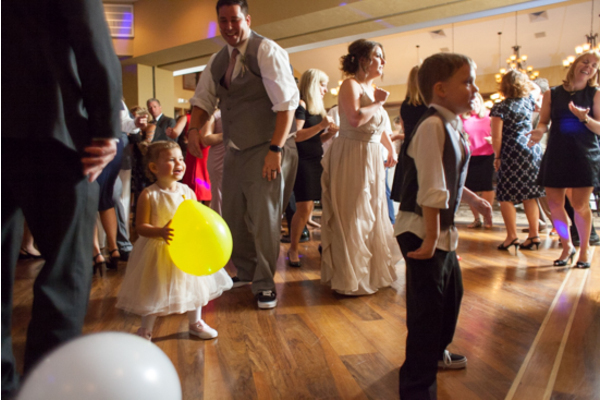 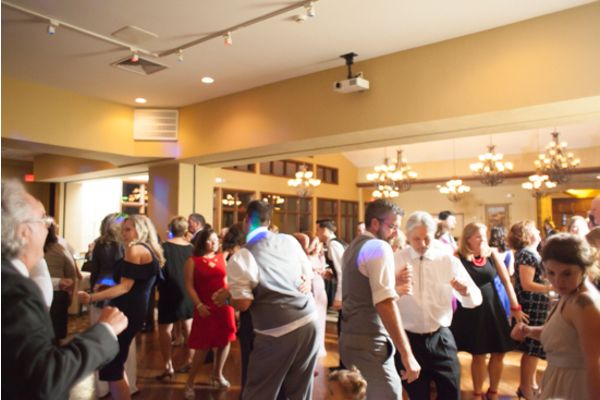 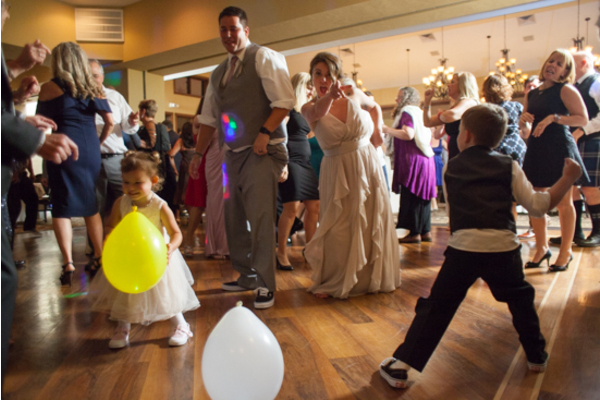 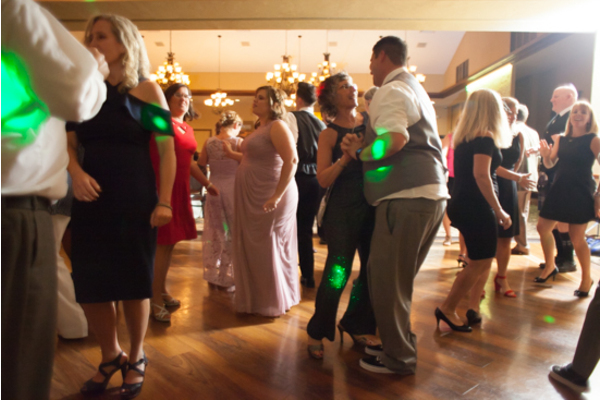 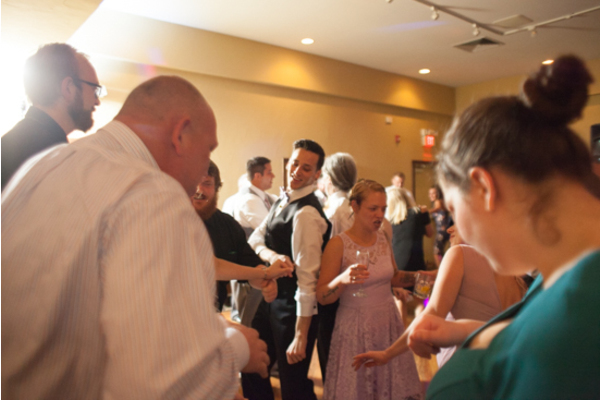 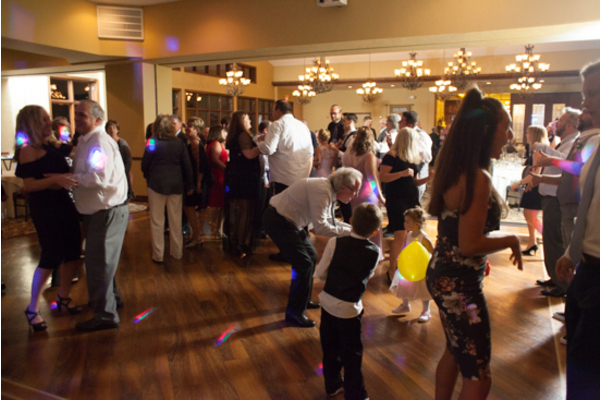 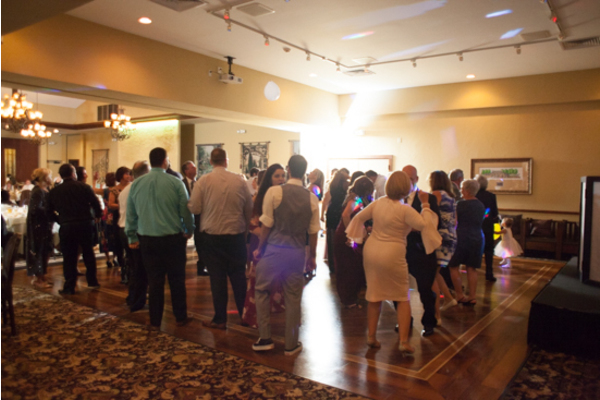 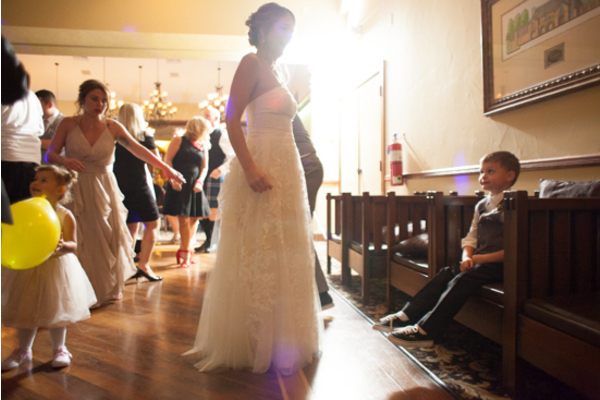 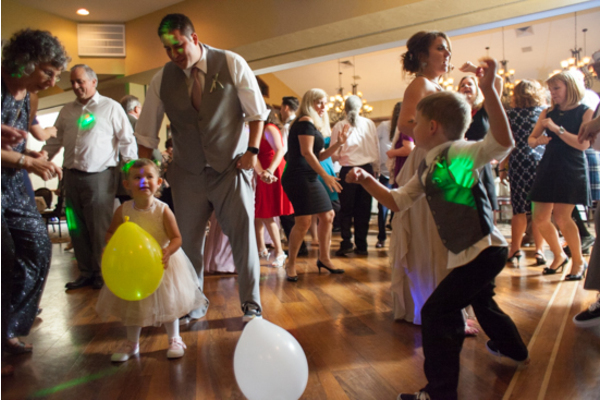 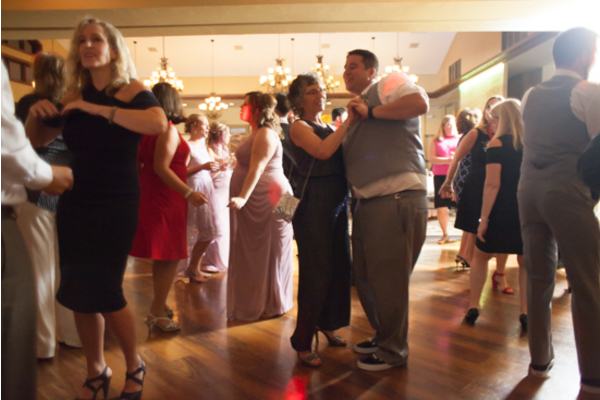 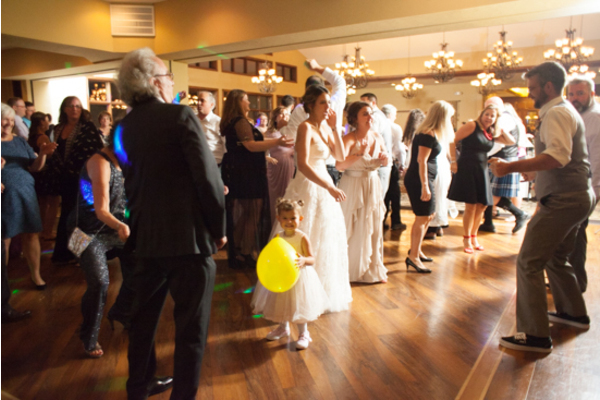 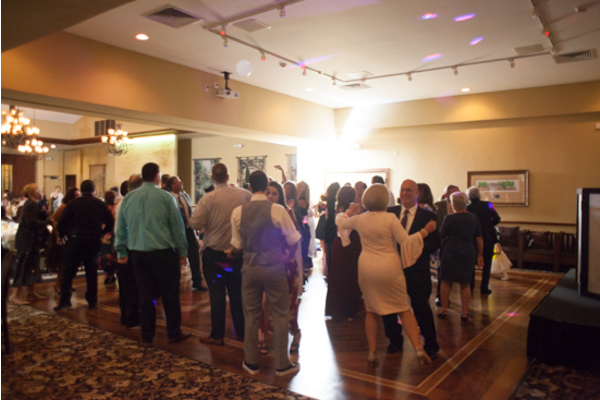 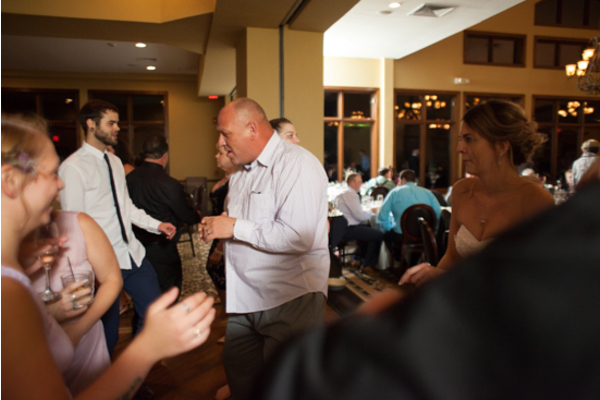 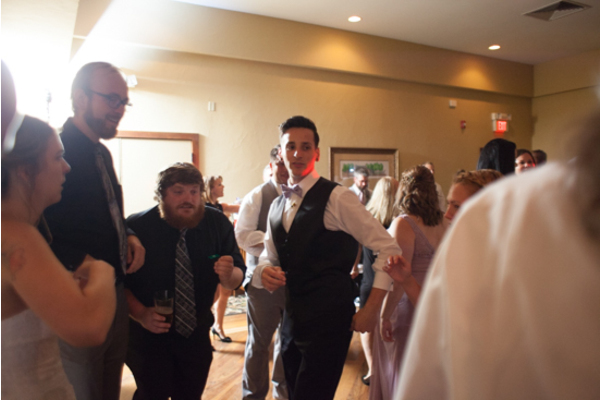 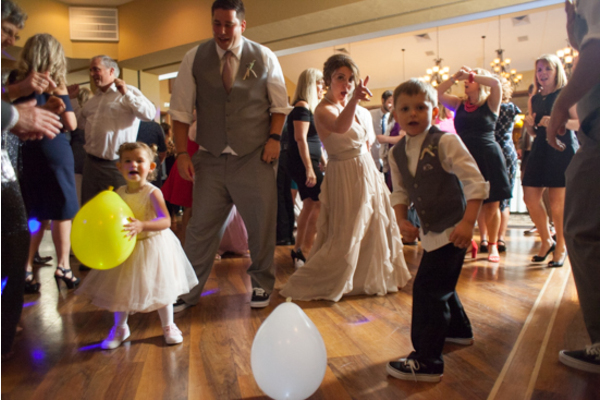 Our PA Wedding DJ was ready to get the celebration started making sure the dance floor was crowded all night long. 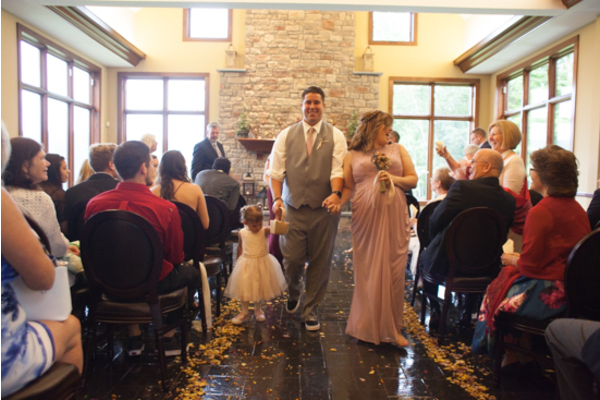 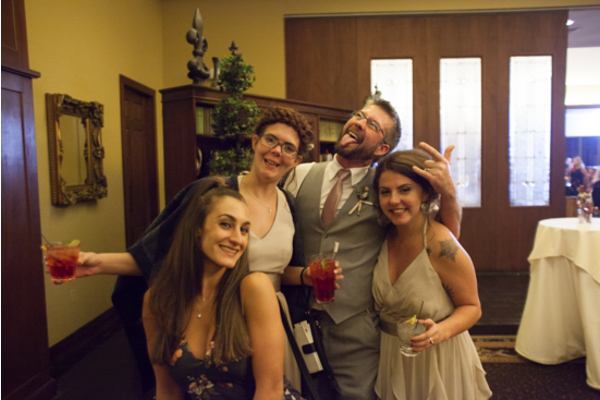 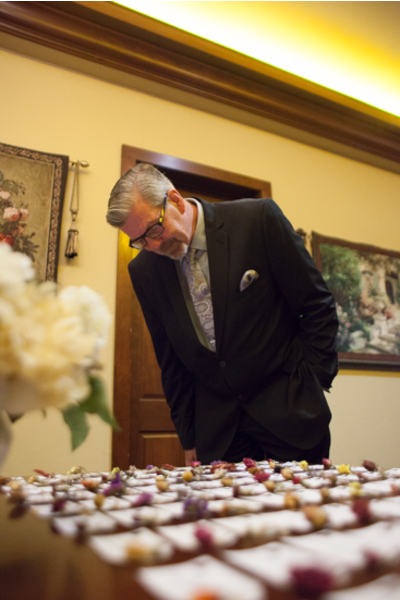 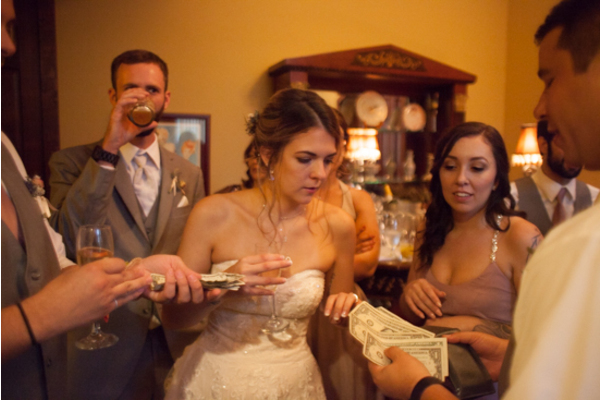 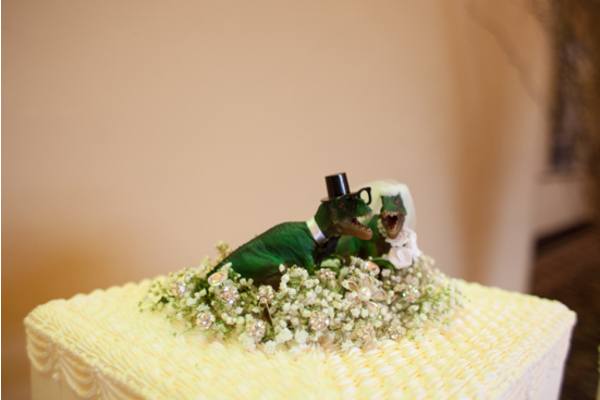 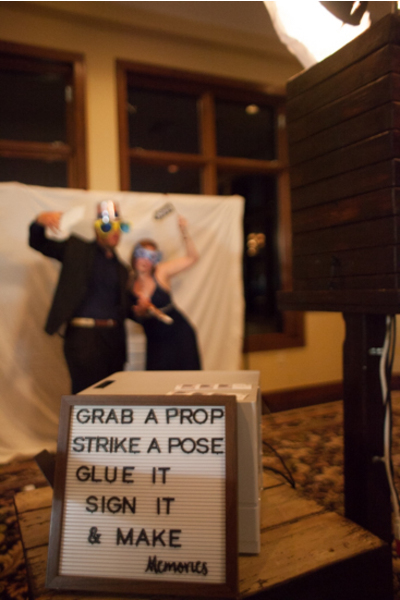 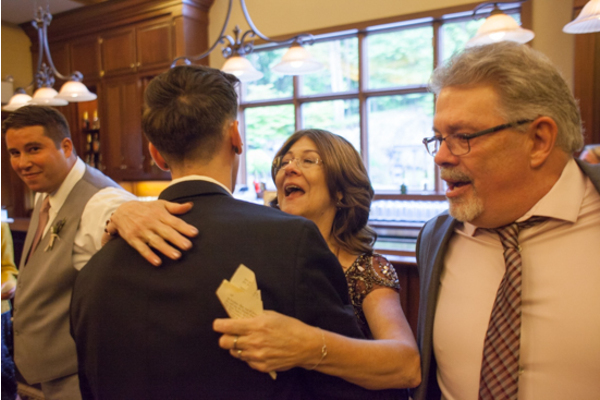 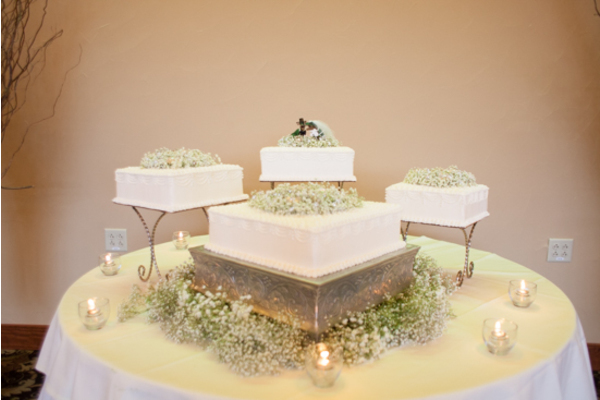 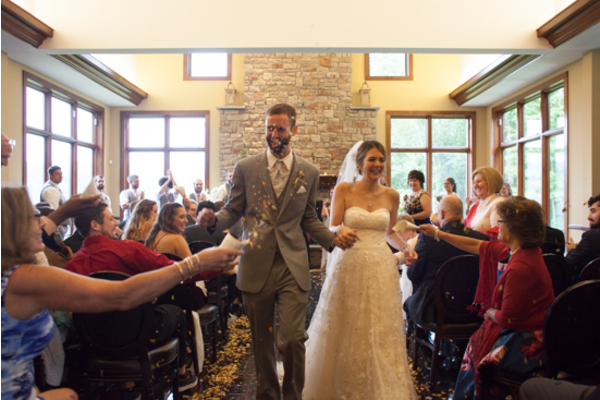 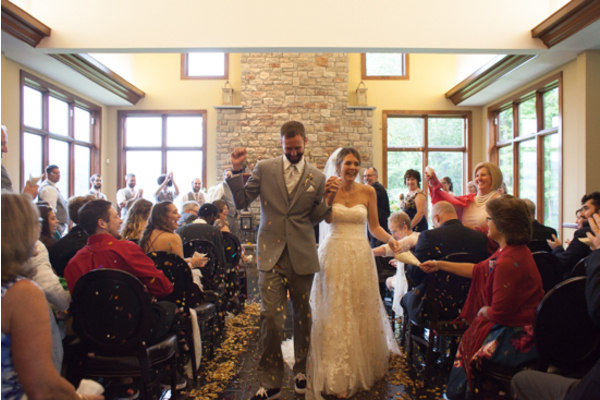 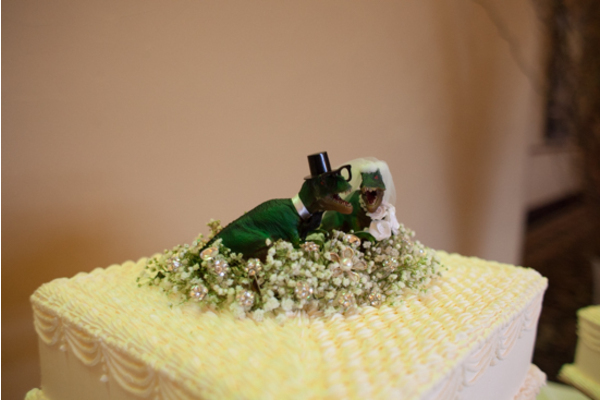 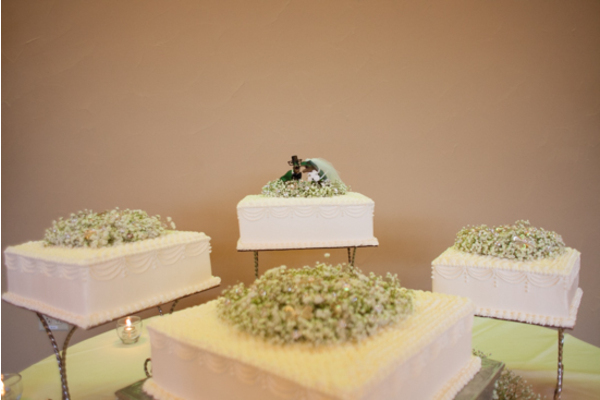 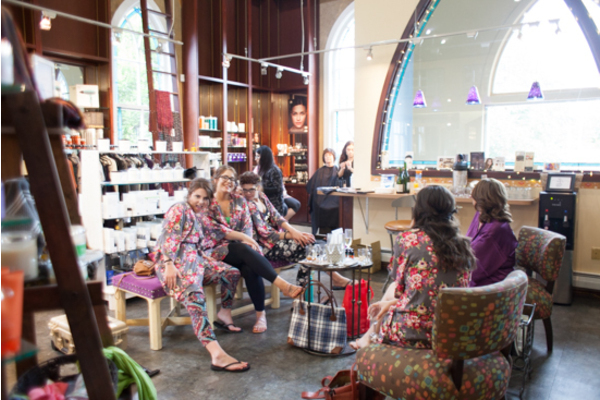 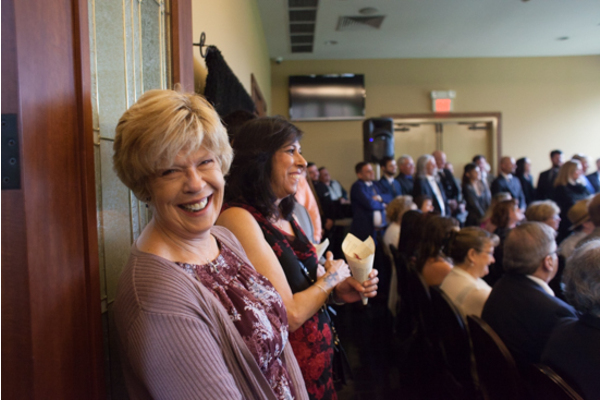 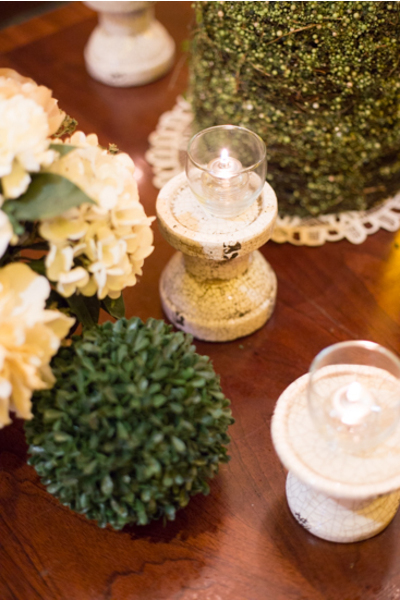 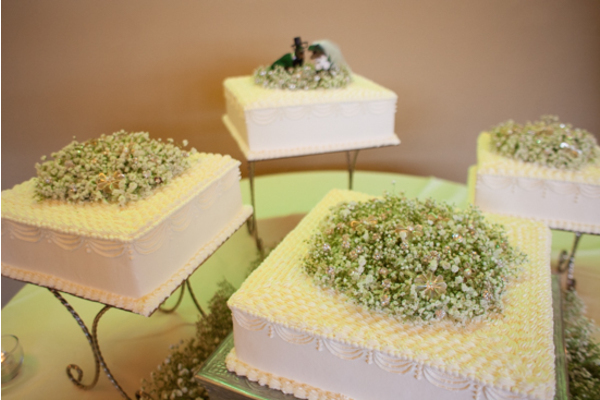 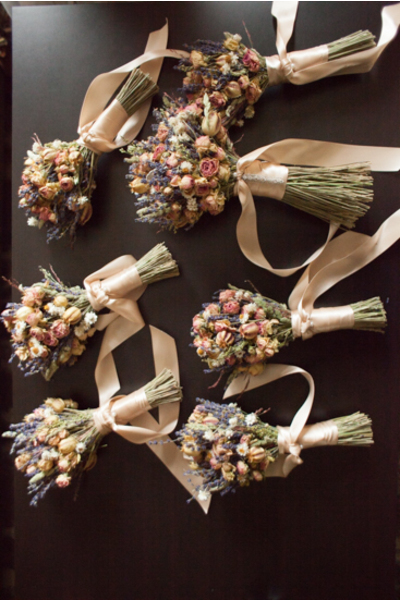 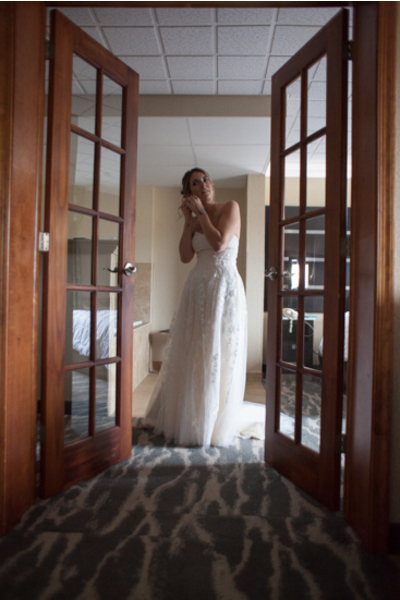 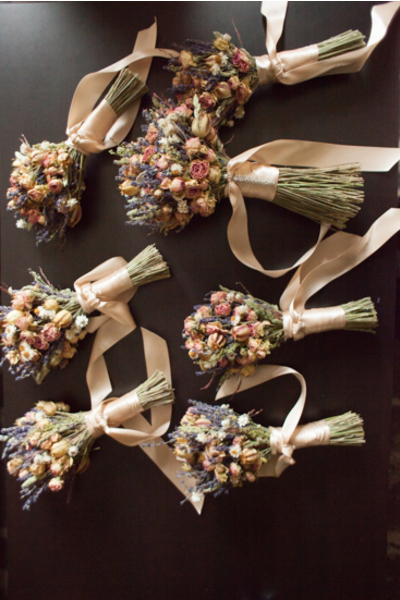 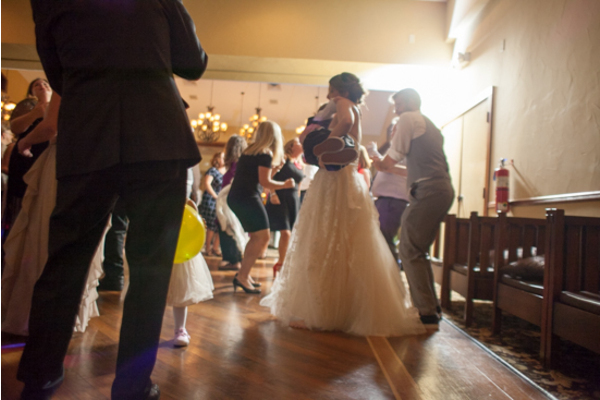 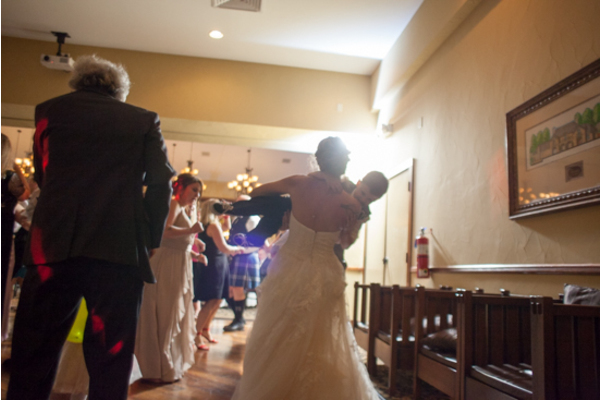 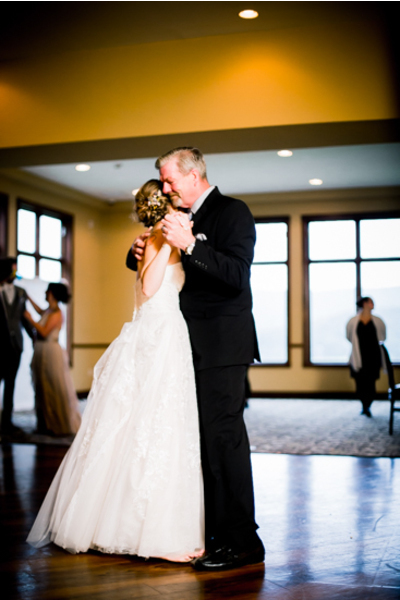 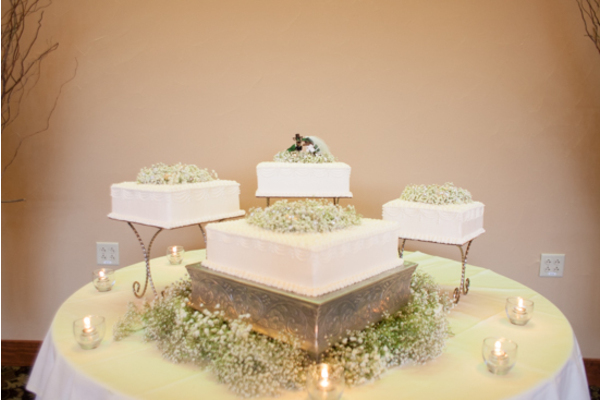 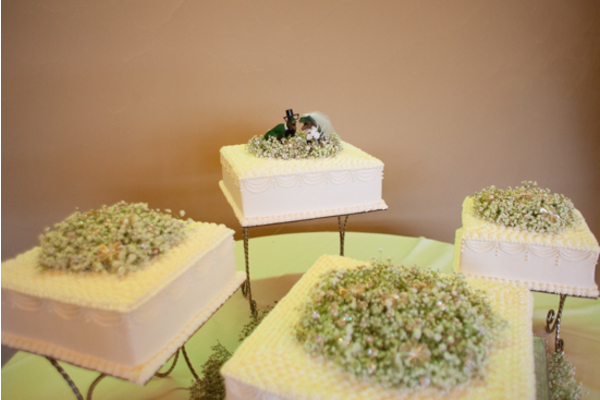 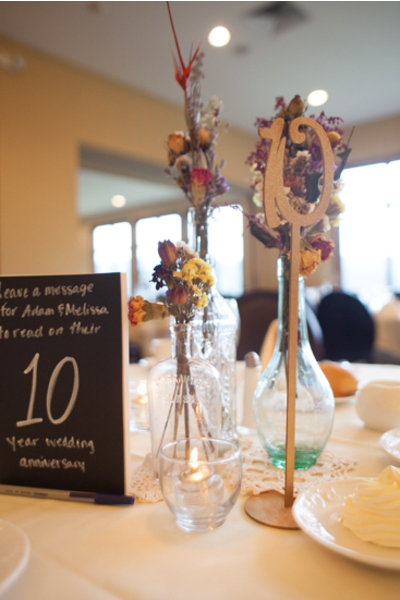 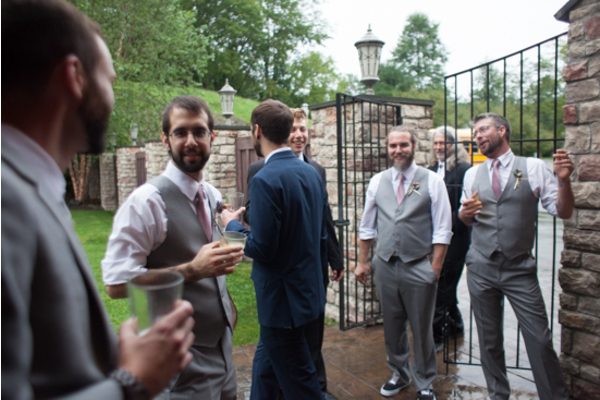 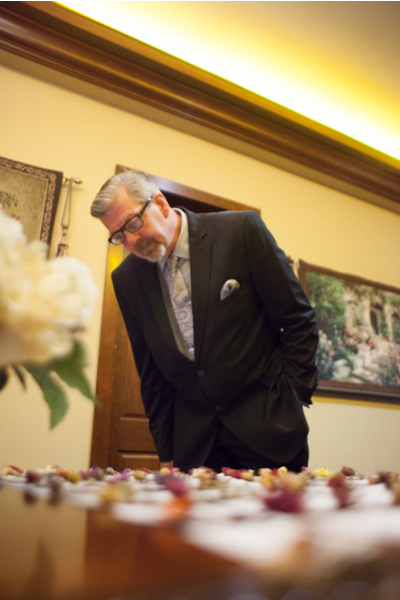 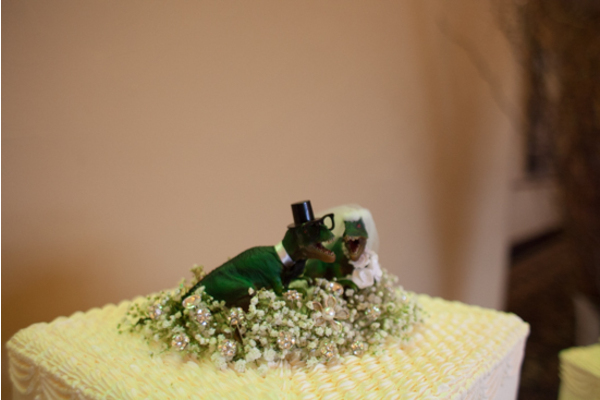 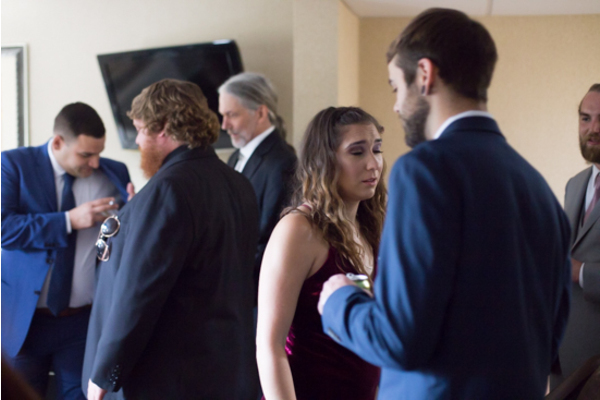 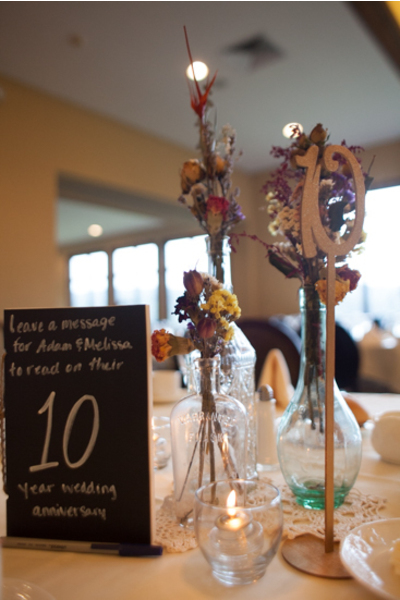 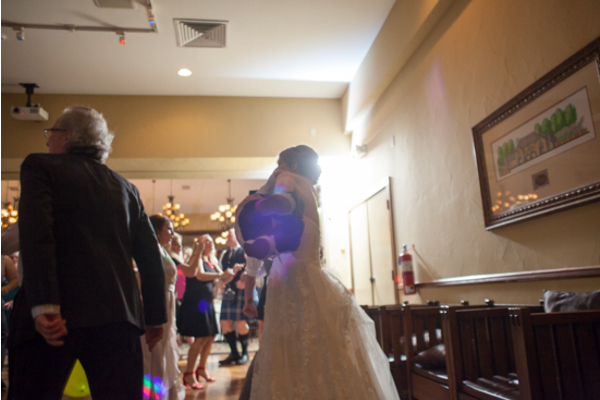 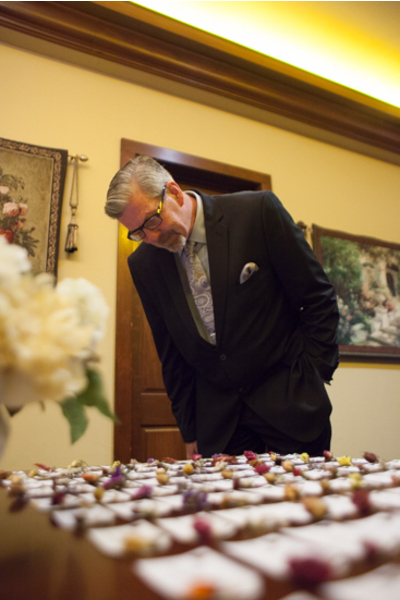 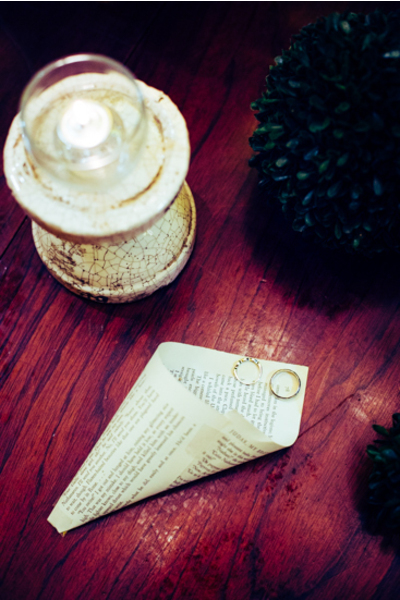 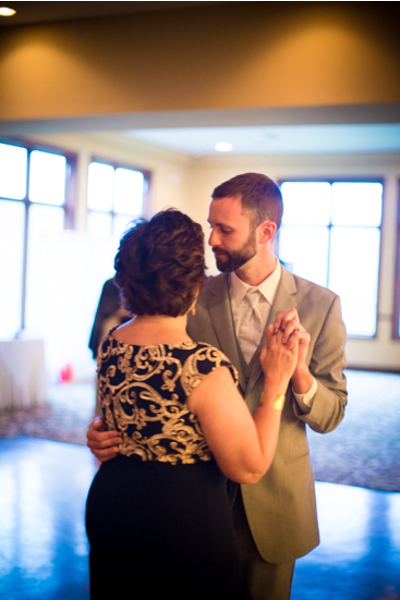 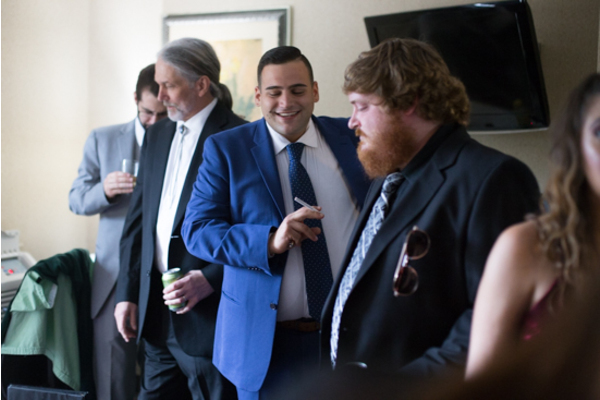 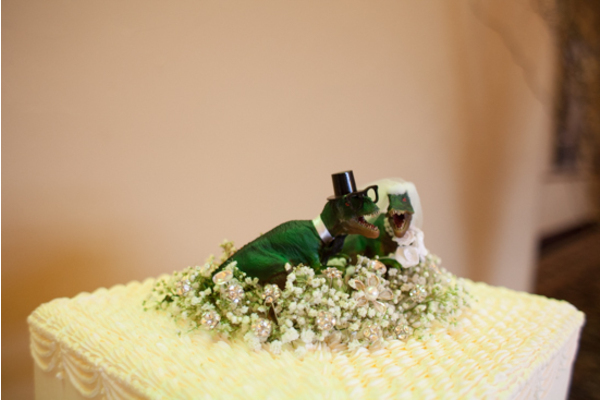 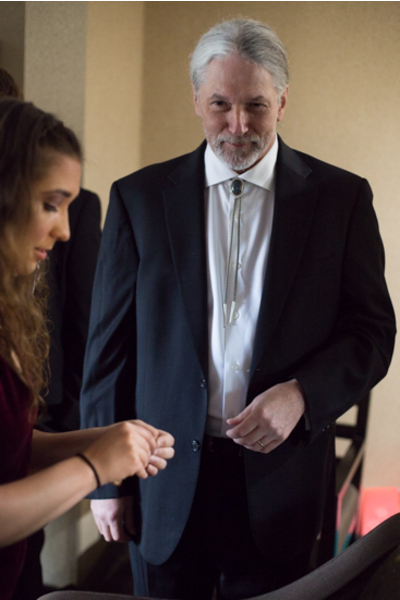 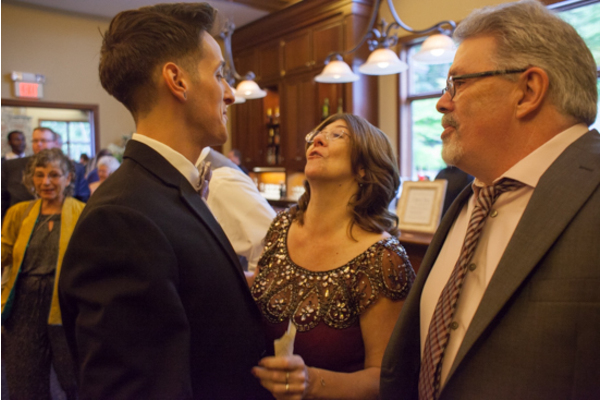 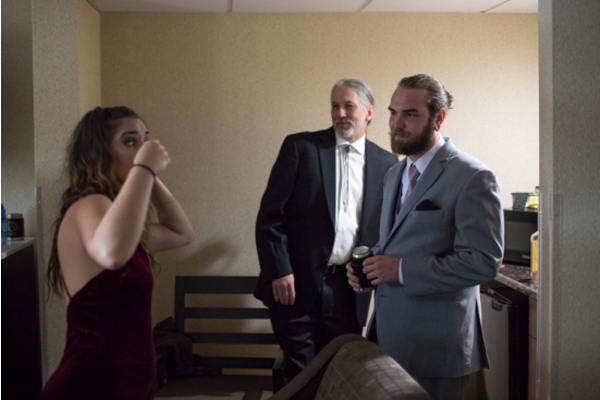 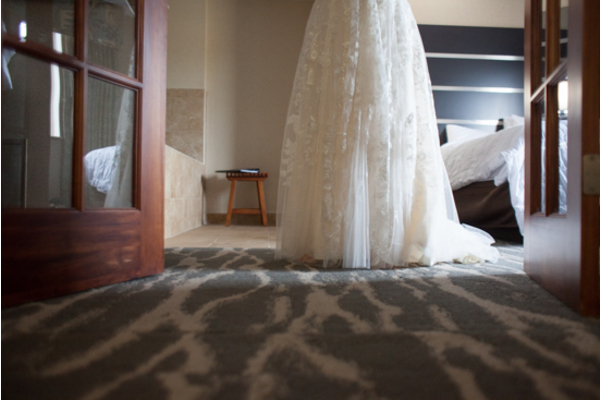 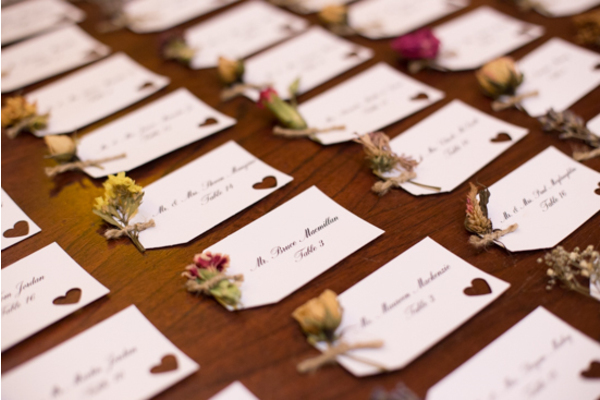 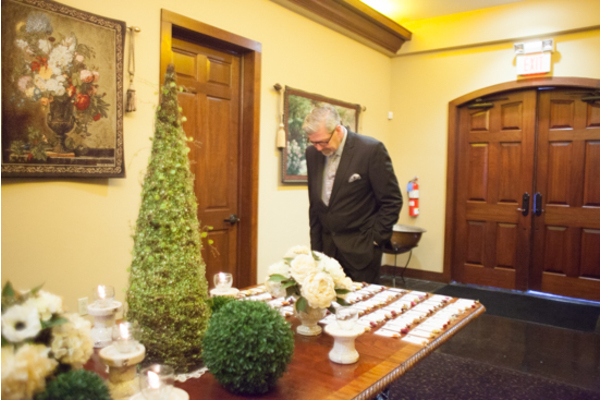 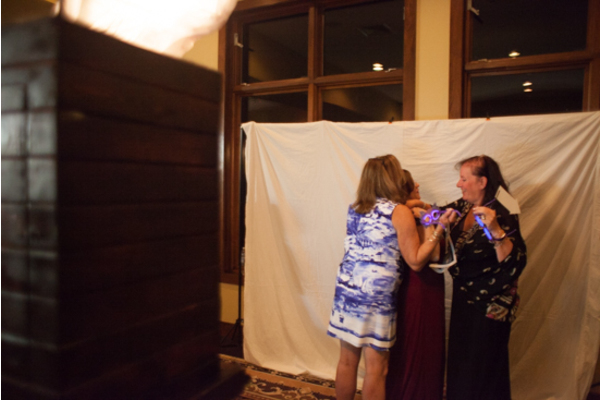 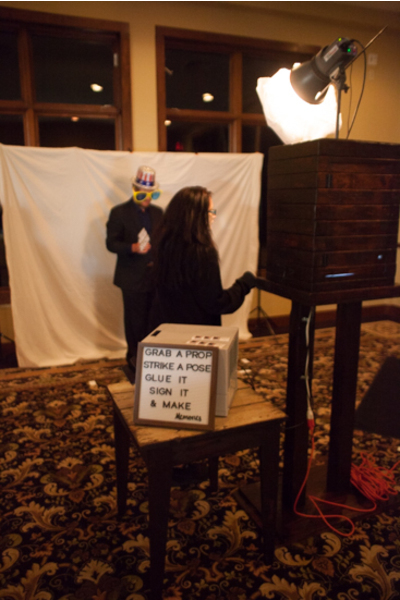 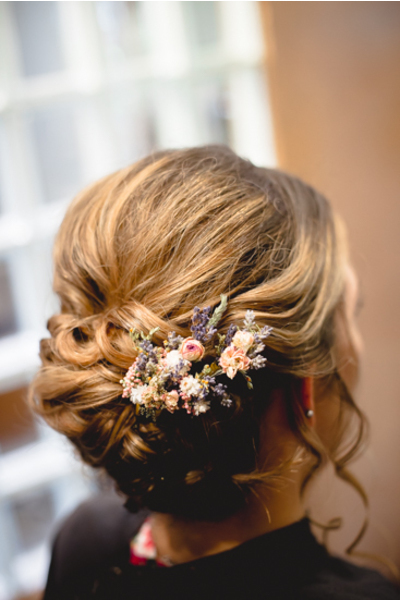 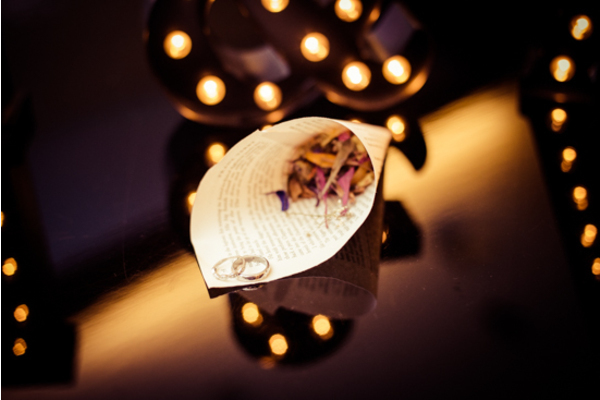 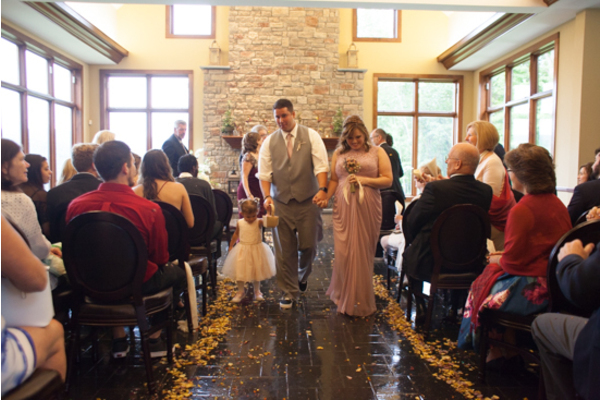 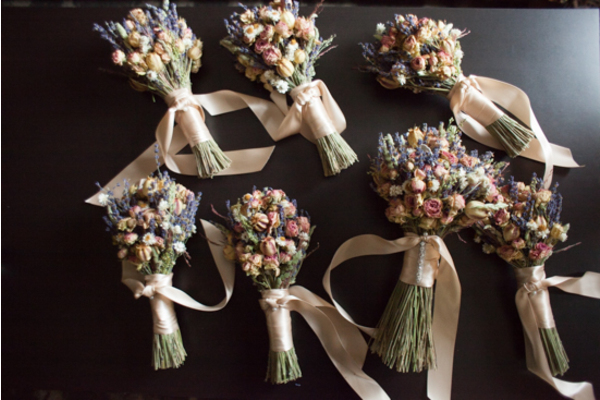 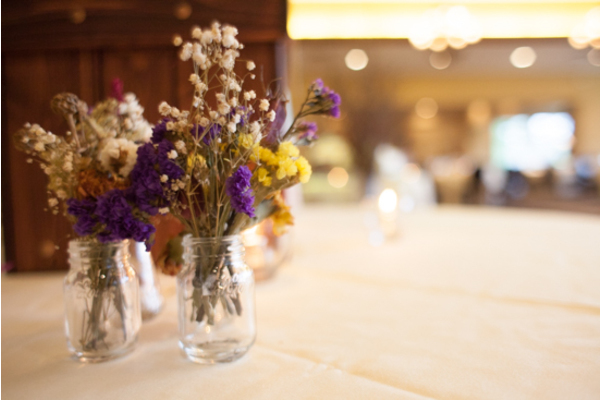 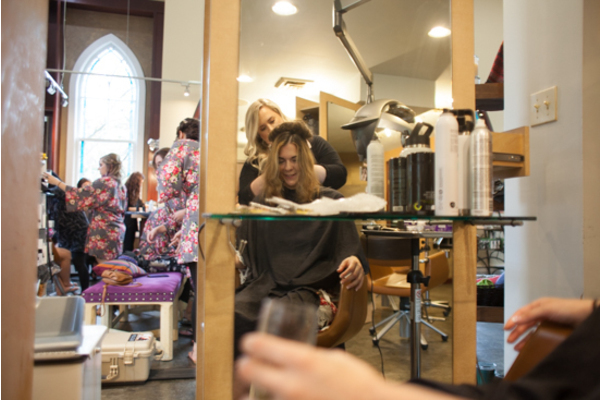 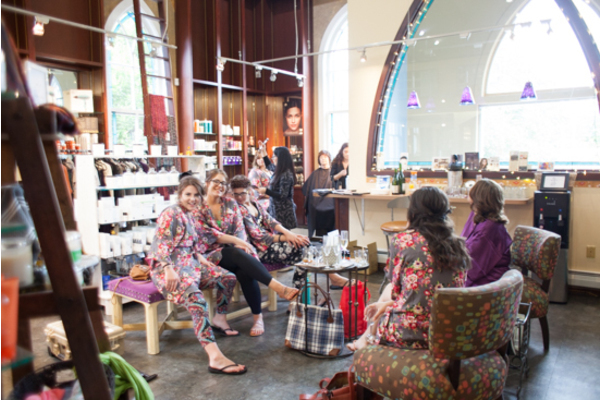 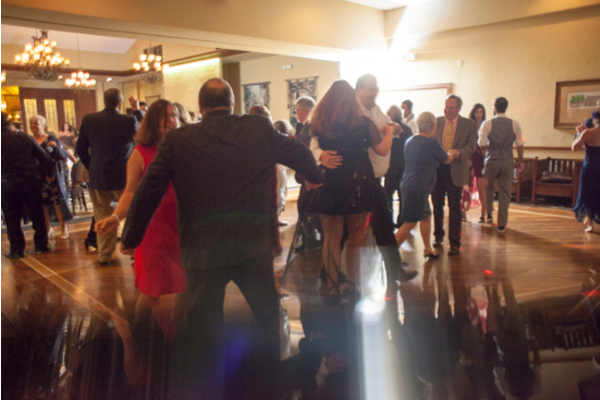 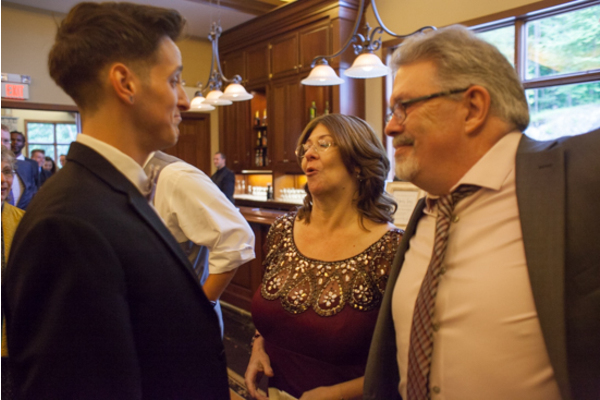 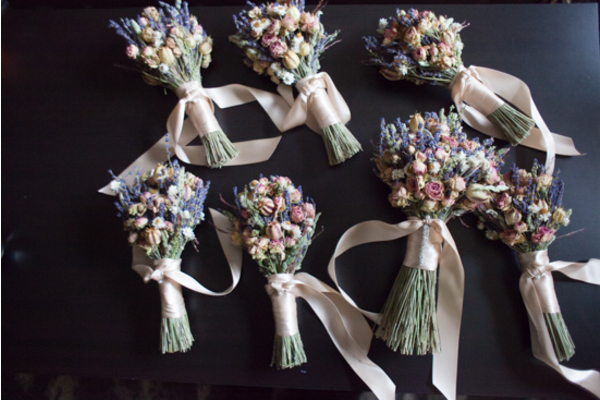 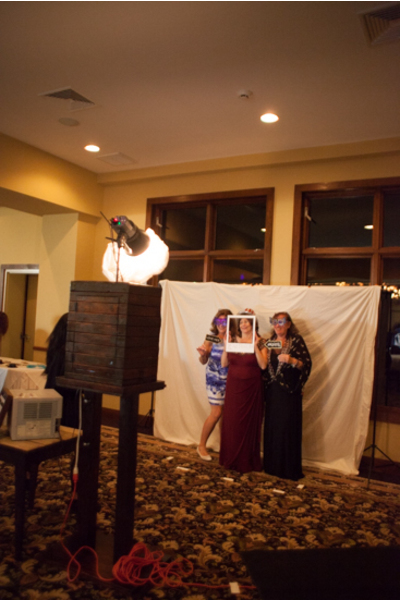 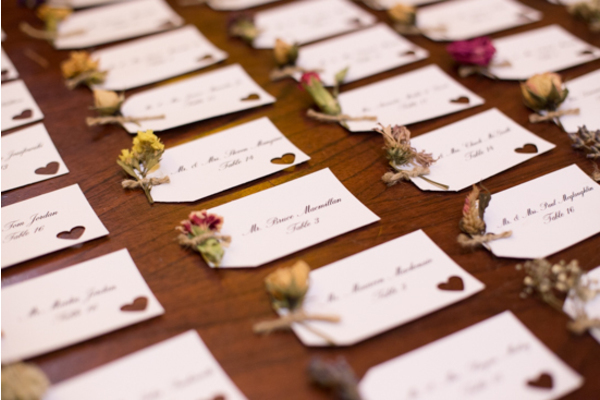 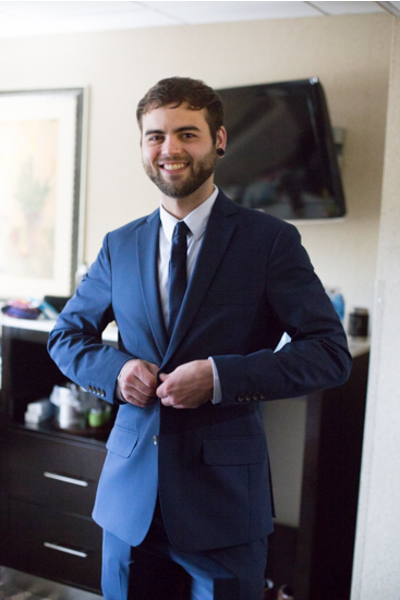 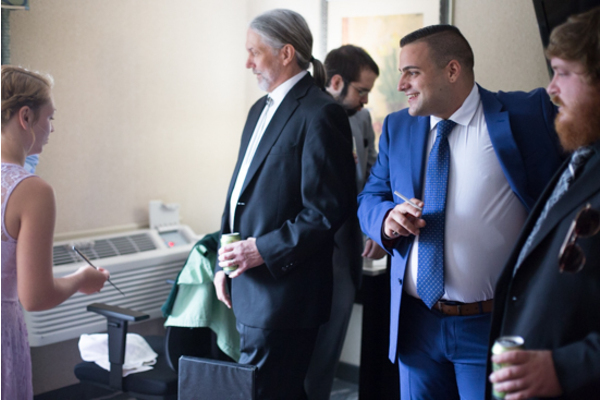 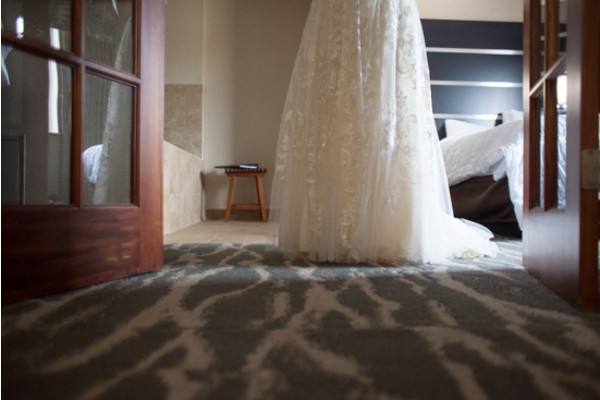 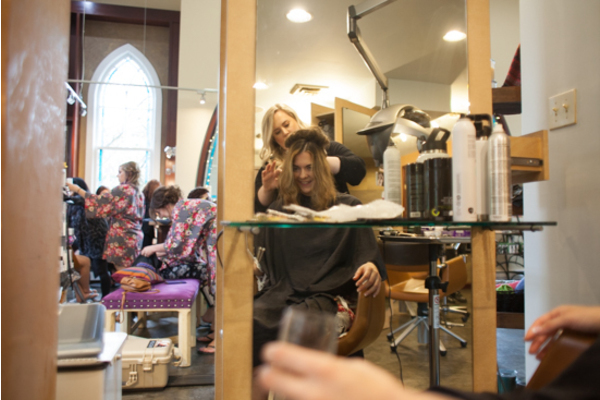 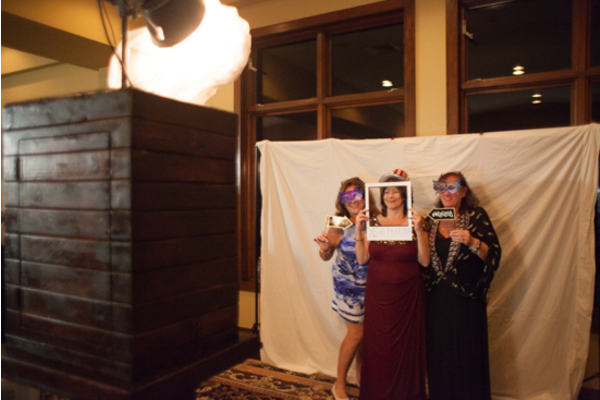 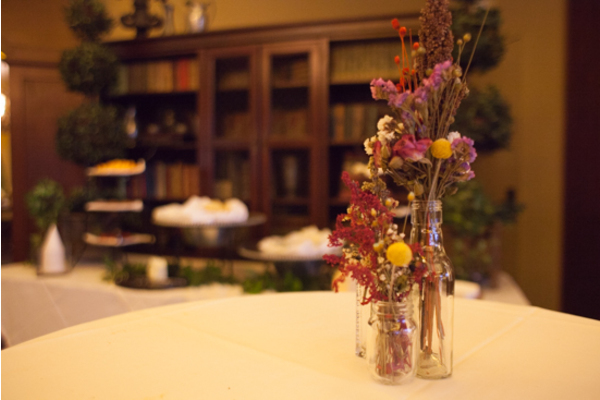 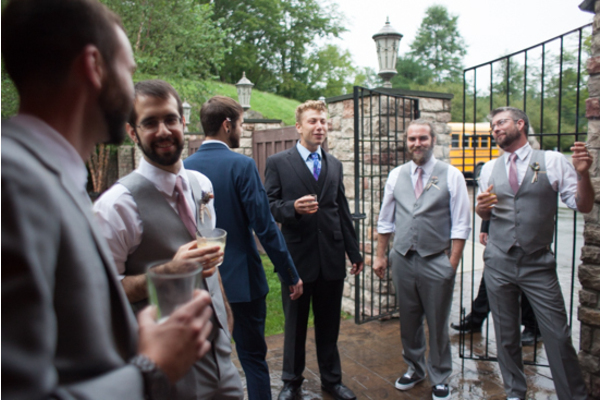 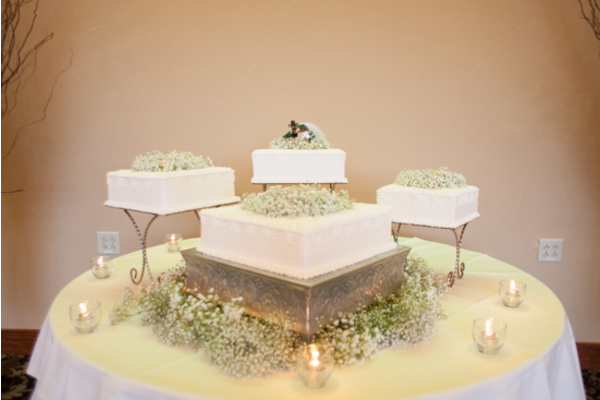 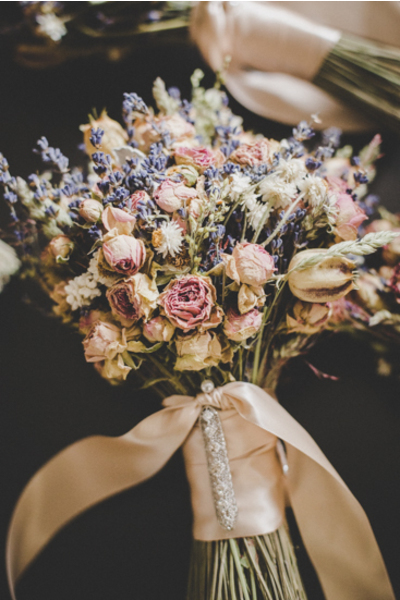 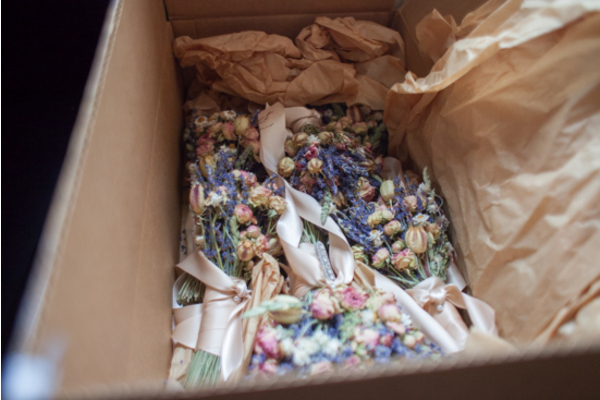 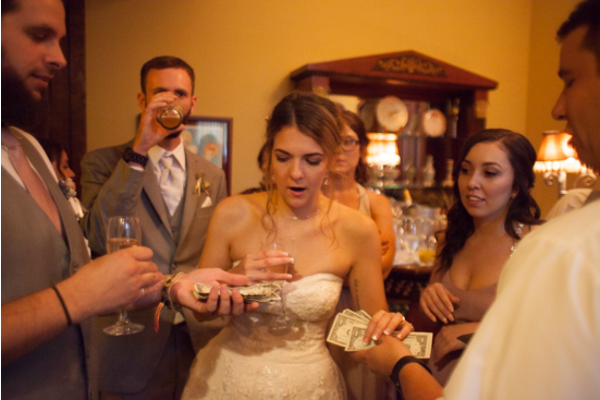 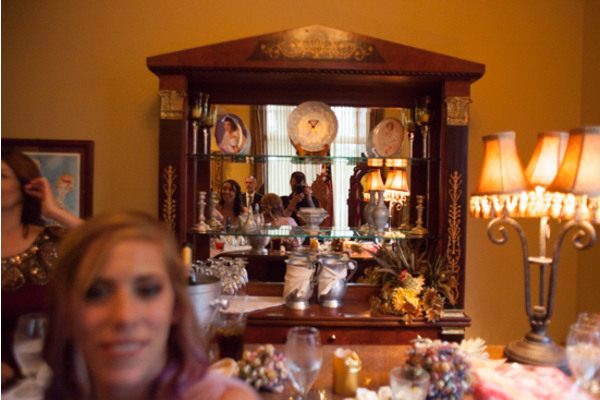 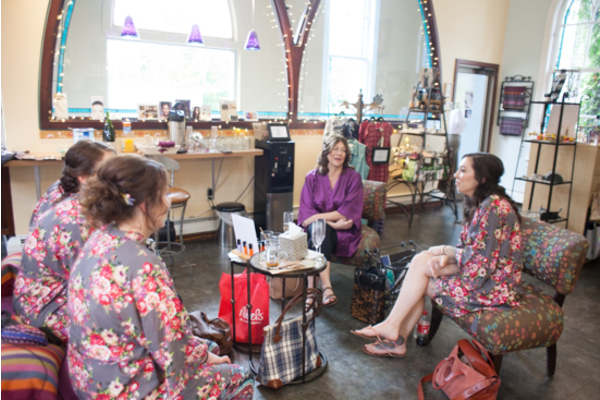 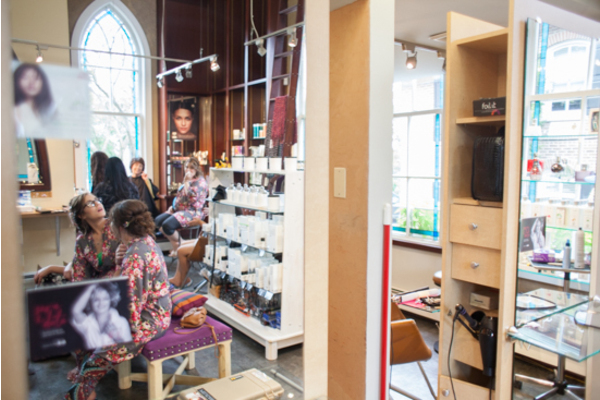 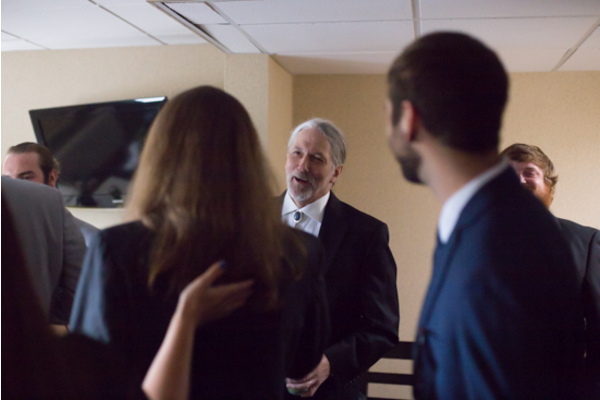 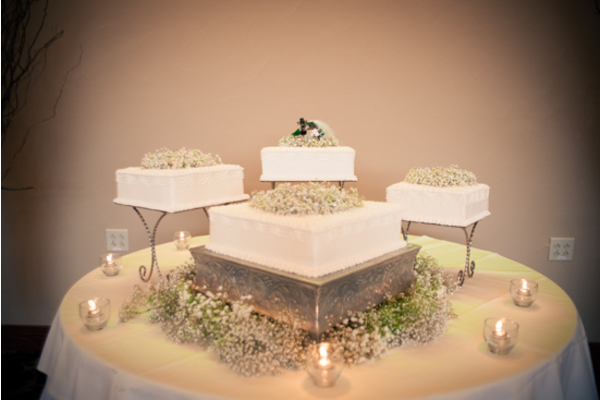 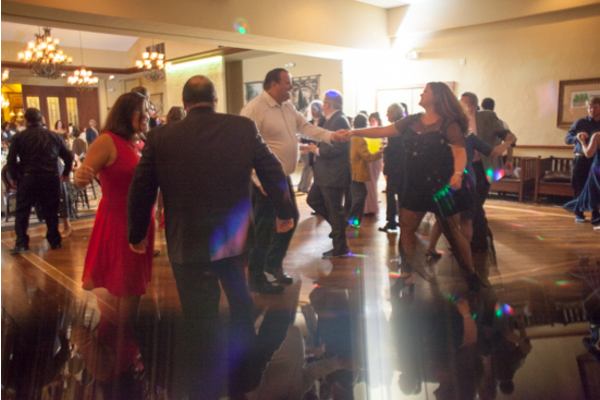 Guest had an absolute blast and we are so happy to have been a part of this special day! 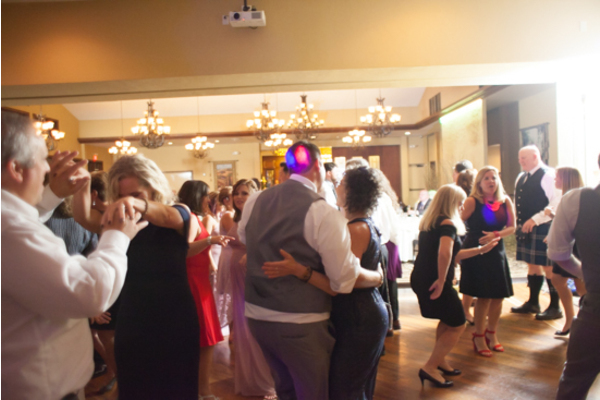 Our PA Wedding Photographer captured every moment of happiness shared this night celebrating this amazing couple. 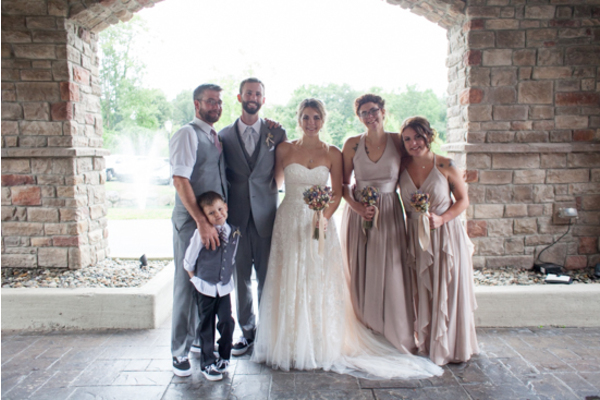 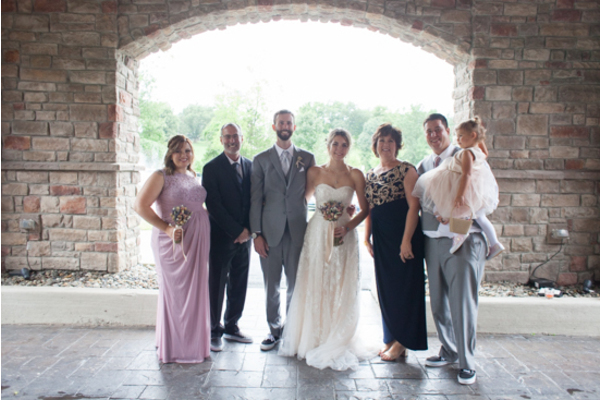 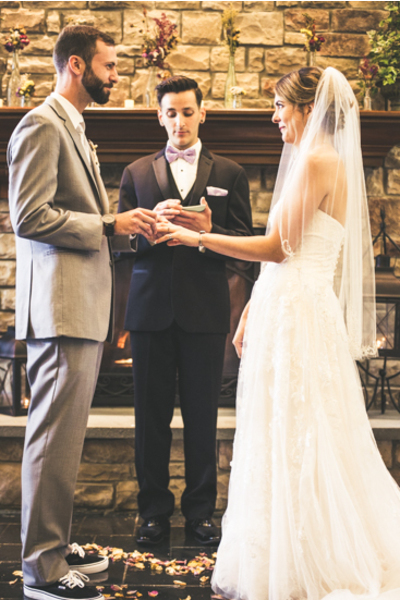 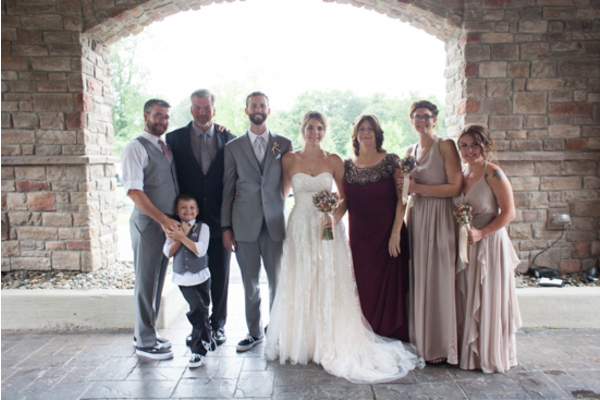 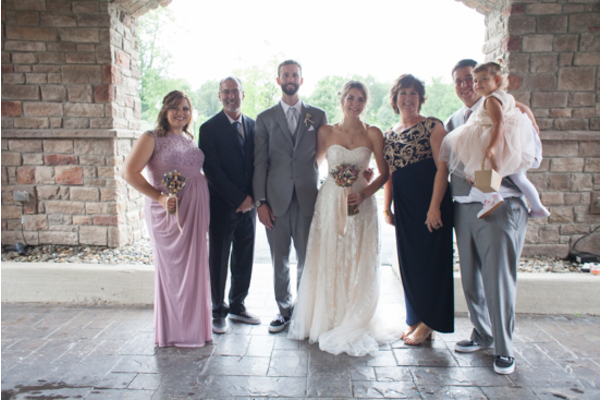 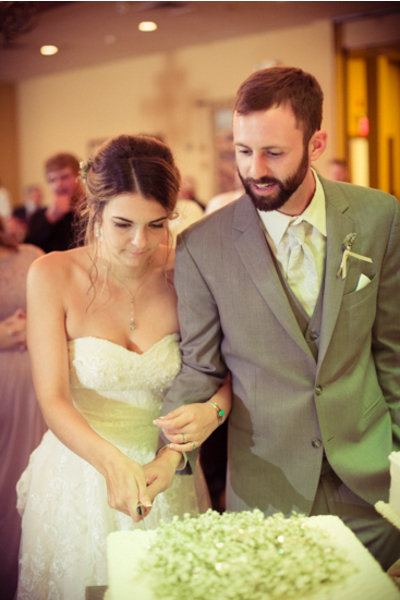 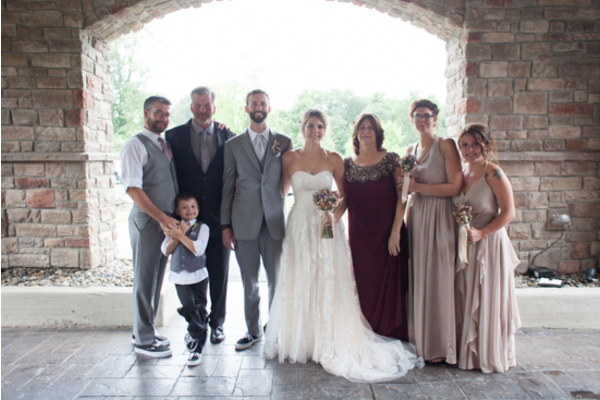 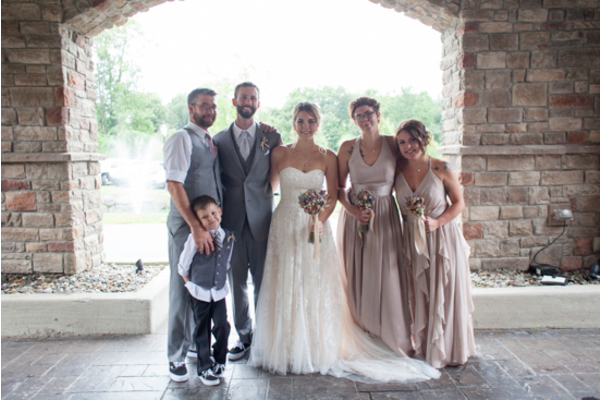 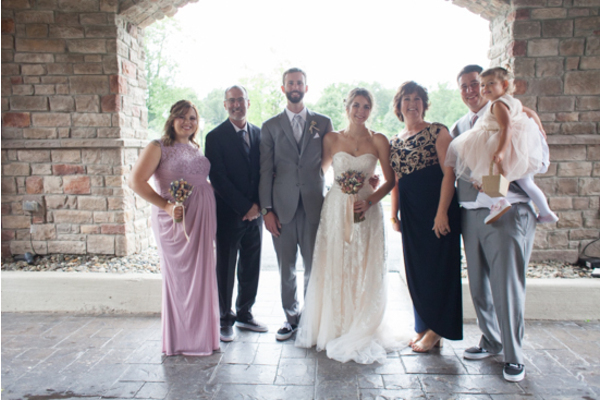 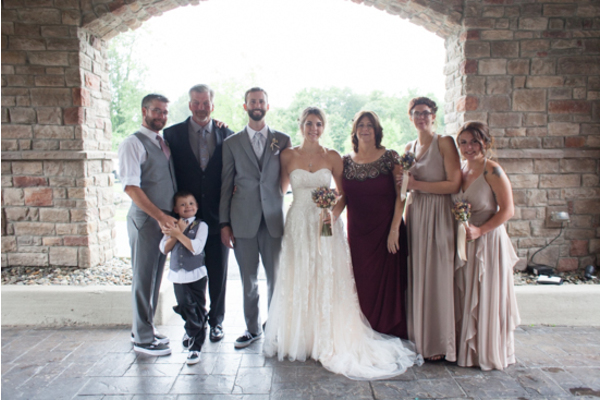 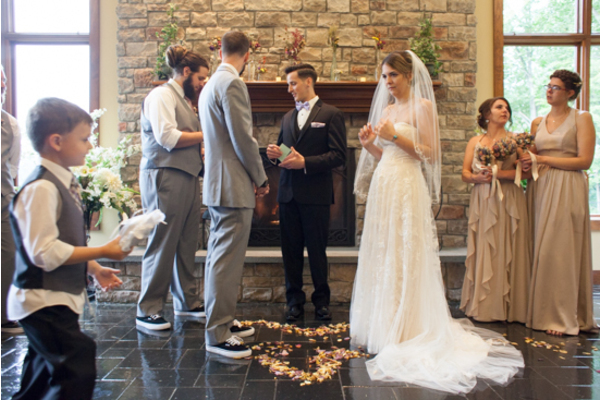 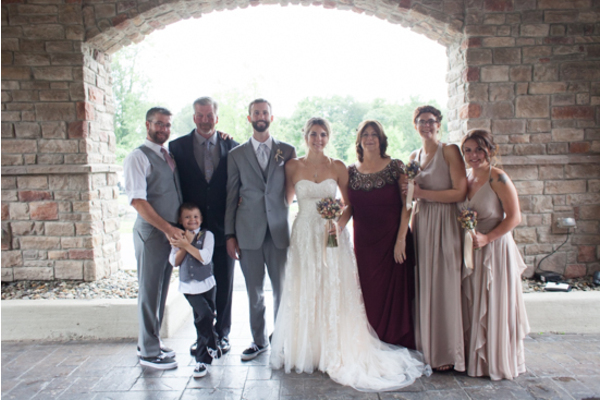 Congratulations, again, to Melissa and Ryan on their fairy-tale wedding! 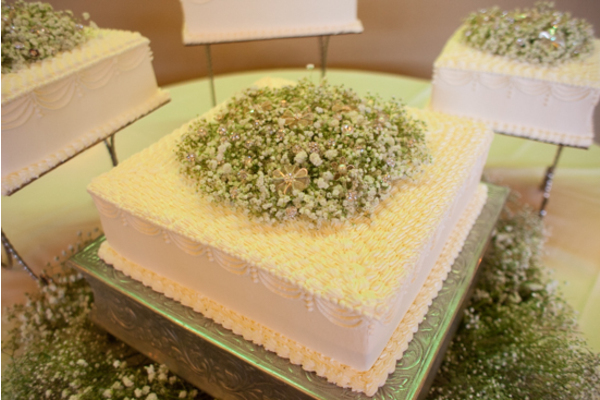 We wish you endless love and happiness on everything you do!